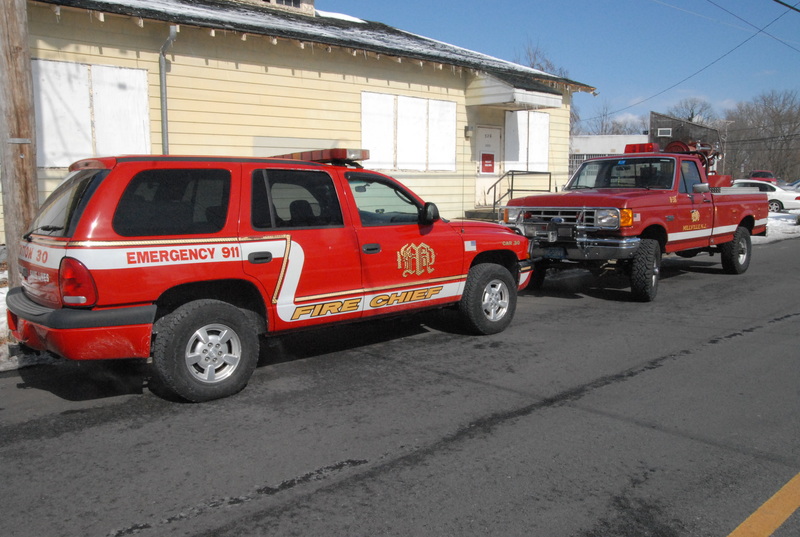 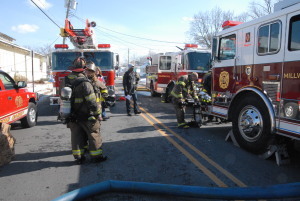 On February 19, 2015, at 1016, Station 30 was dispatched to a reported kitchen fire. Car 30 arrived with nothing showing from the exterior. 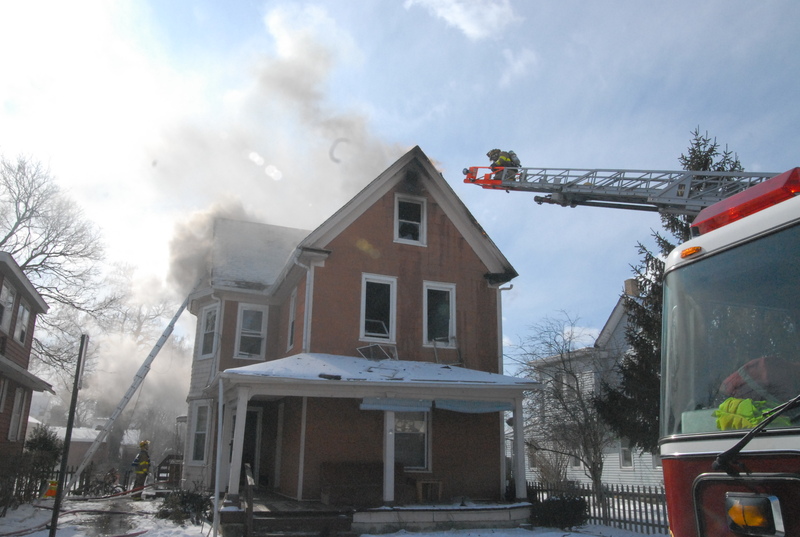 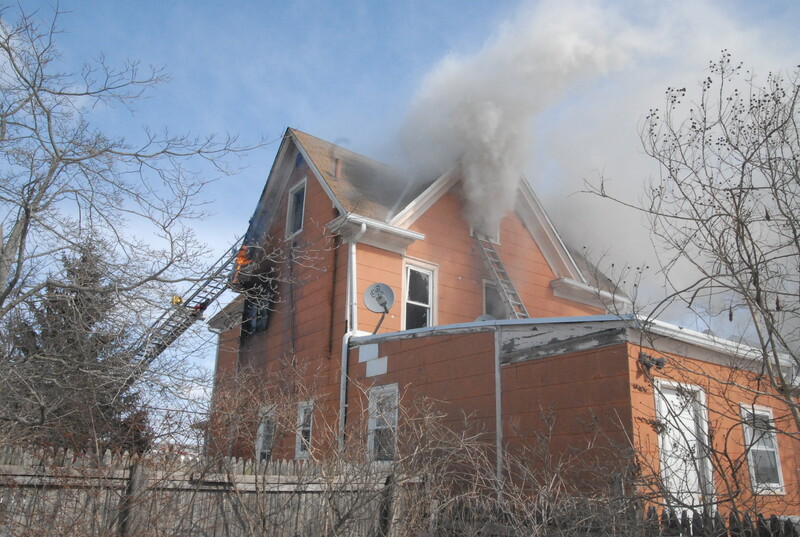 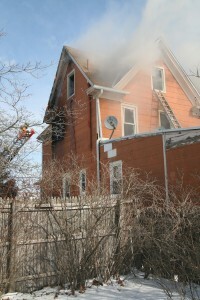 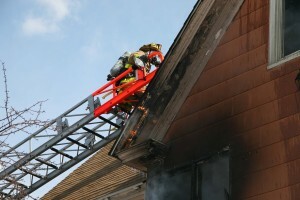 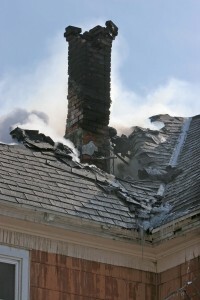 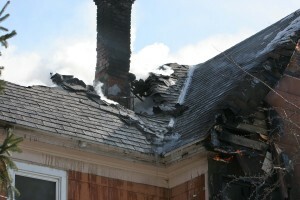 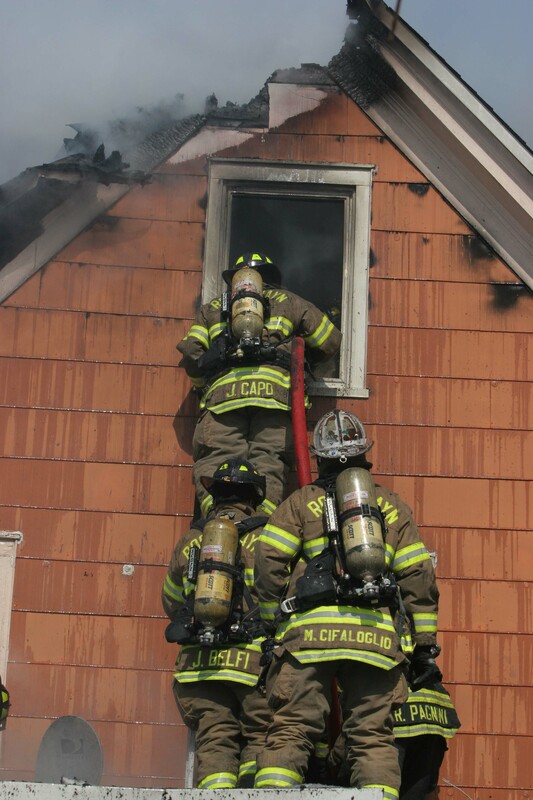 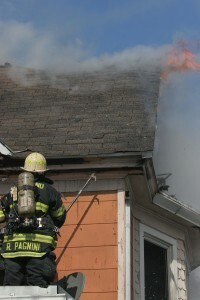 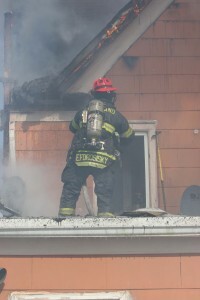 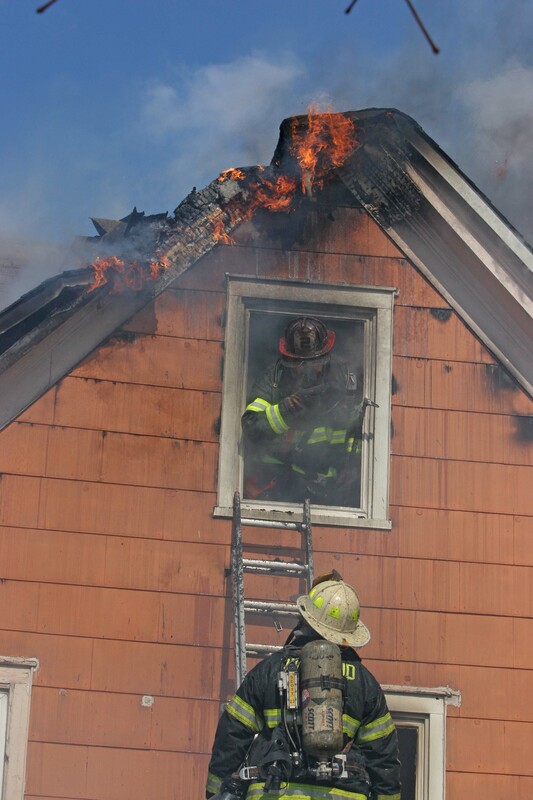 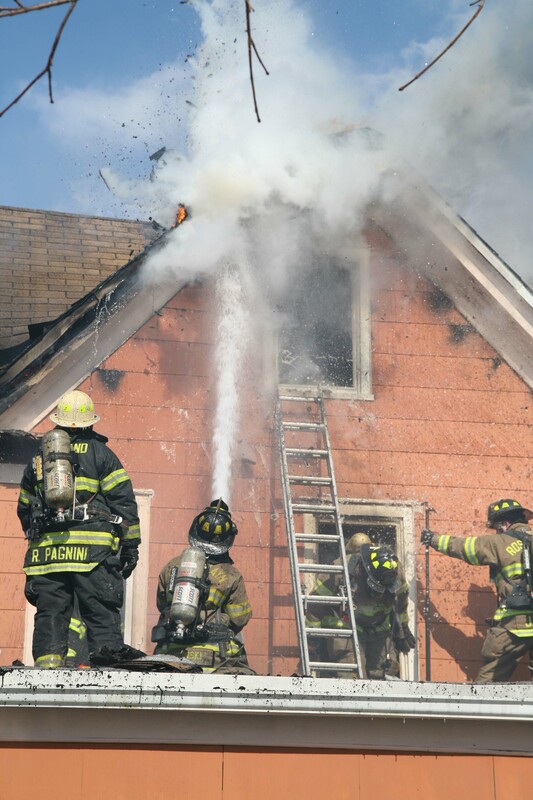 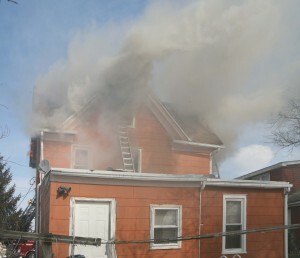 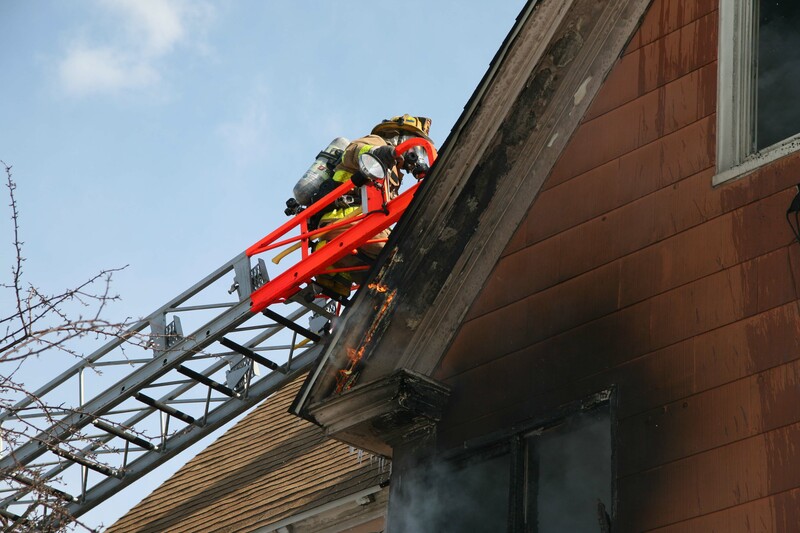 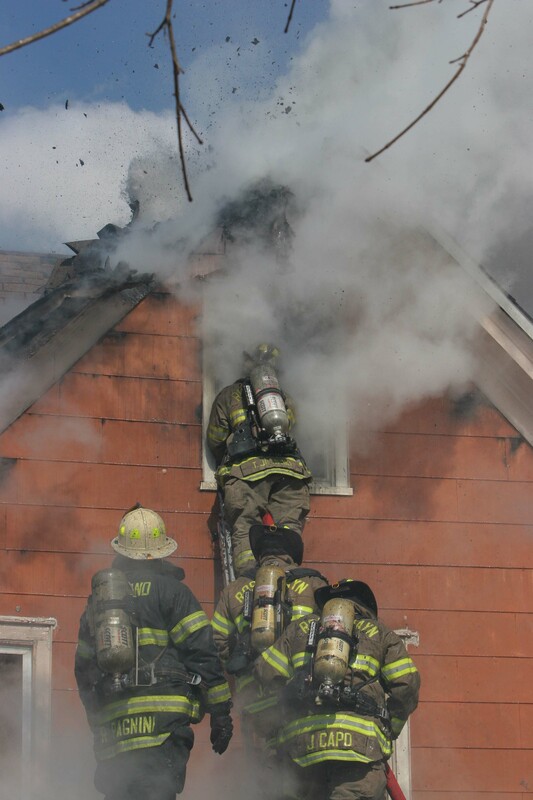 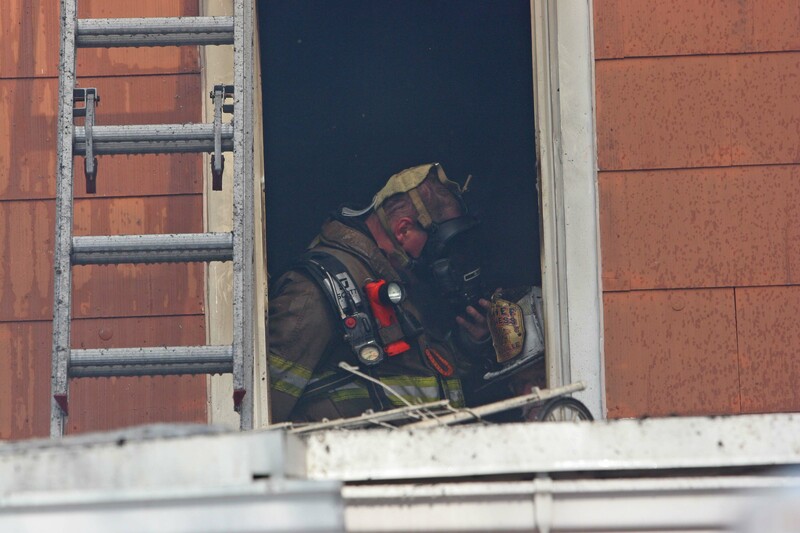 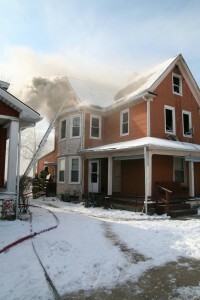 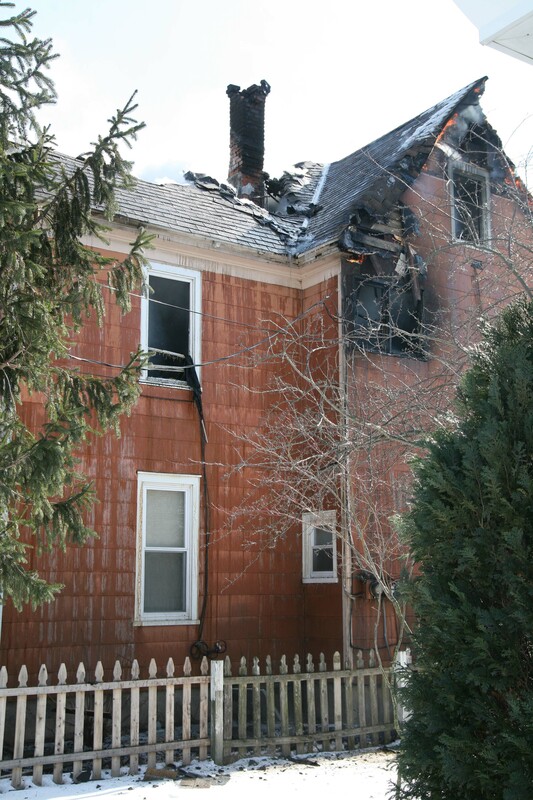 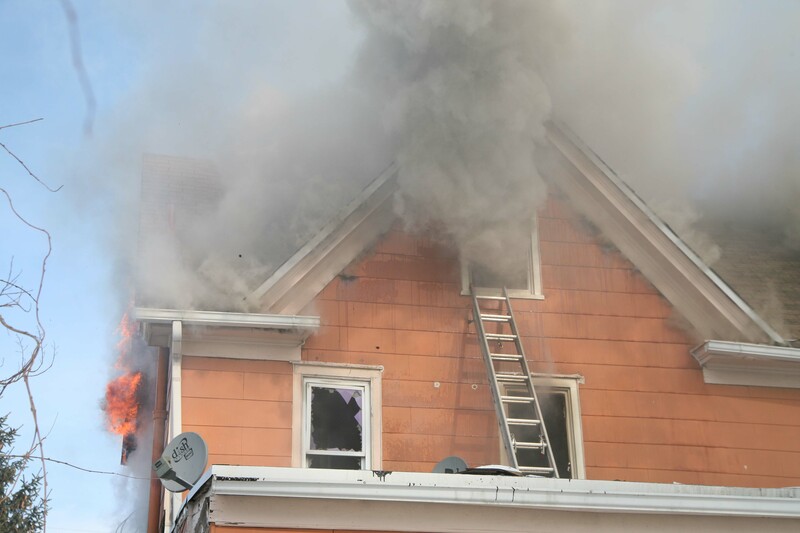 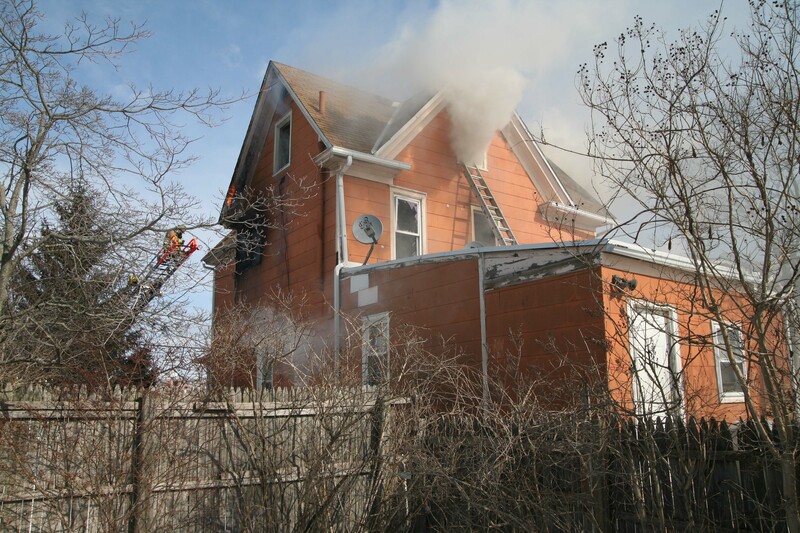 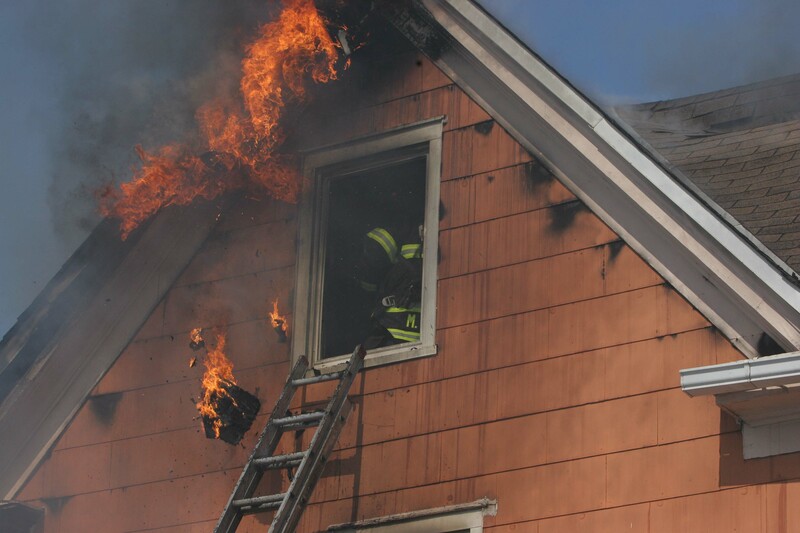 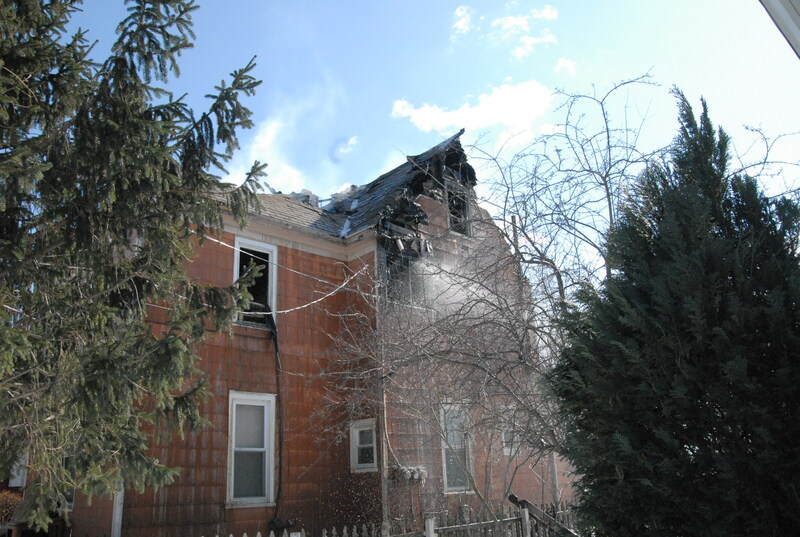 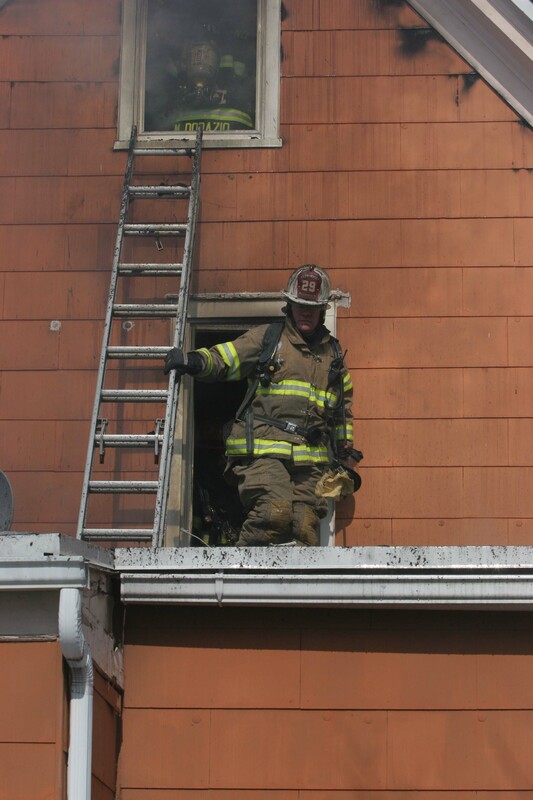 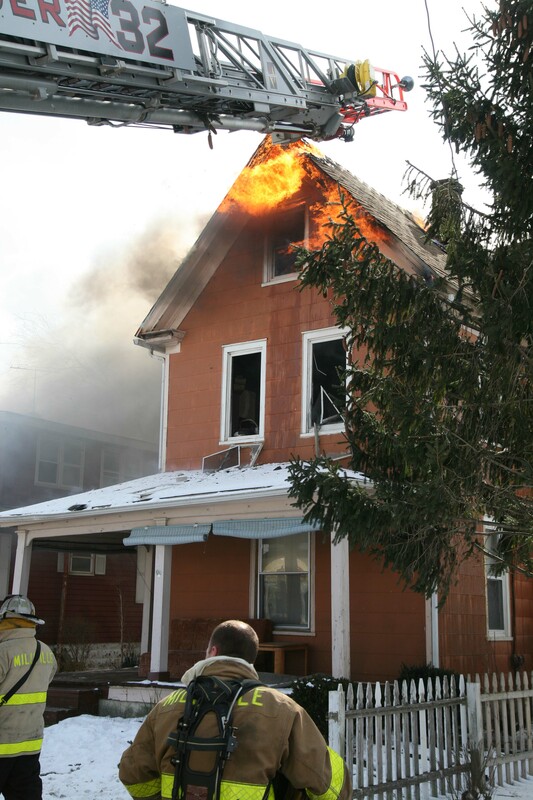 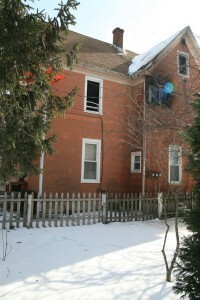 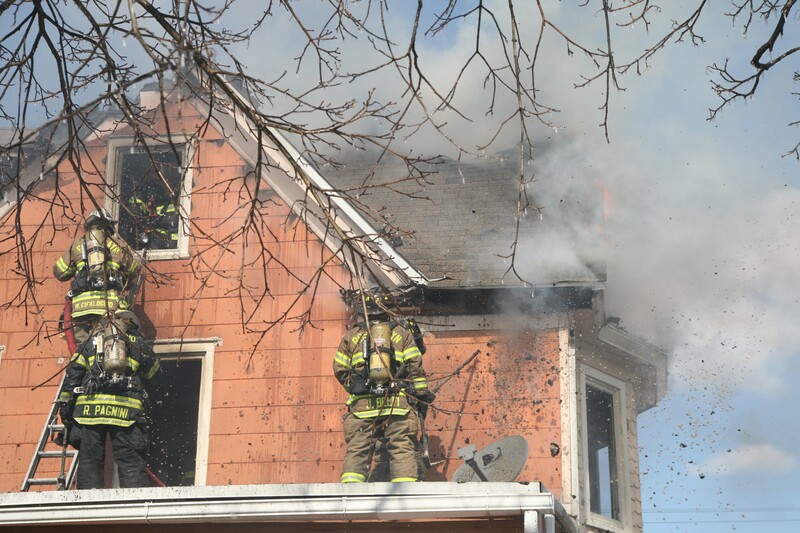 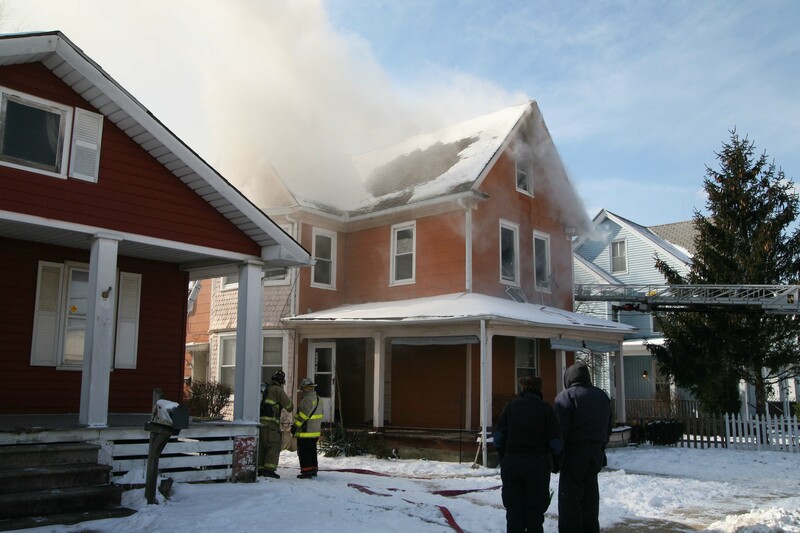 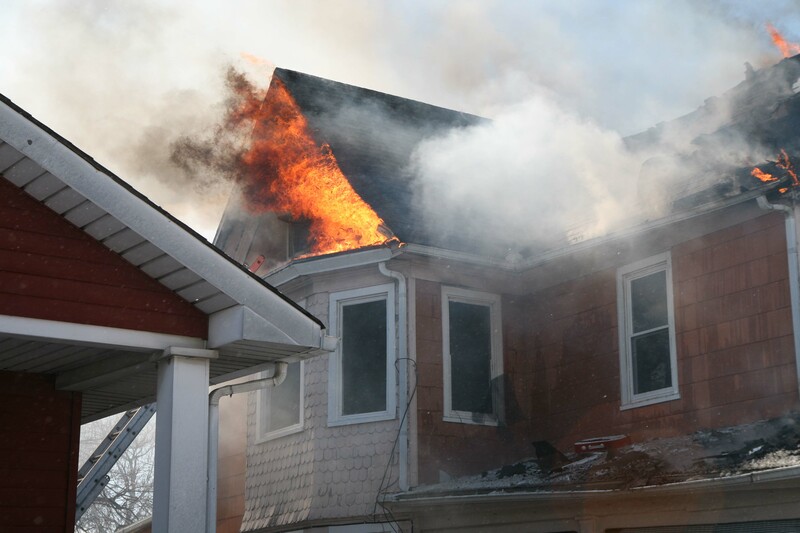 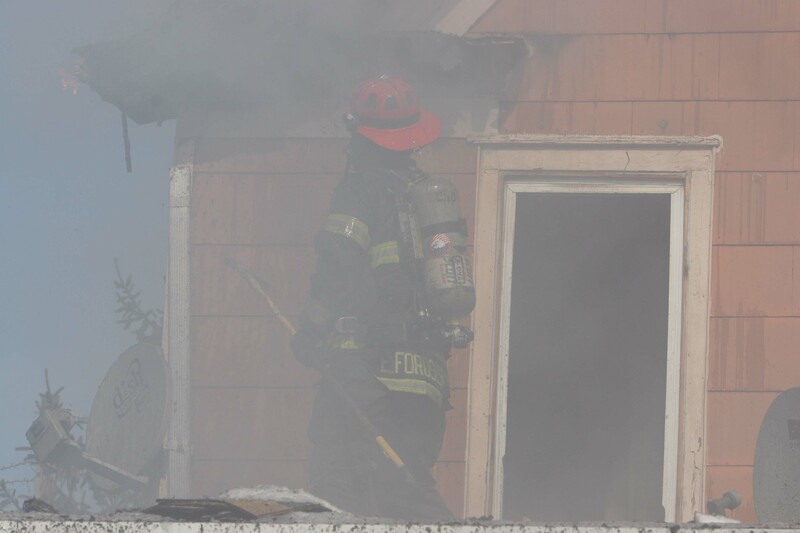 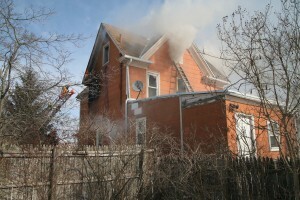 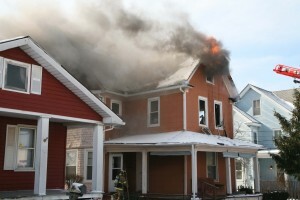 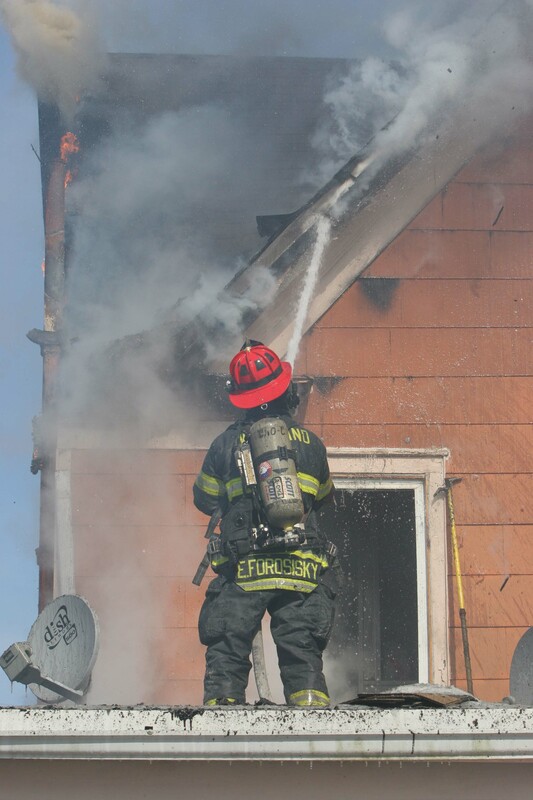 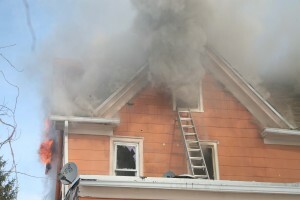 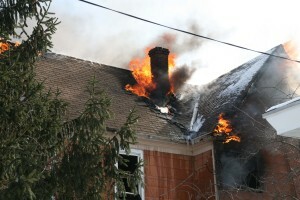 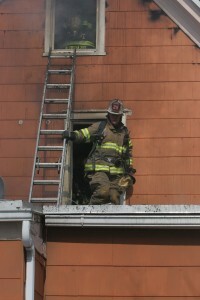 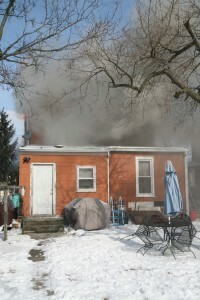 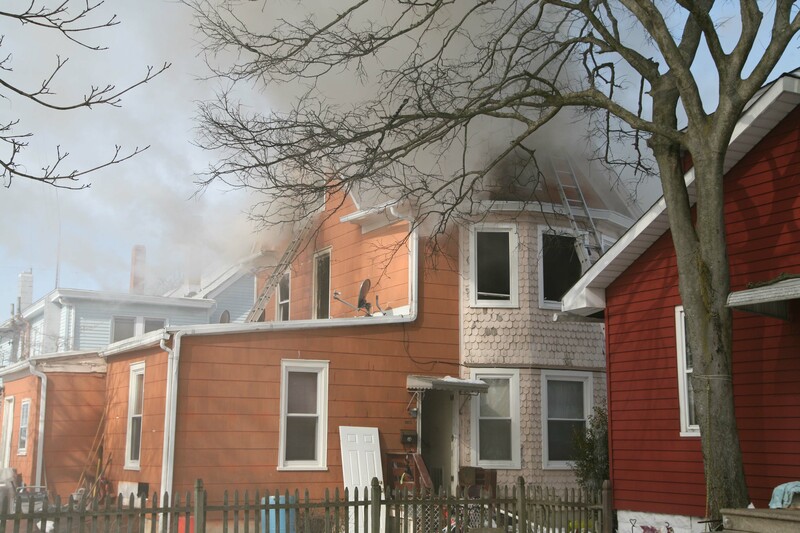 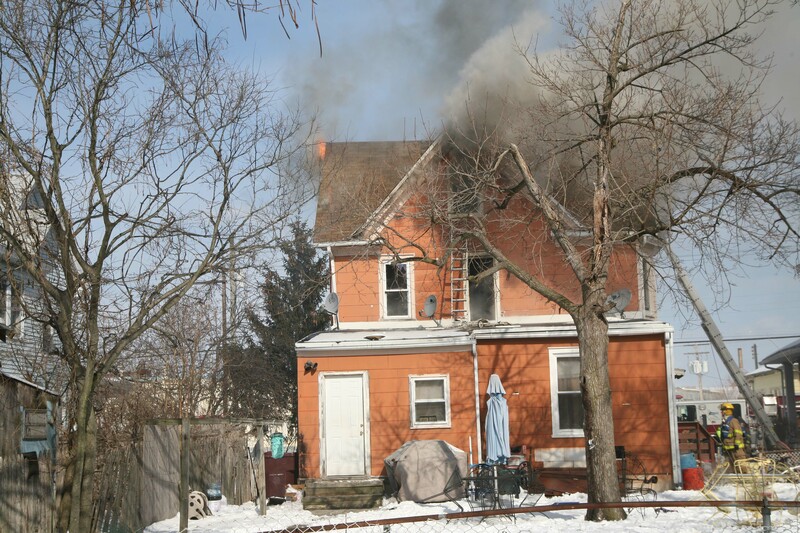 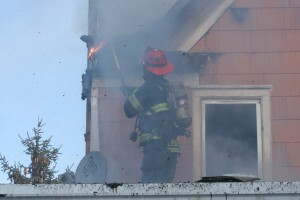 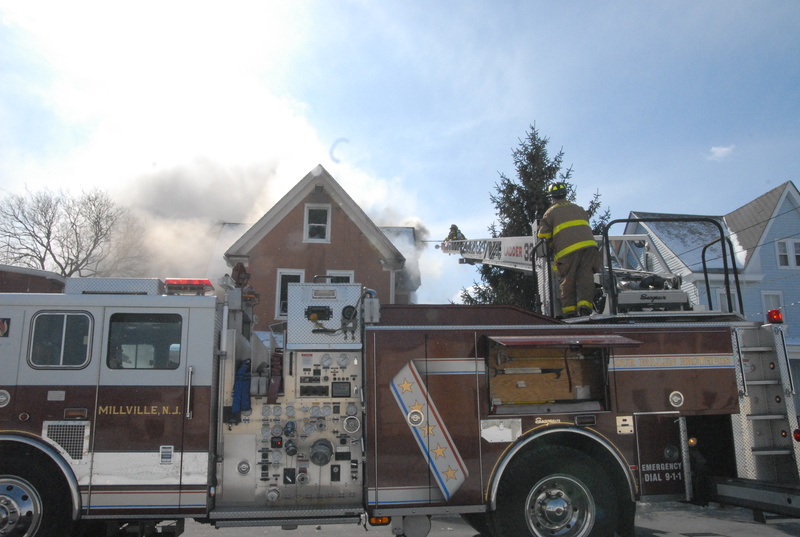 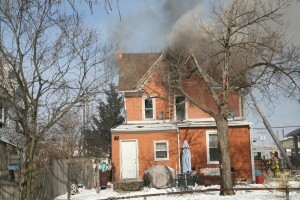 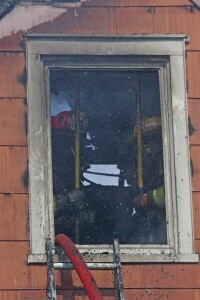 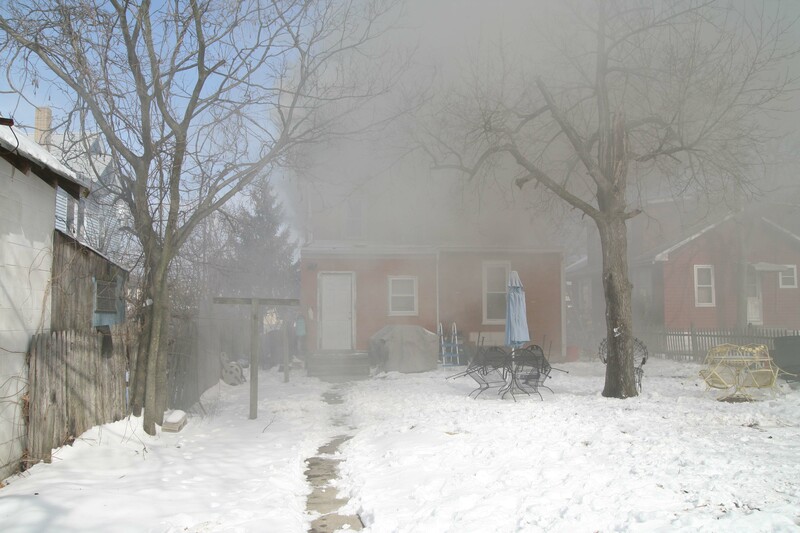 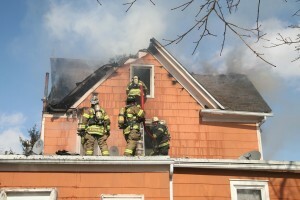 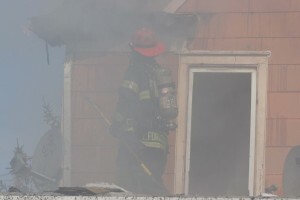 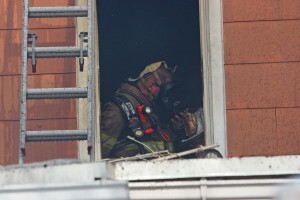 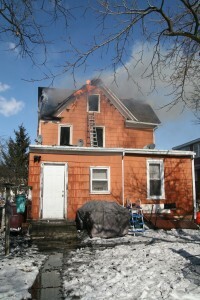 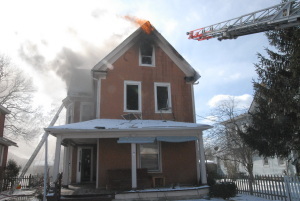 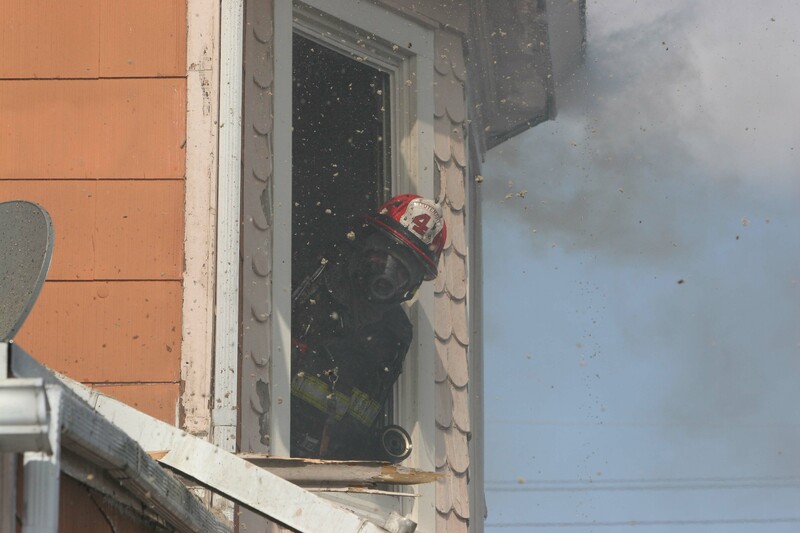 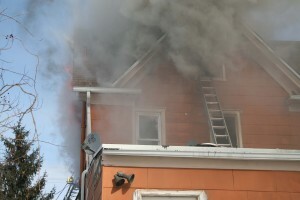 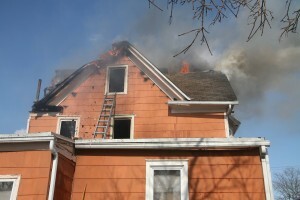 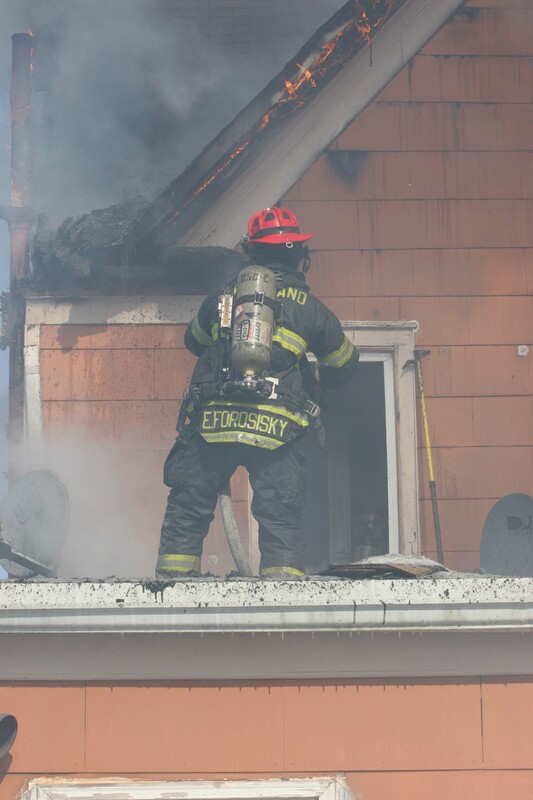 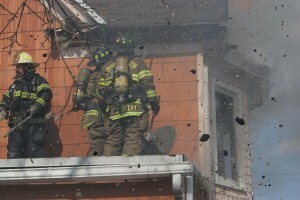 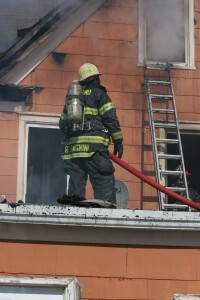 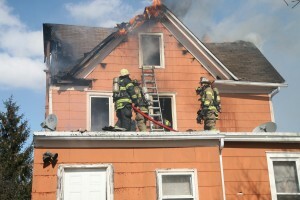 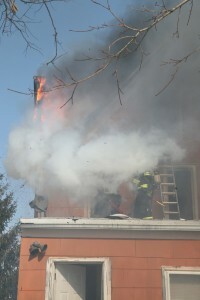 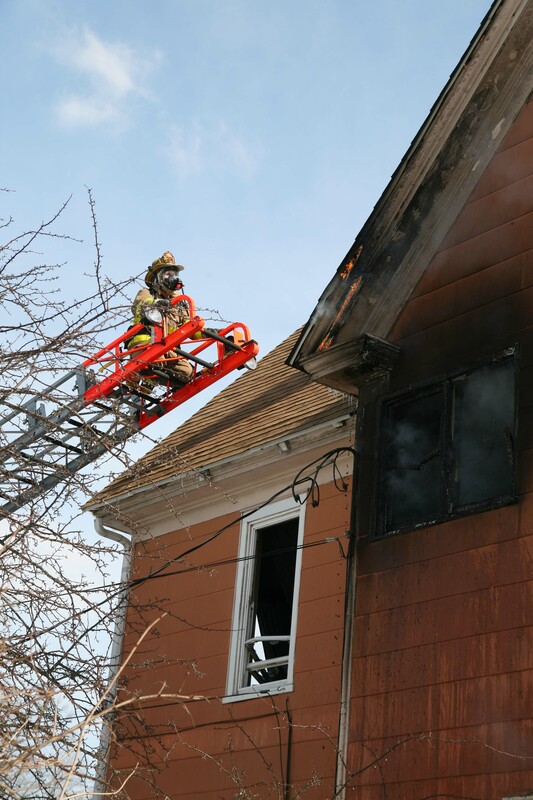 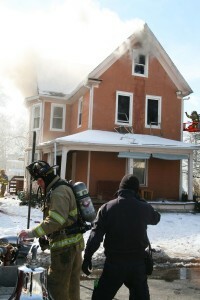 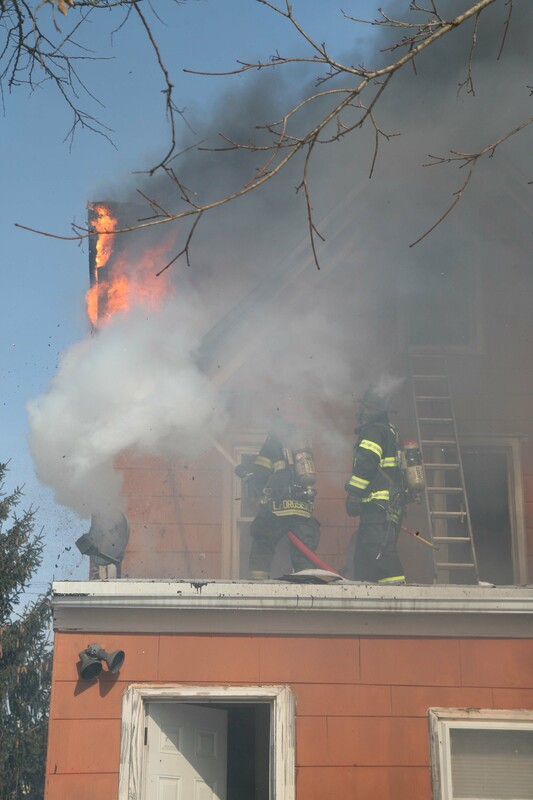 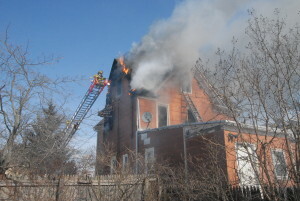 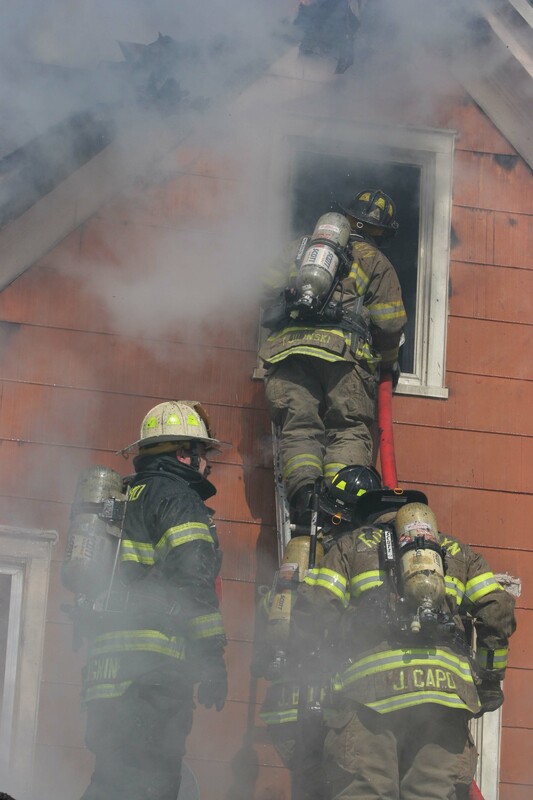 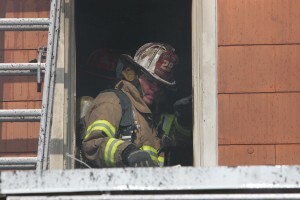 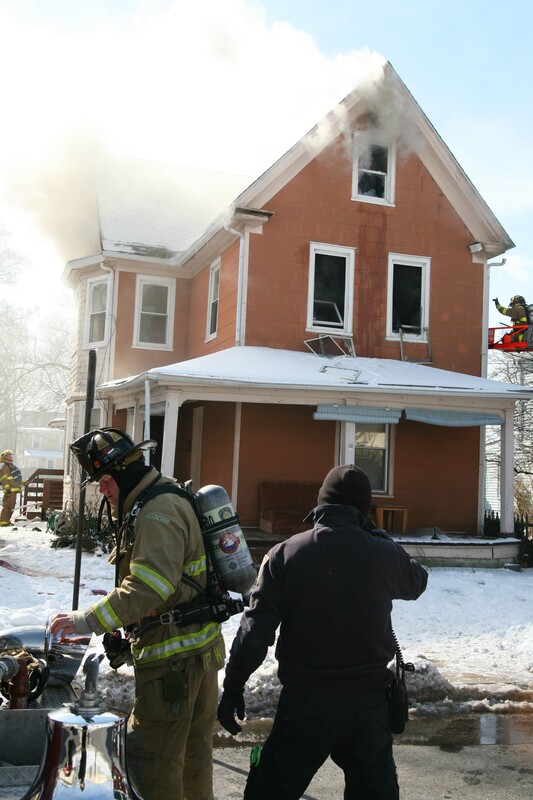 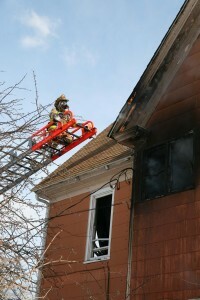 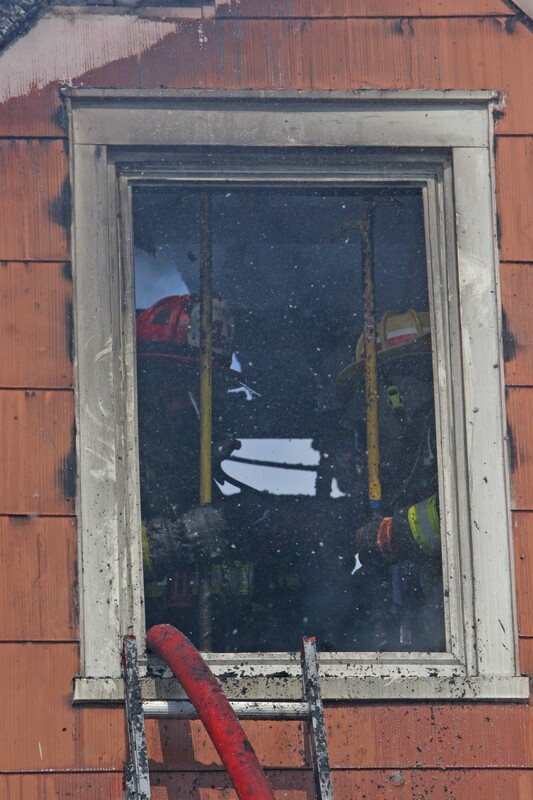 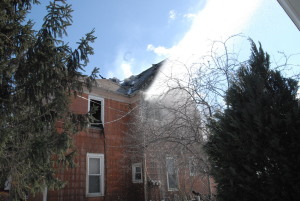 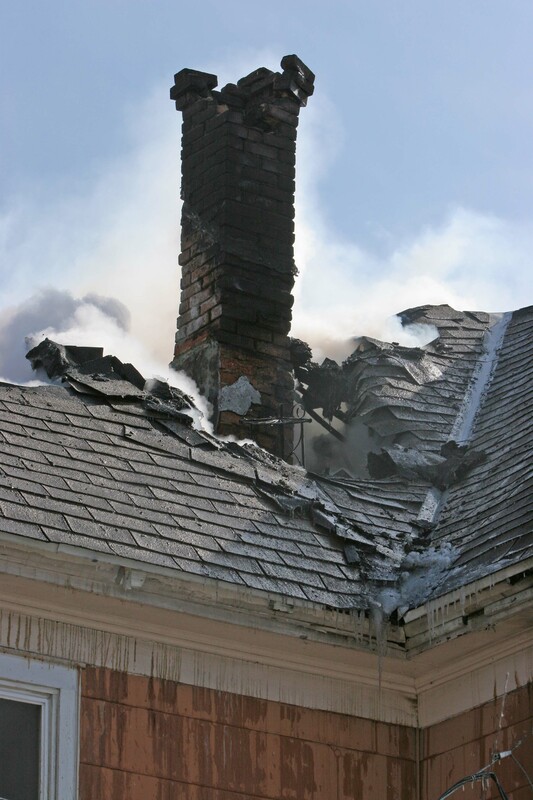 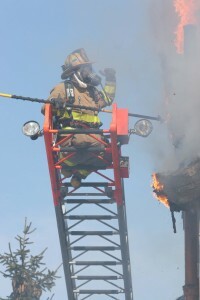 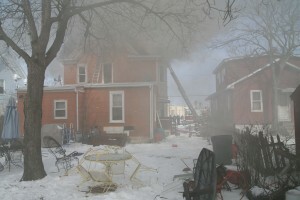 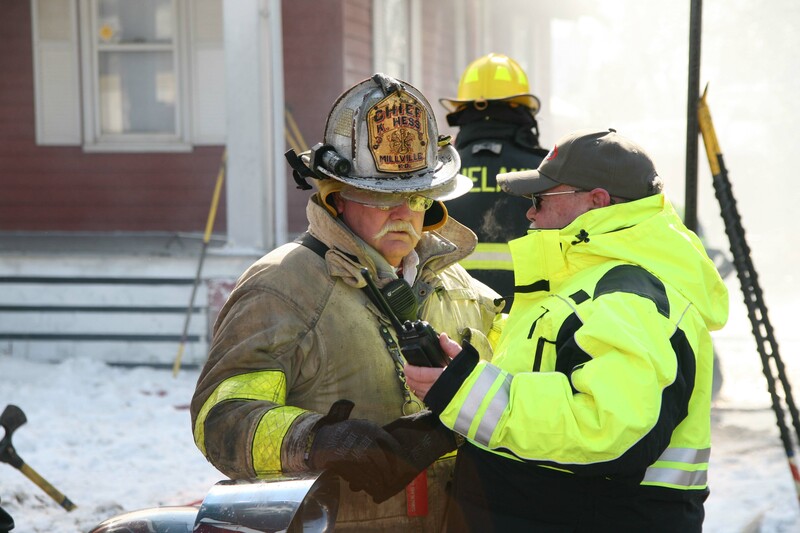 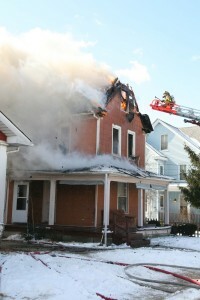 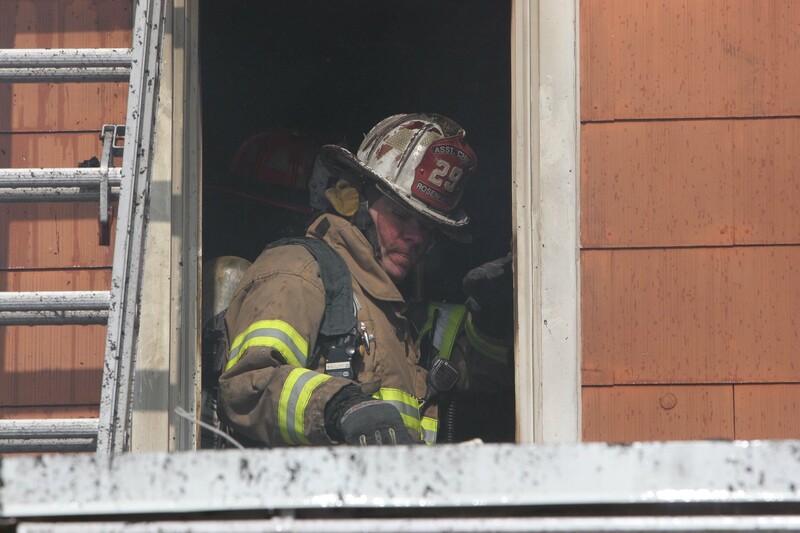 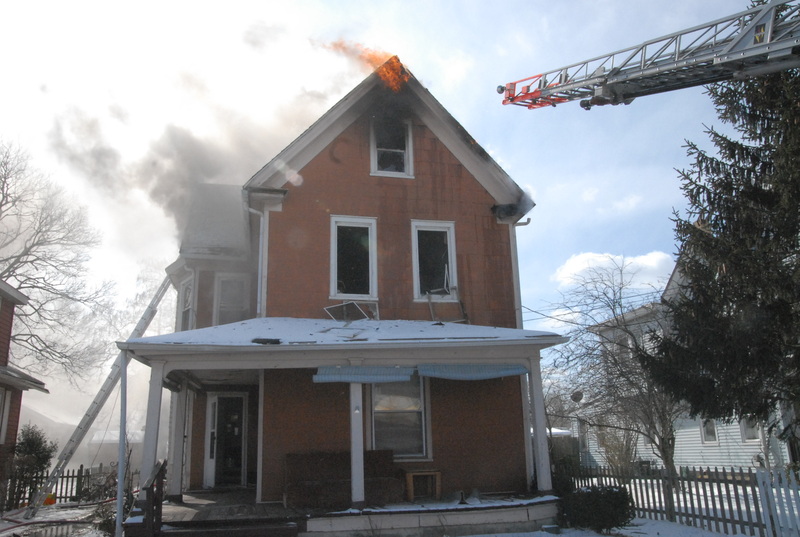 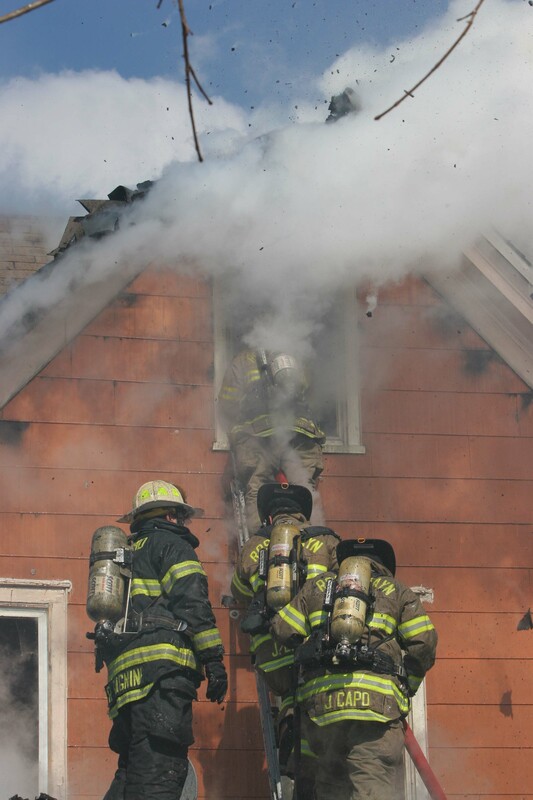 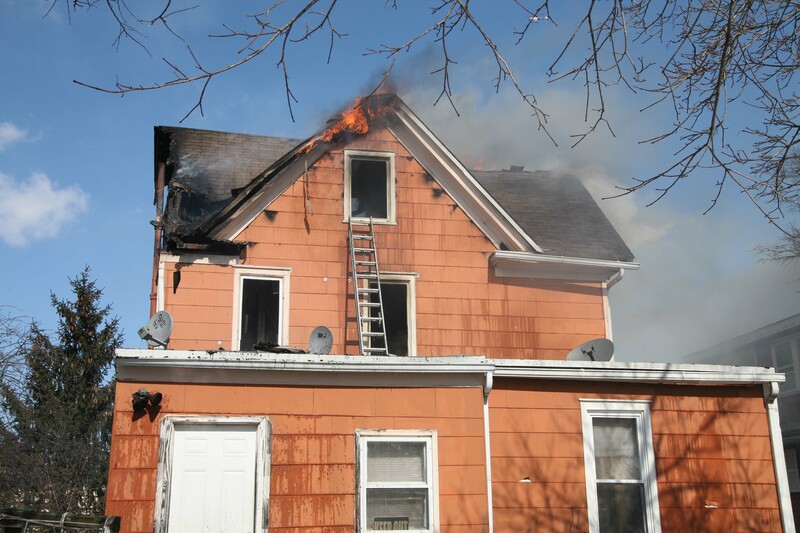 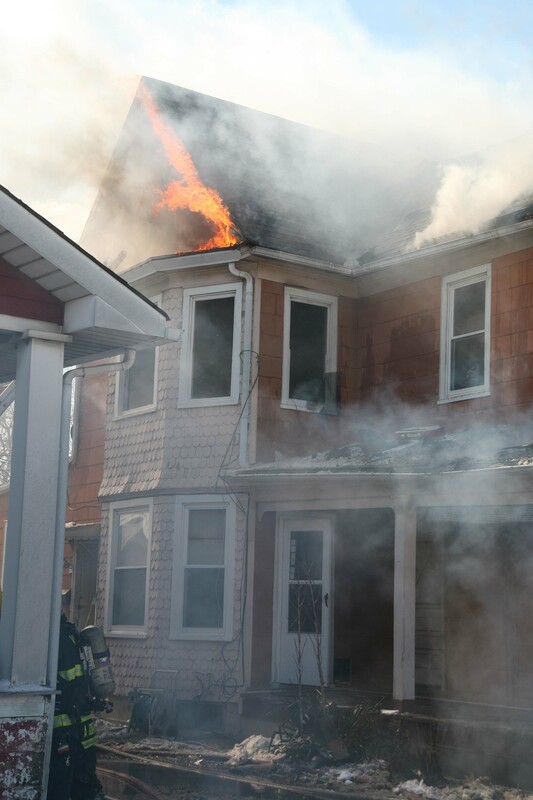 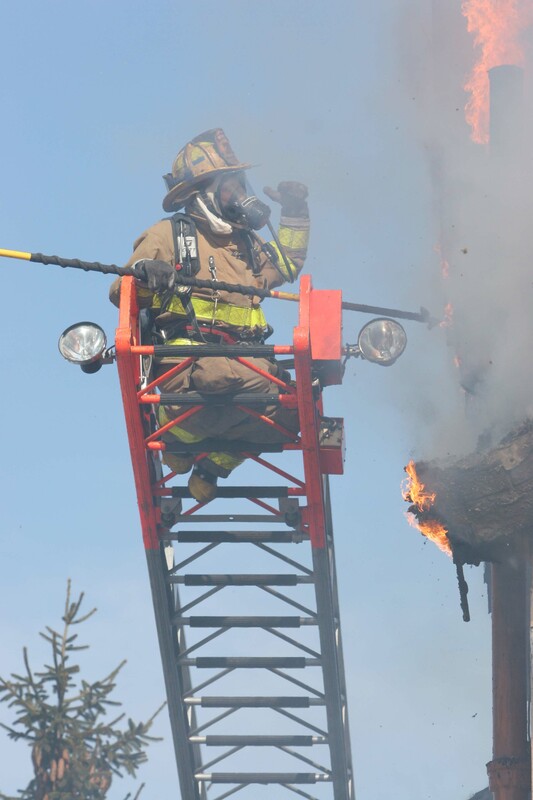 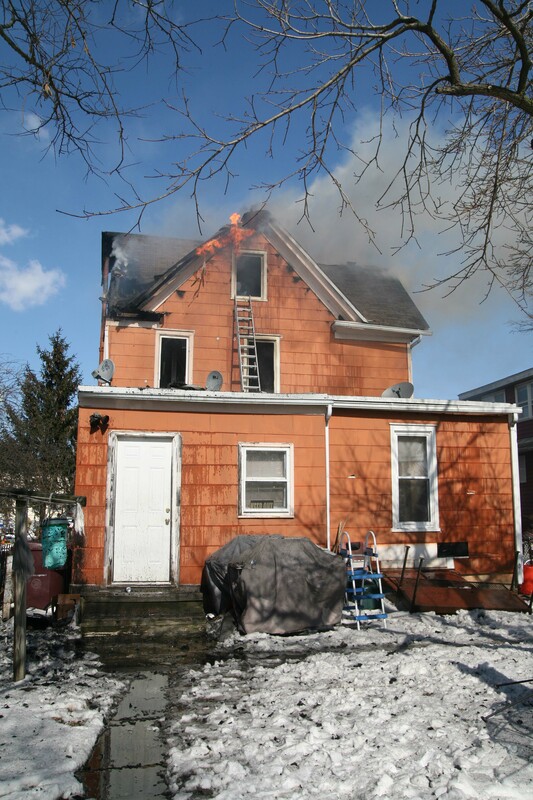 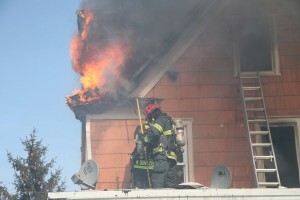 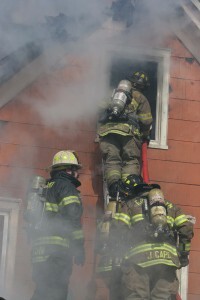 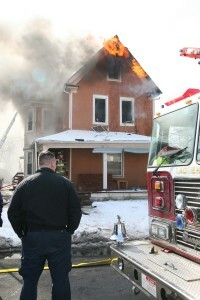 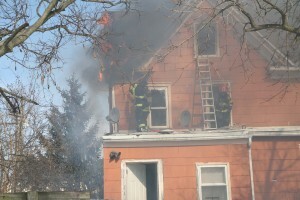 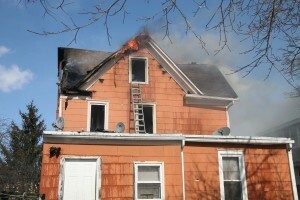 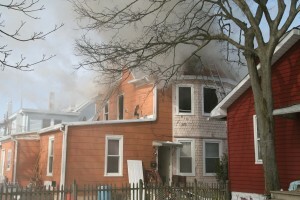 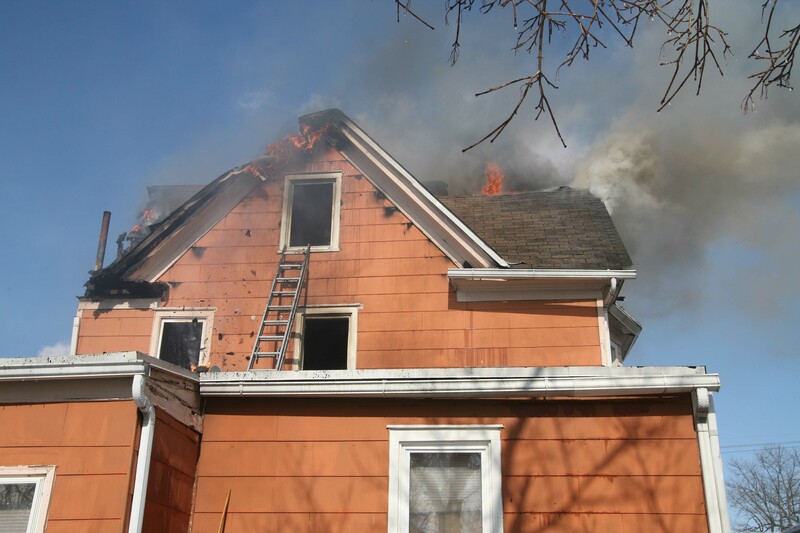 When checking the second floor, the Chief encountered a heavy smoke condition. 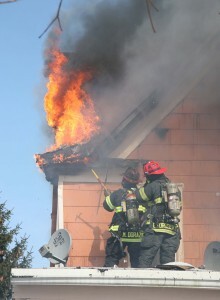 A second alarm was requested. 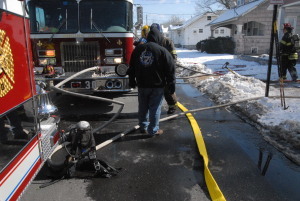 Engine 30 arrived on location, laid a supply line, and made an interior attack. 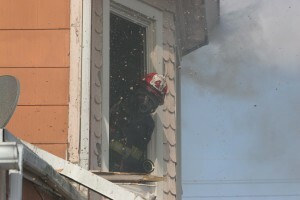 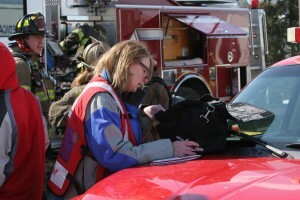 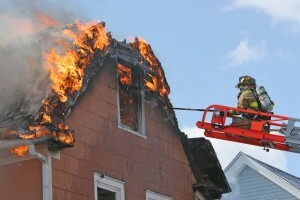 A primary search of the first floor was conducted with negative results. 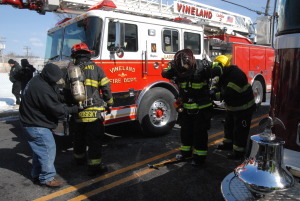 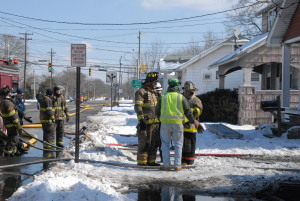 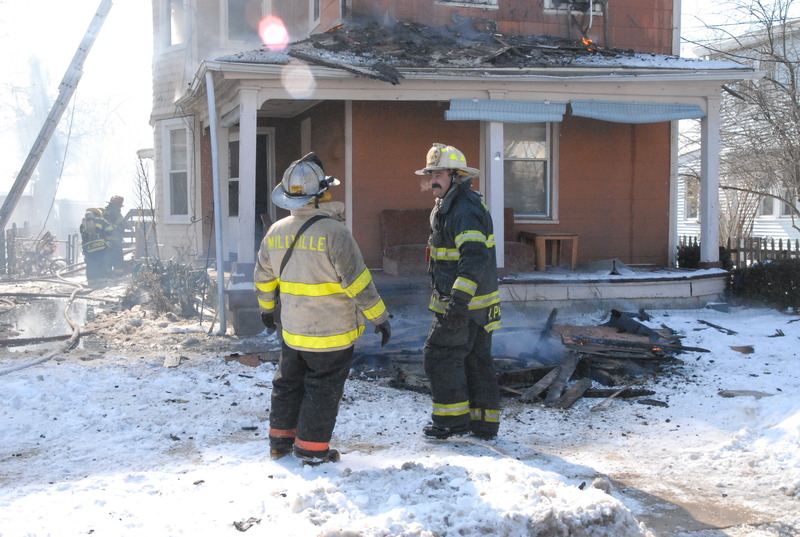 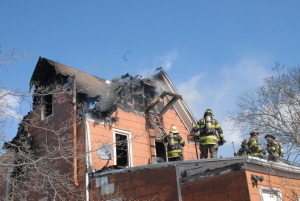 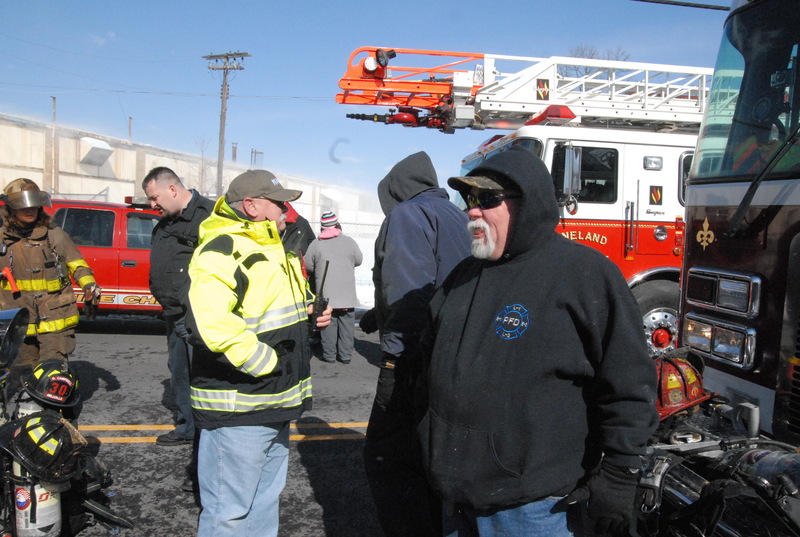 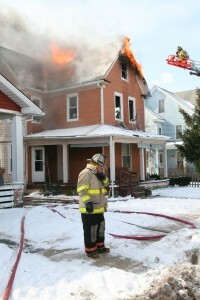 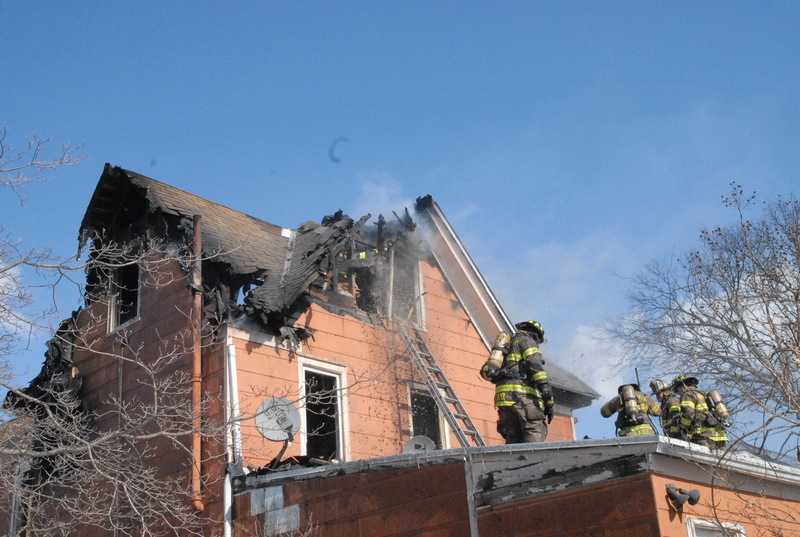 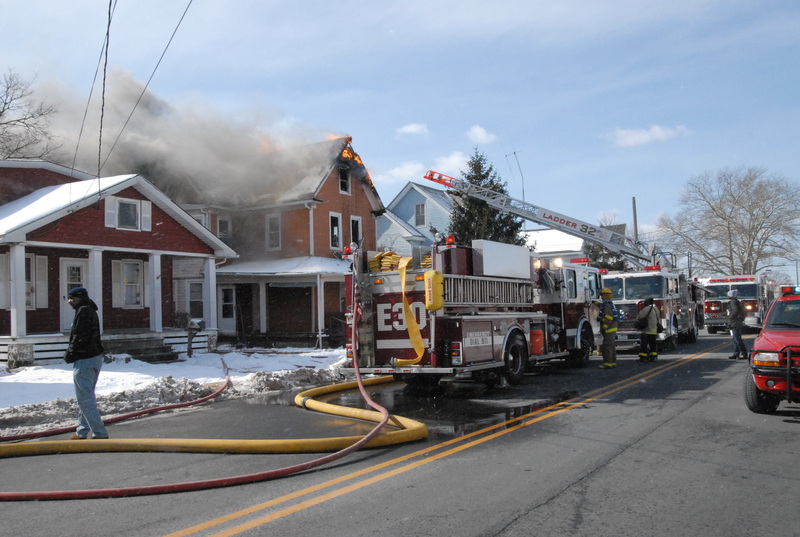 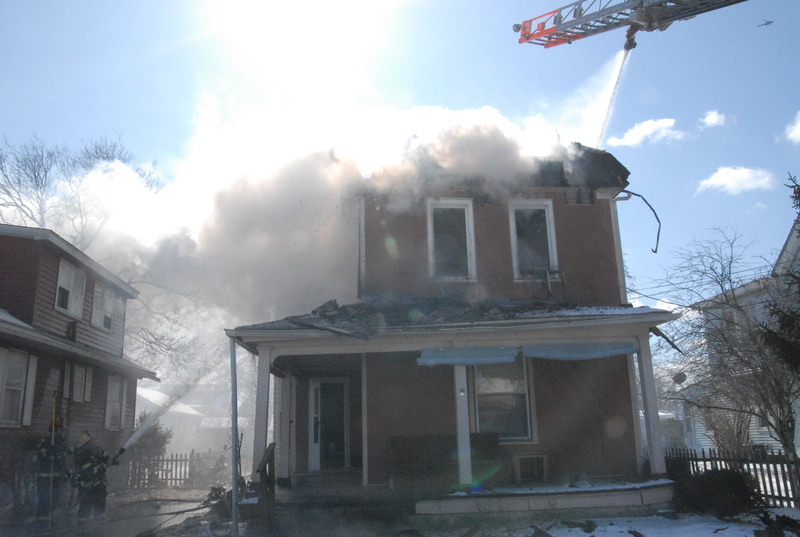 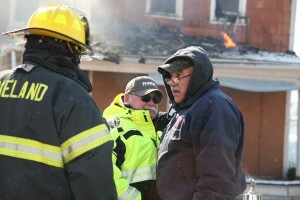 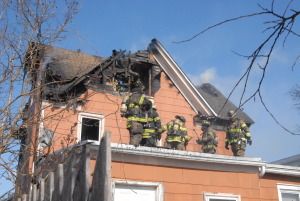 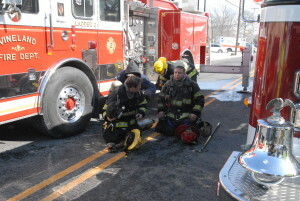 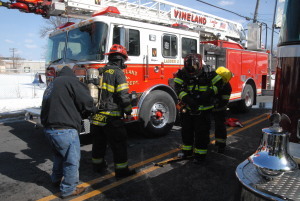 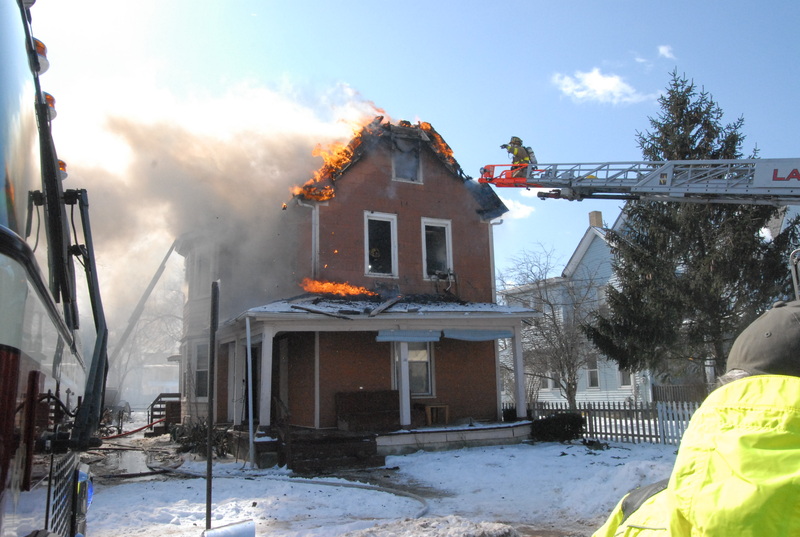 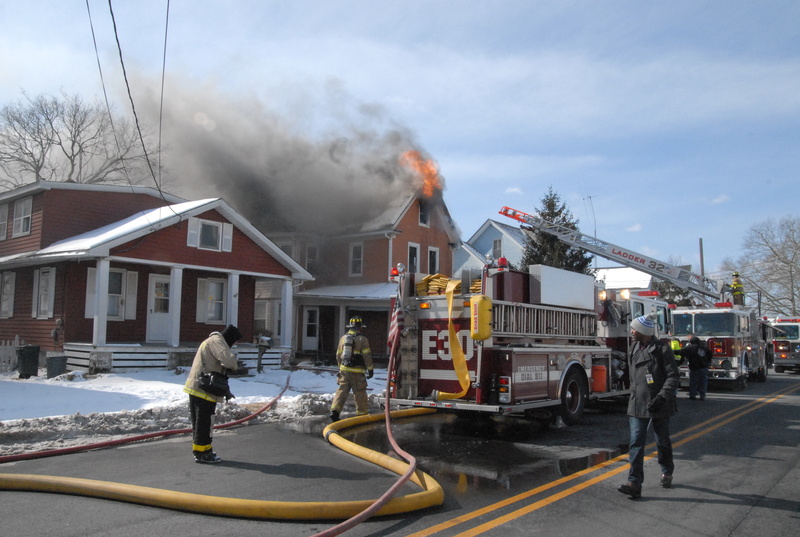 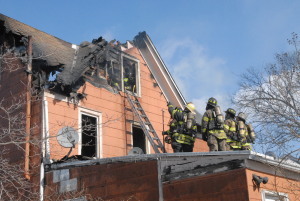 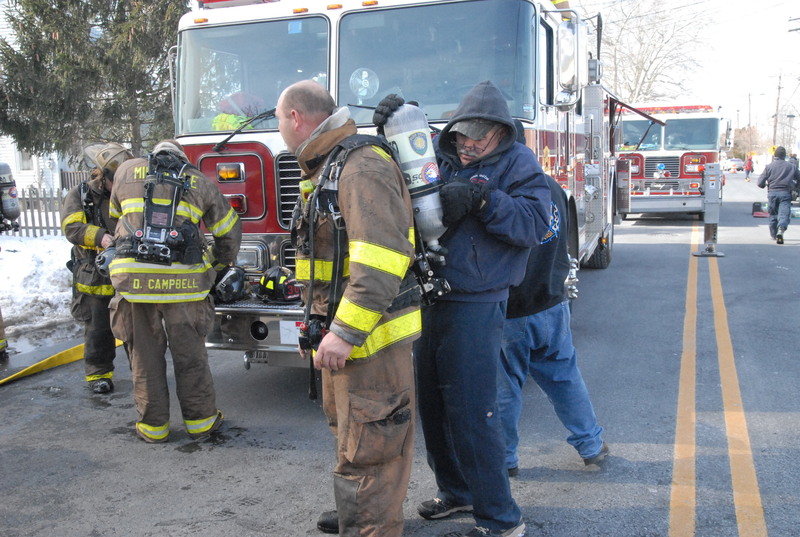 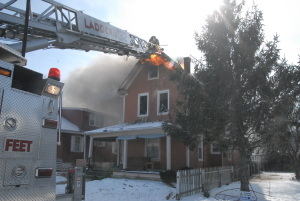 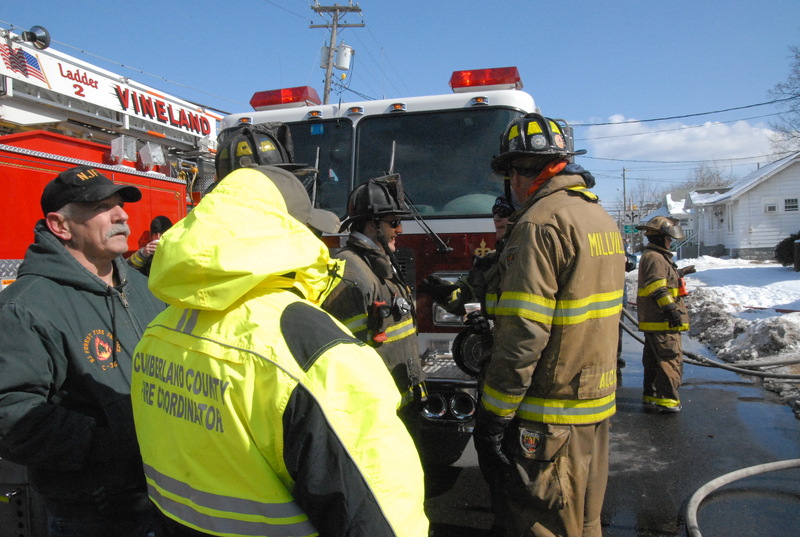 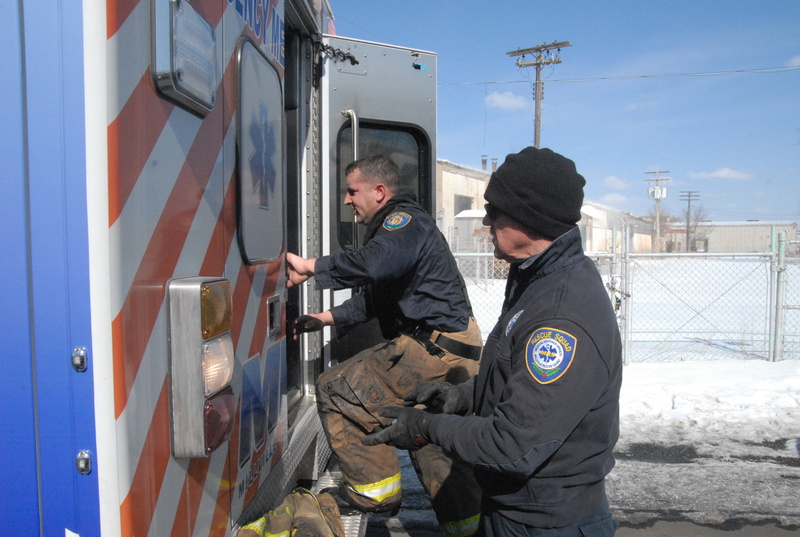 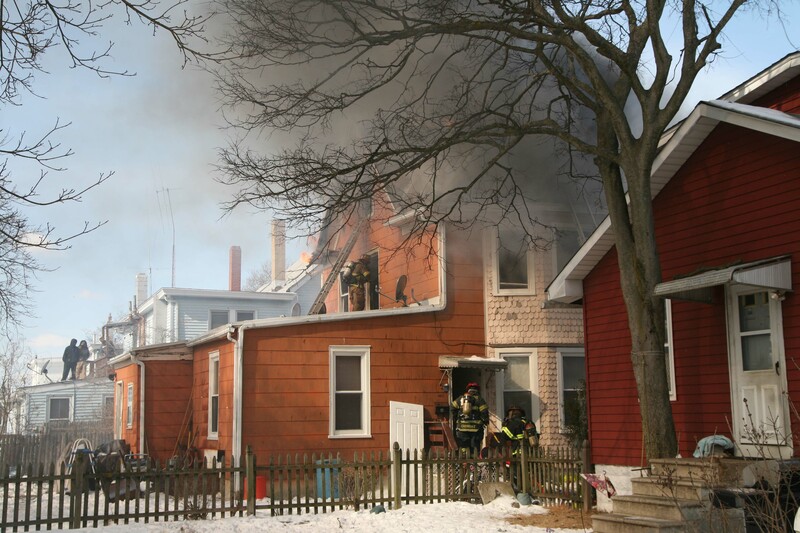 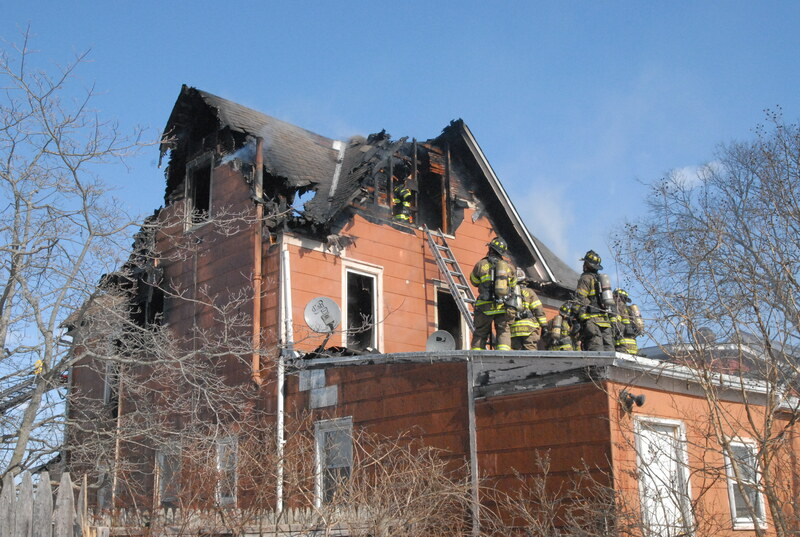 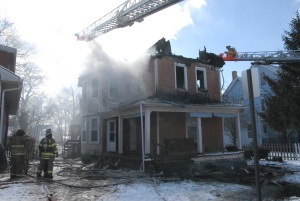 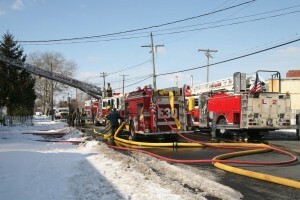 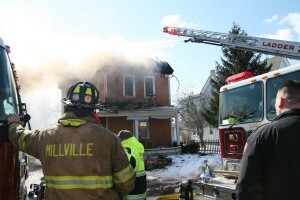 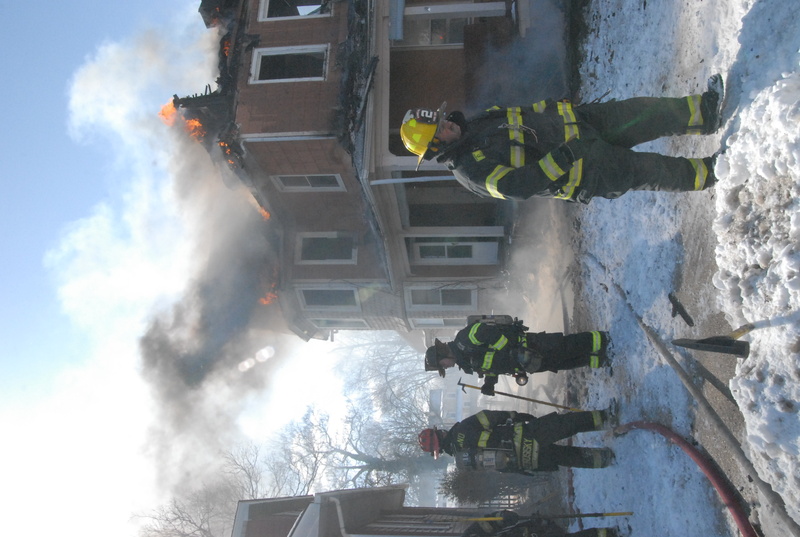 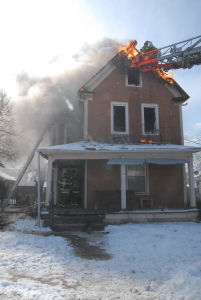 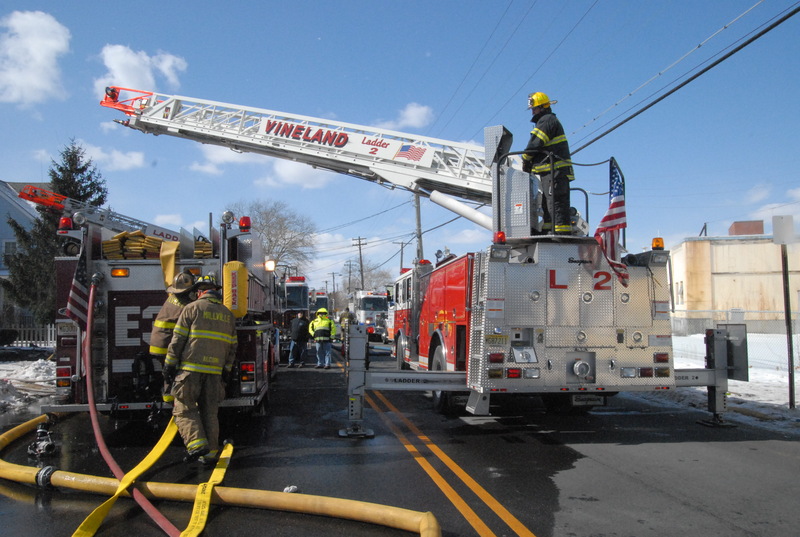 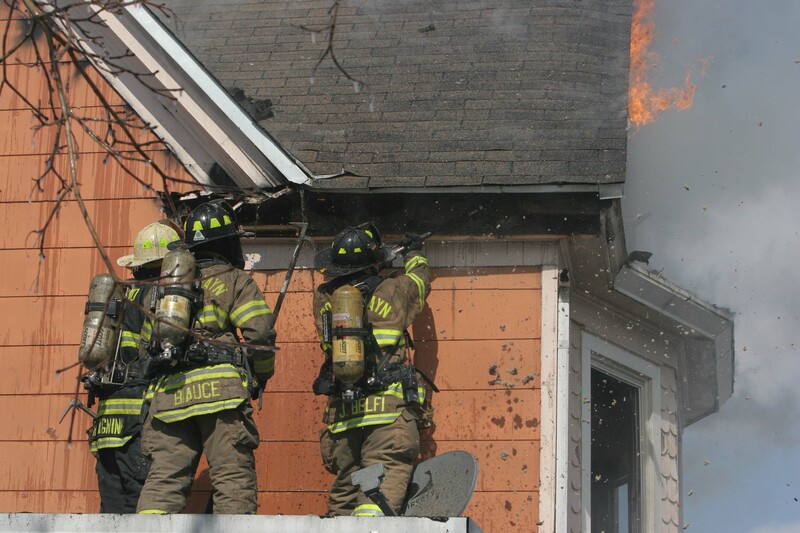 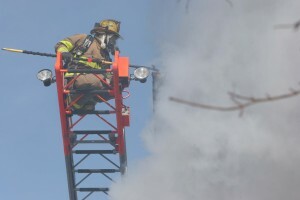 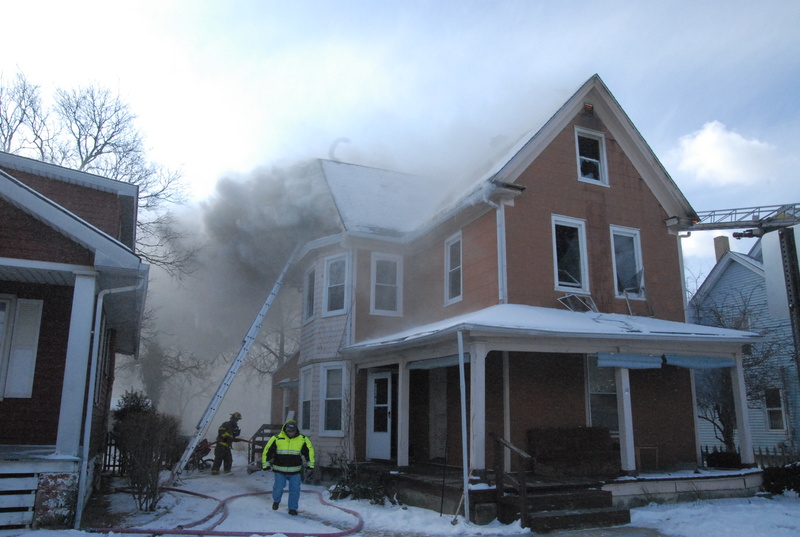 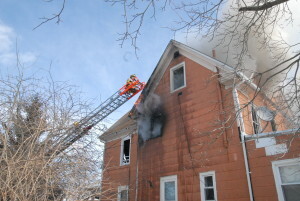 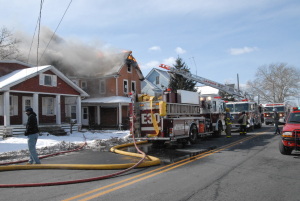 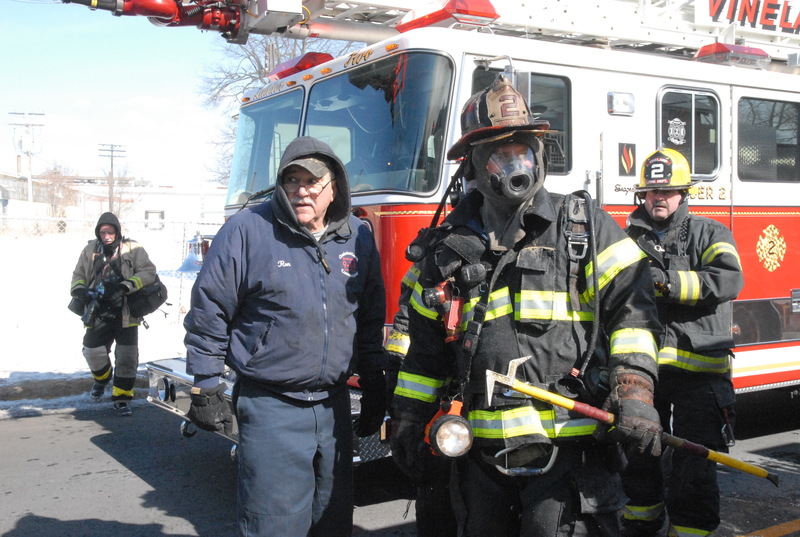 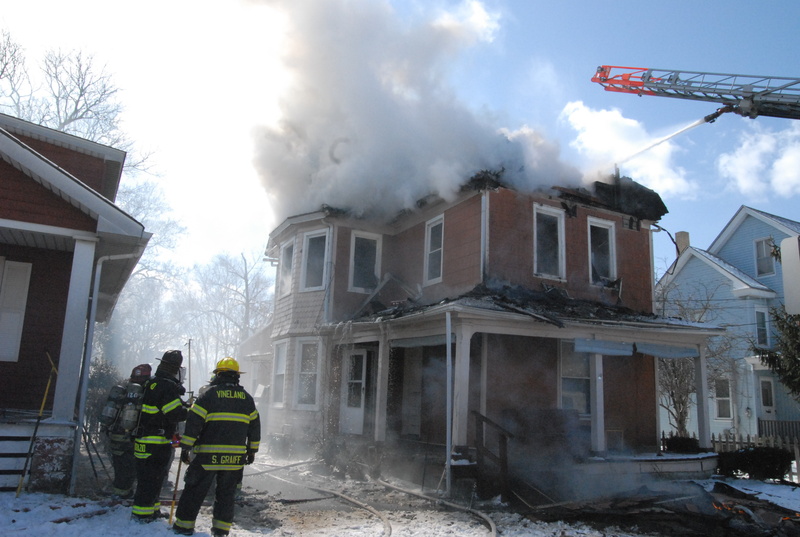 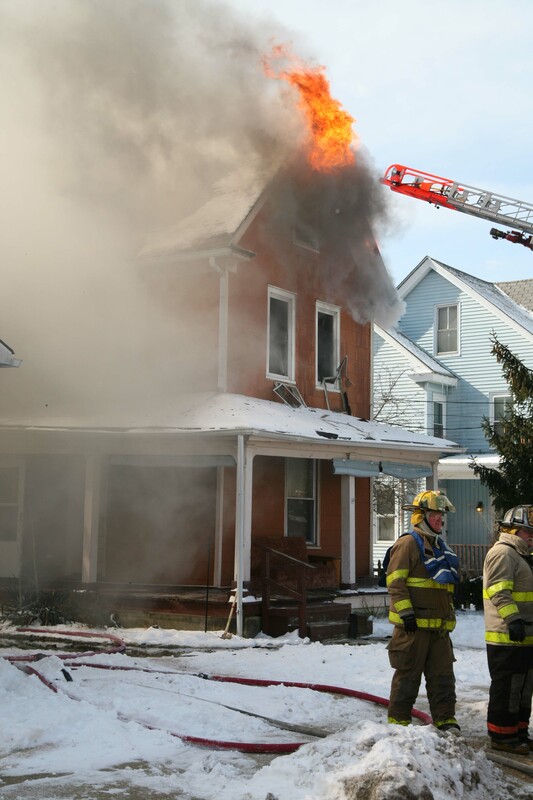 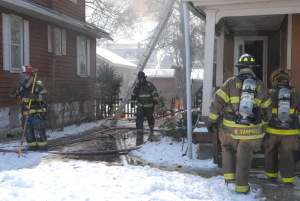 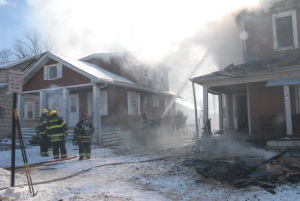 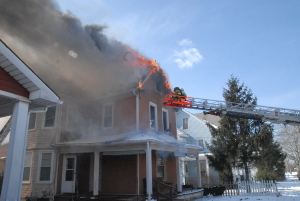 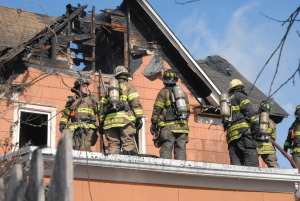 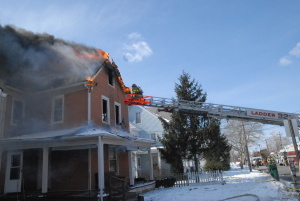 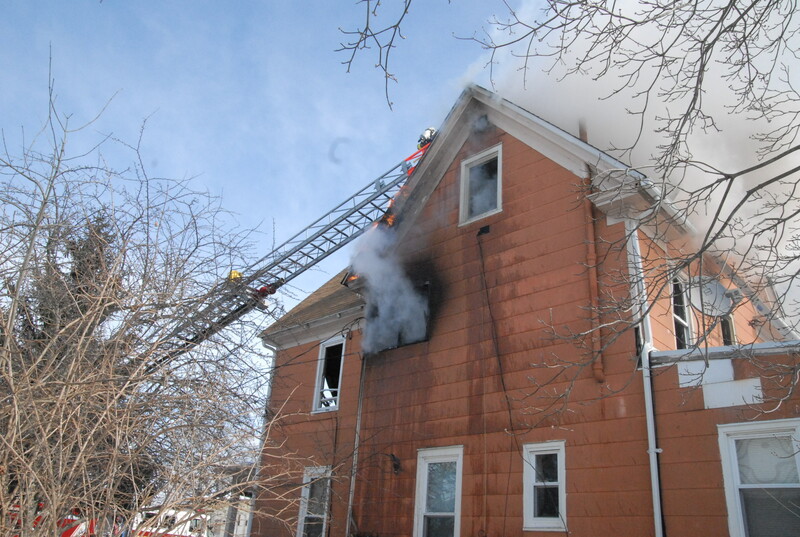 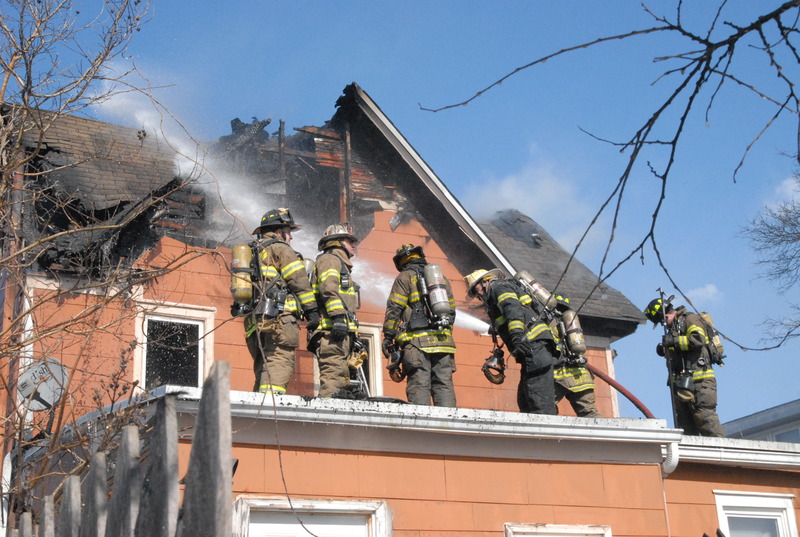 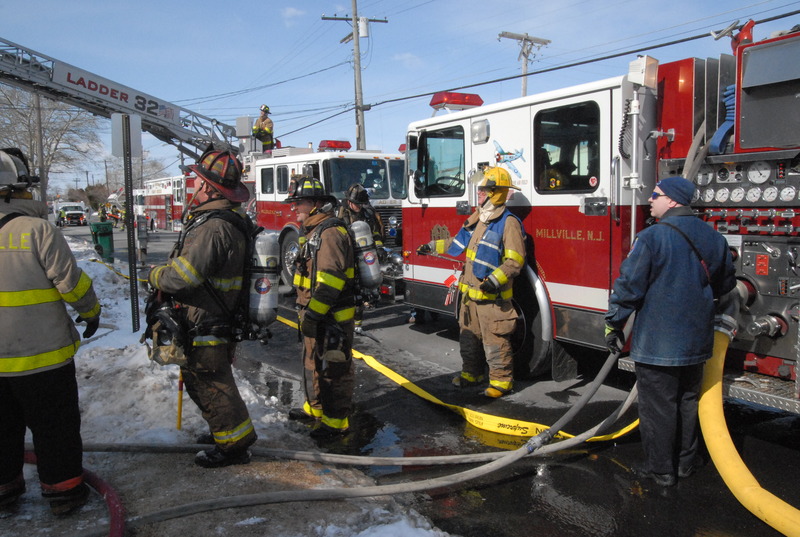 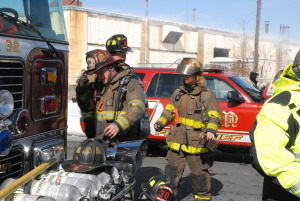 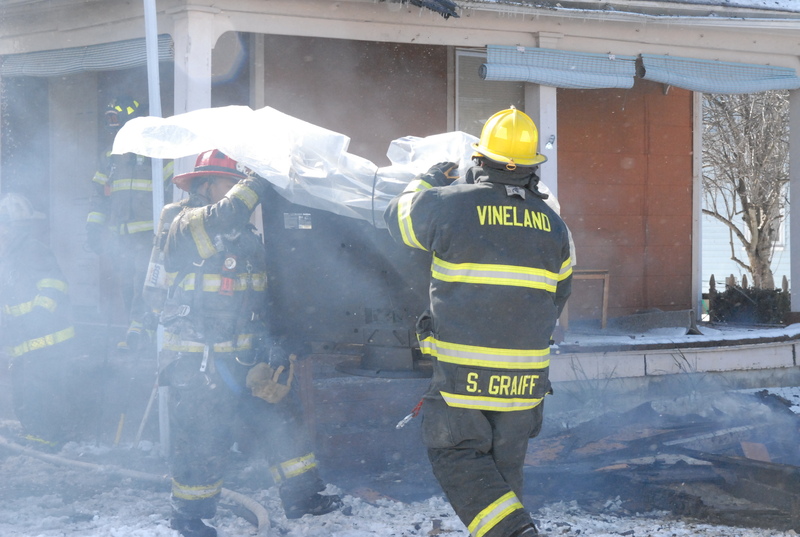 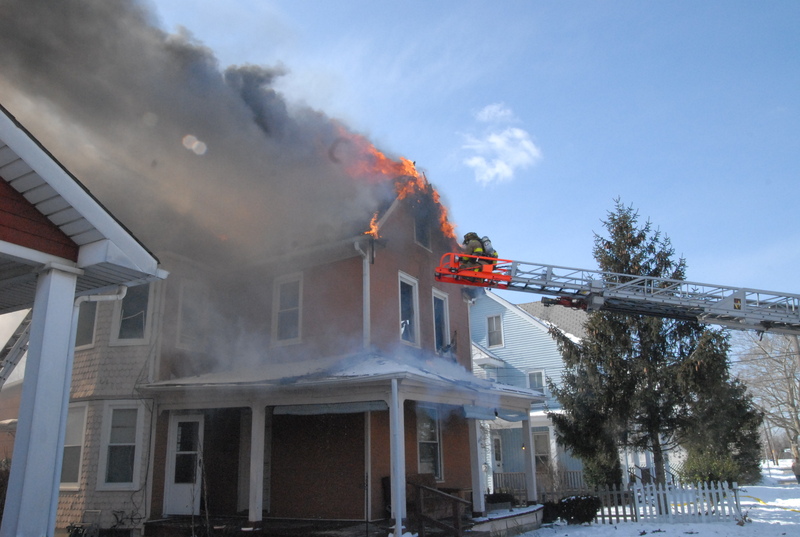 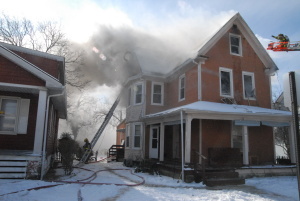 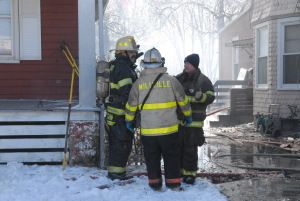 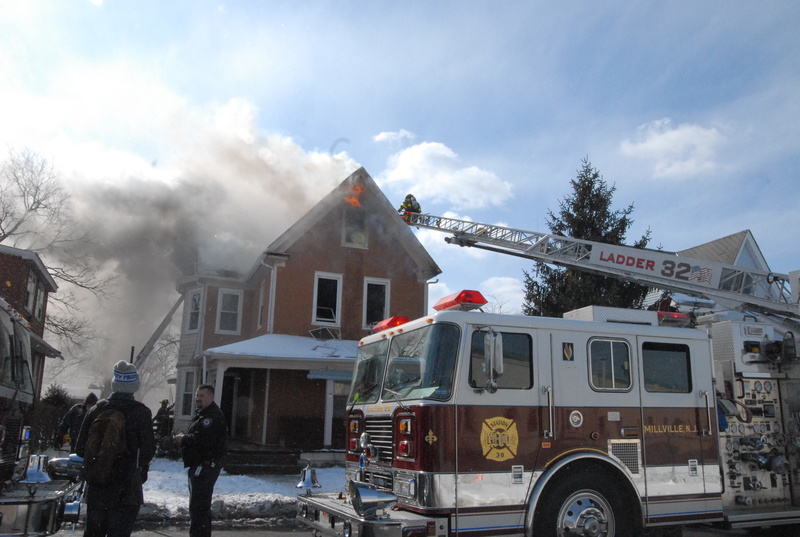 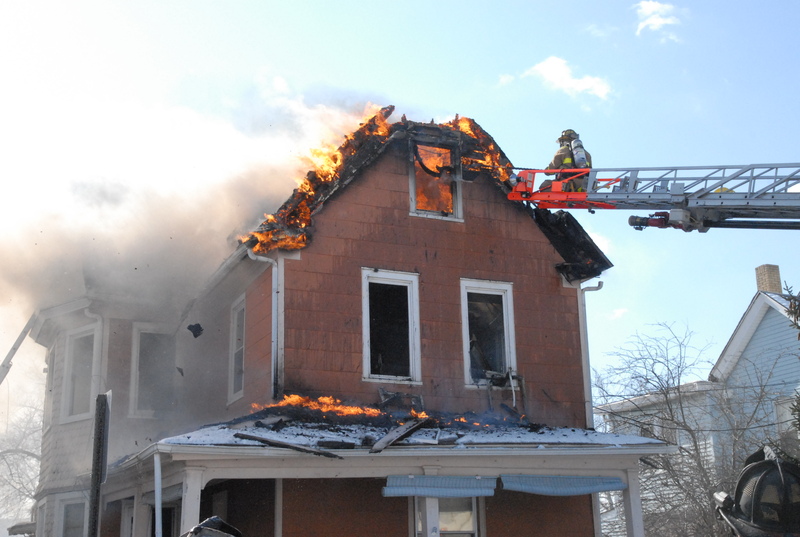 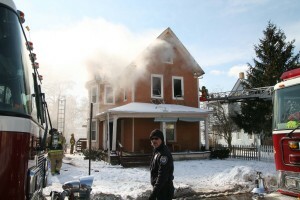 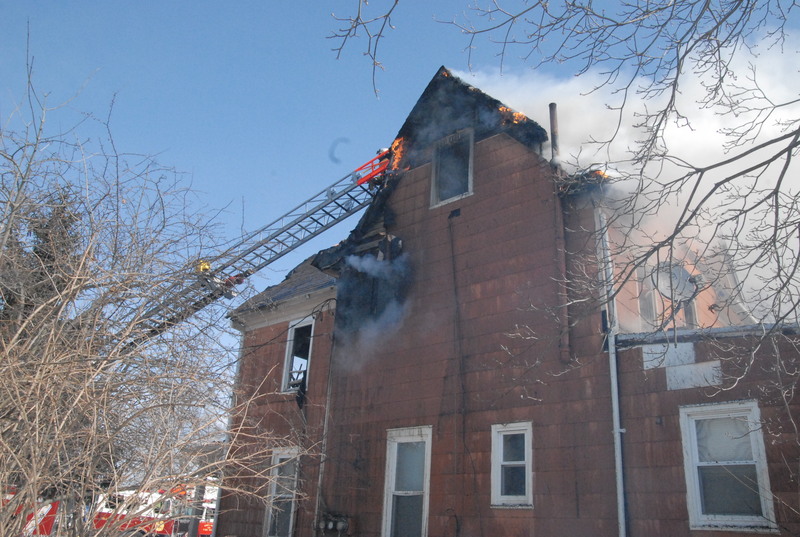 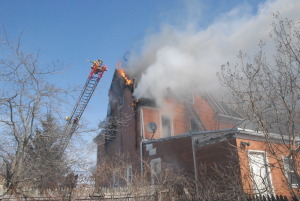 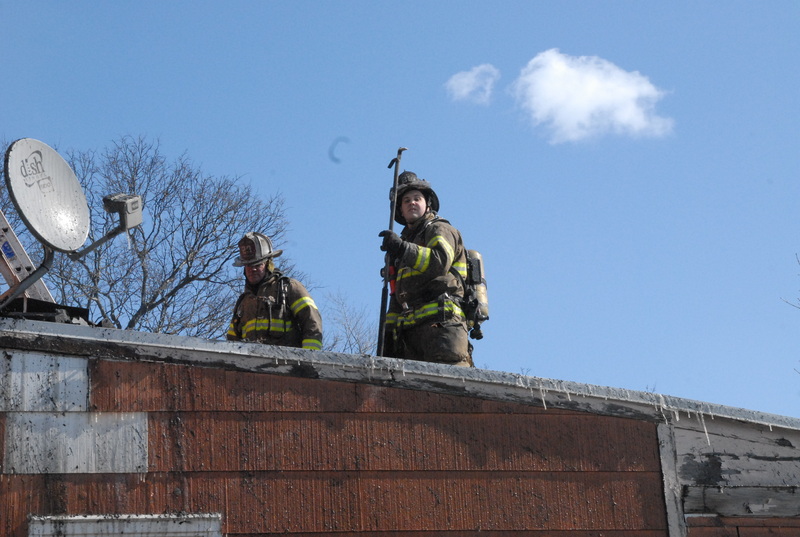 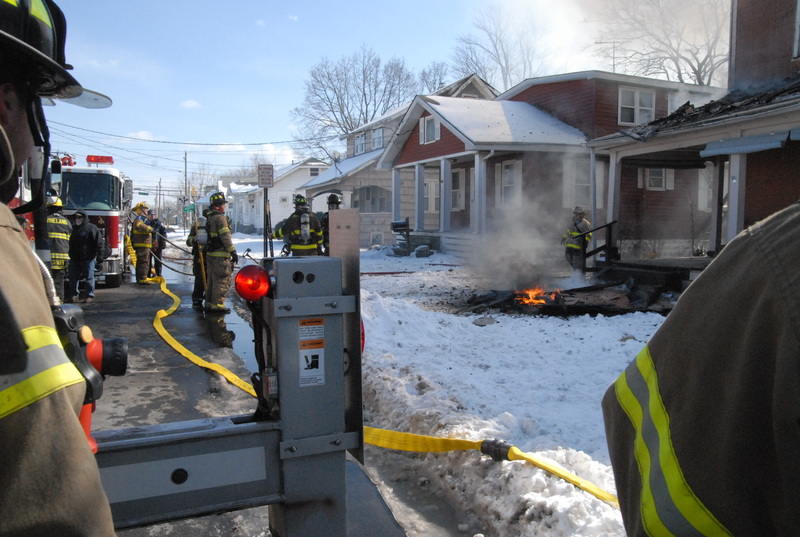 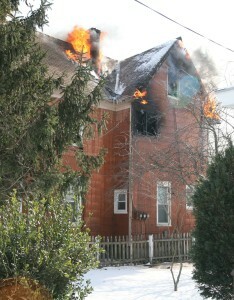 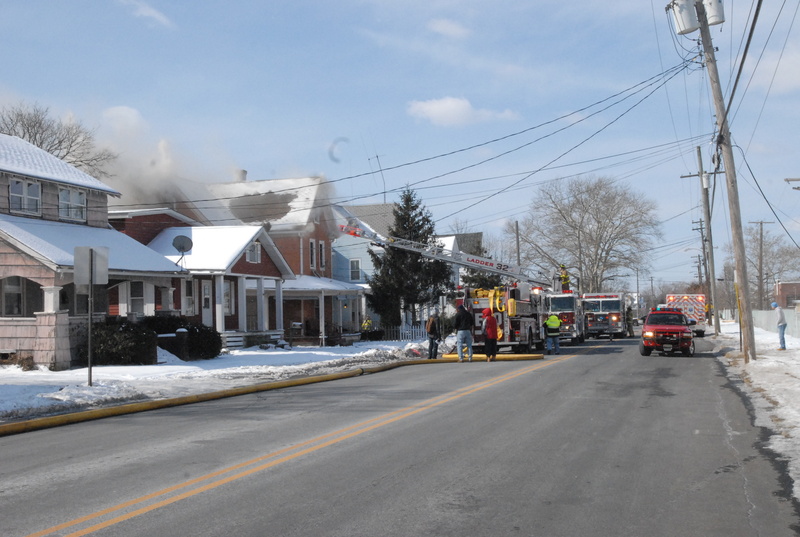 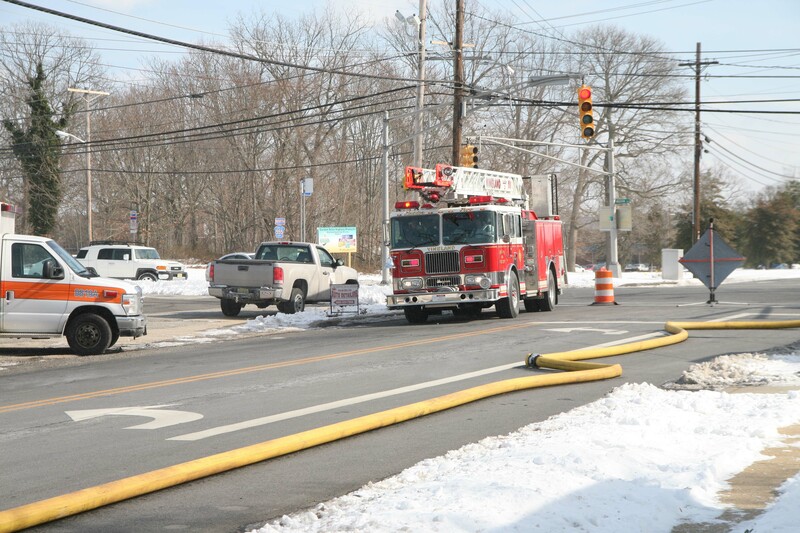 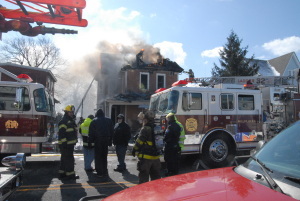 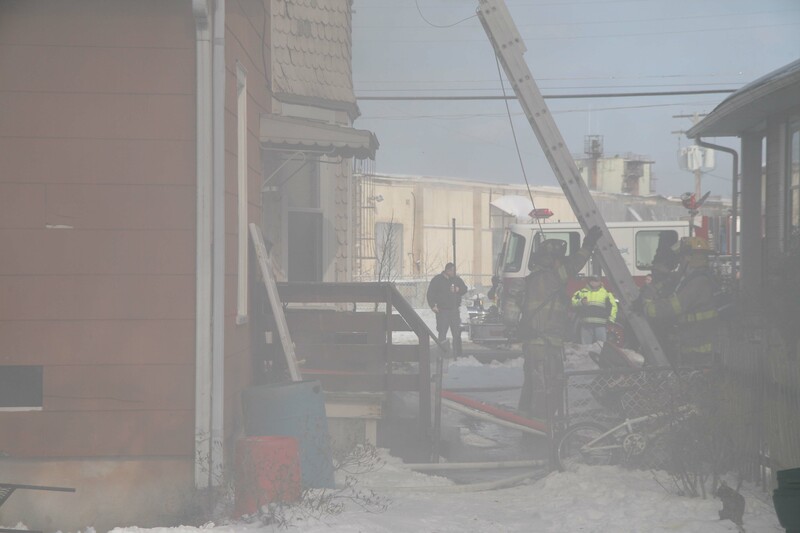 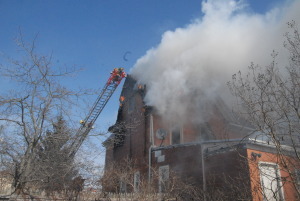 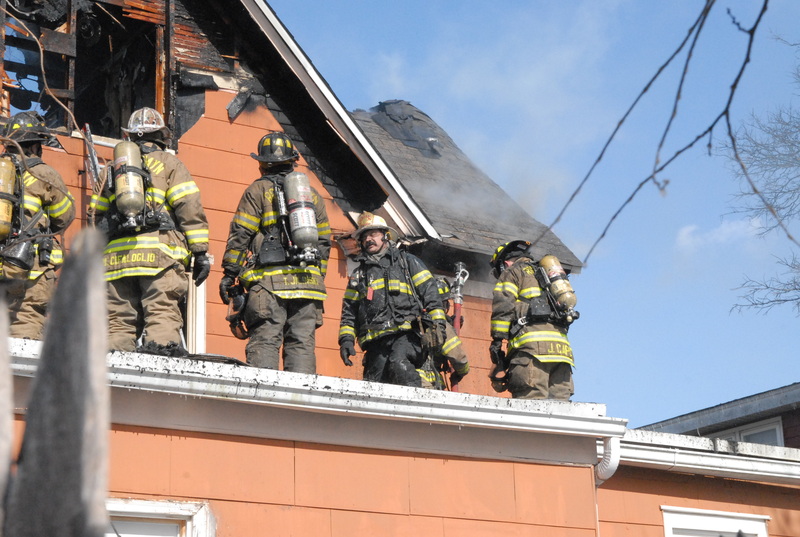 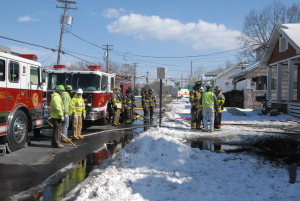 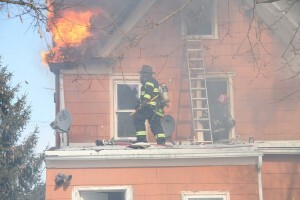 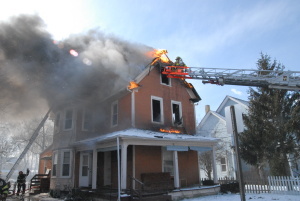 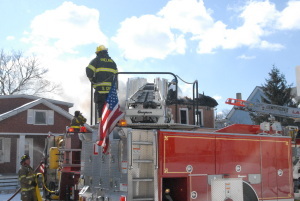 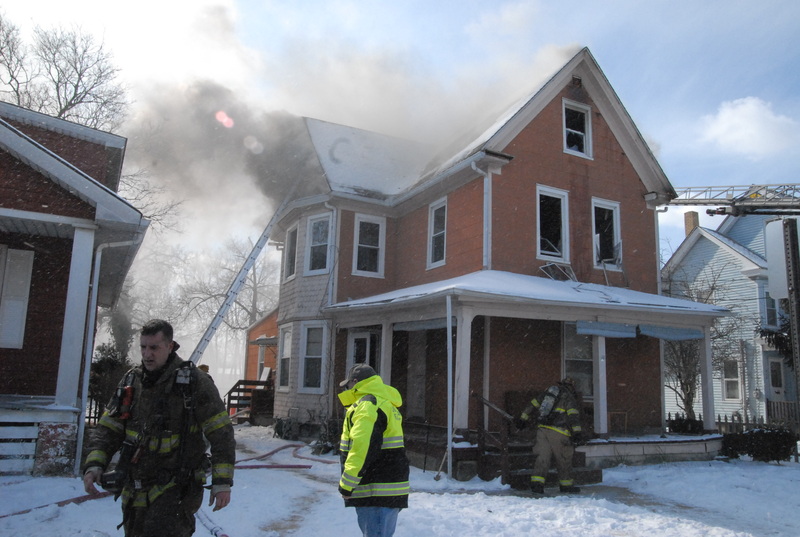 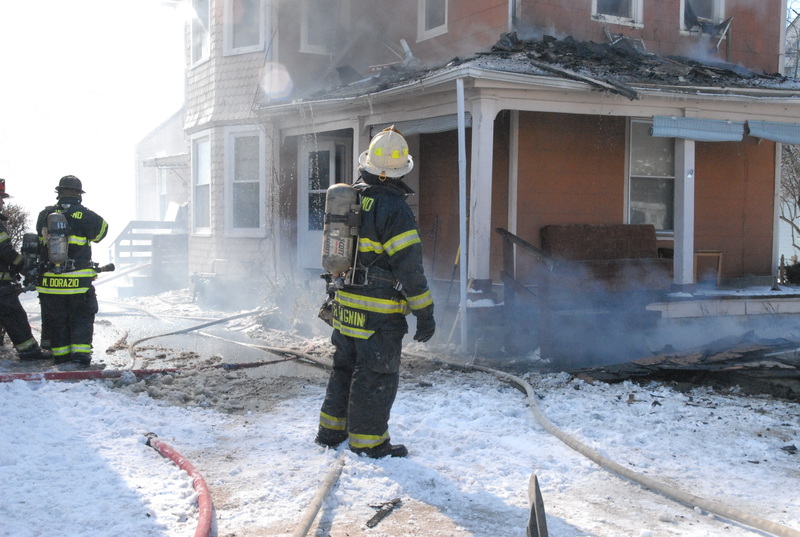 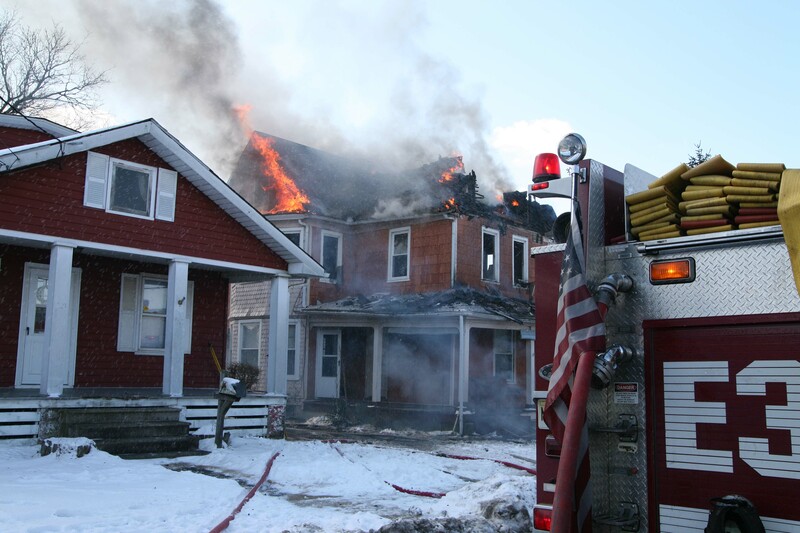 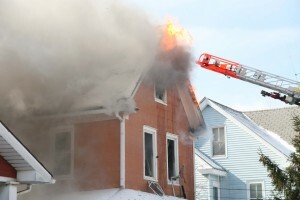 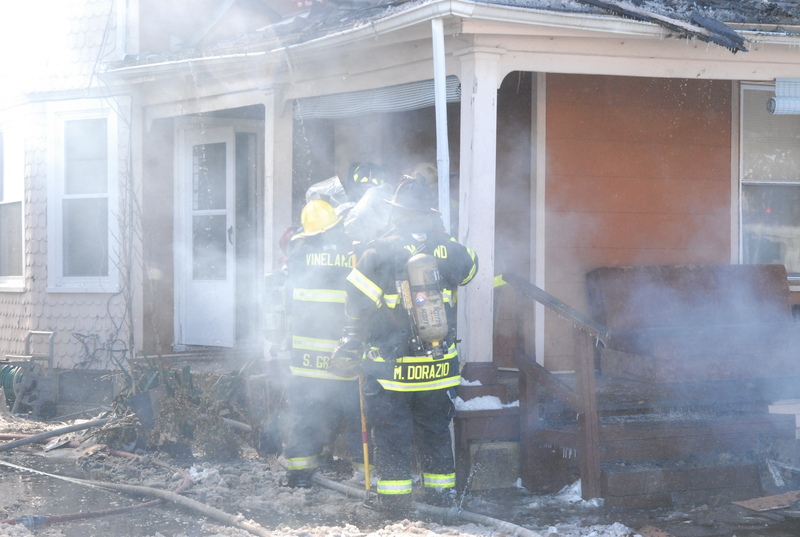 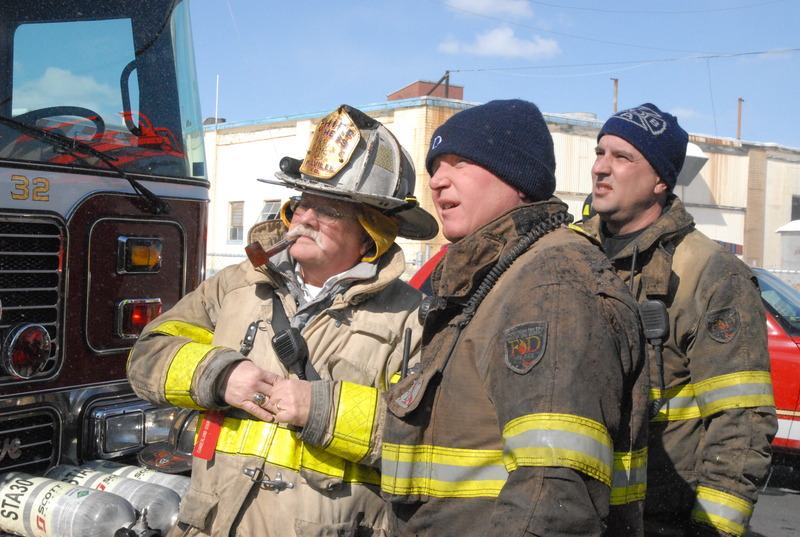 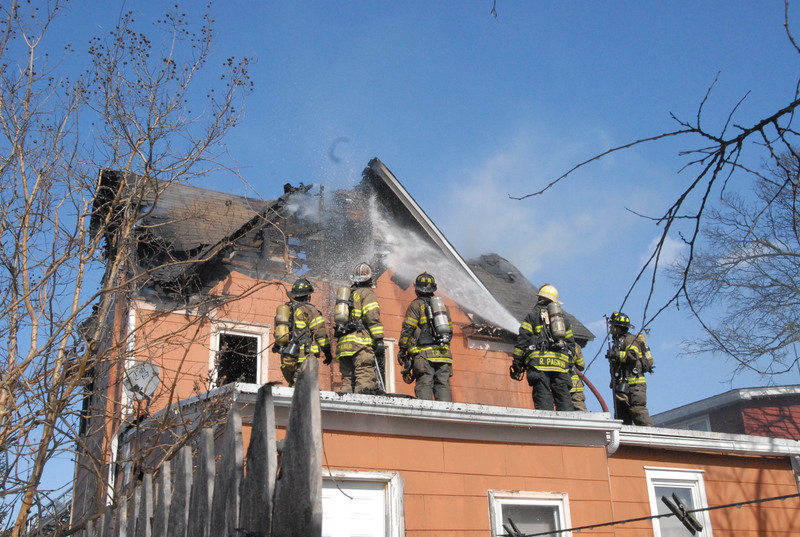 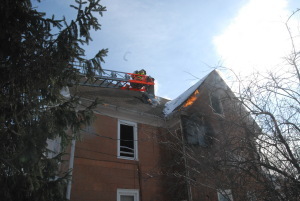 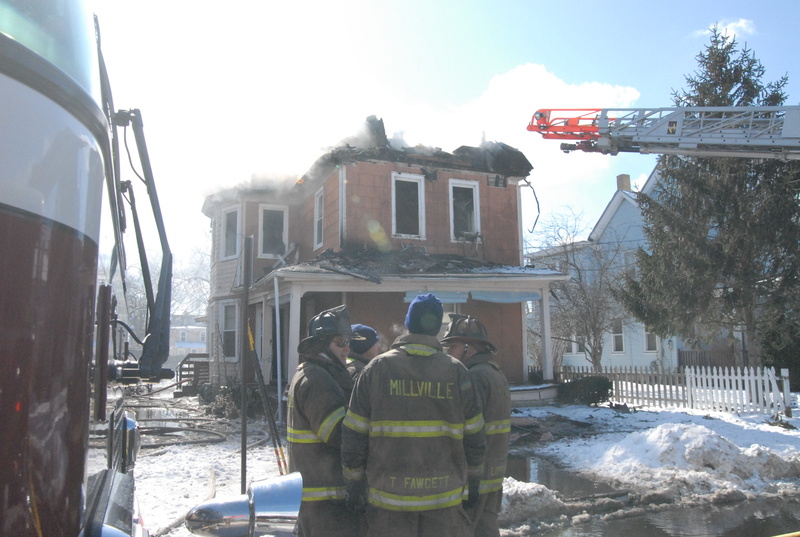 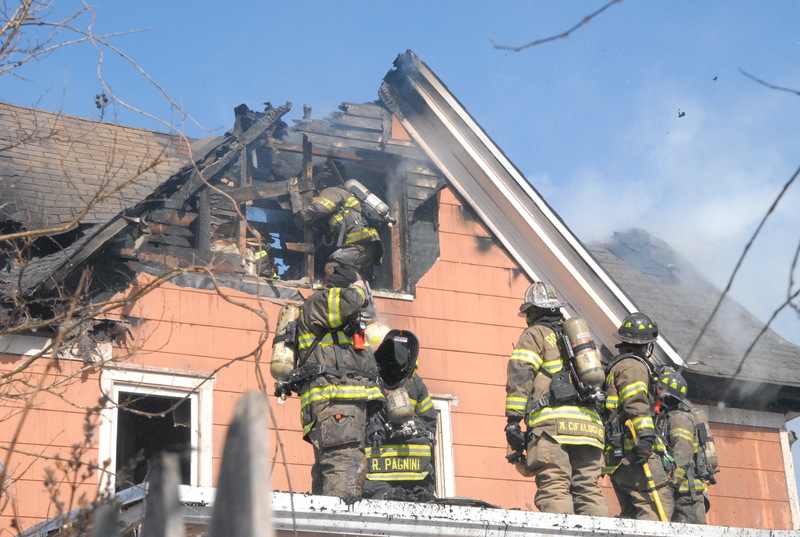 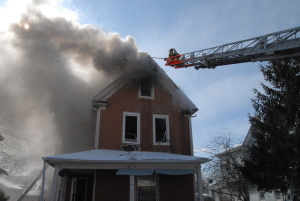 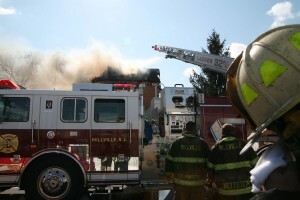 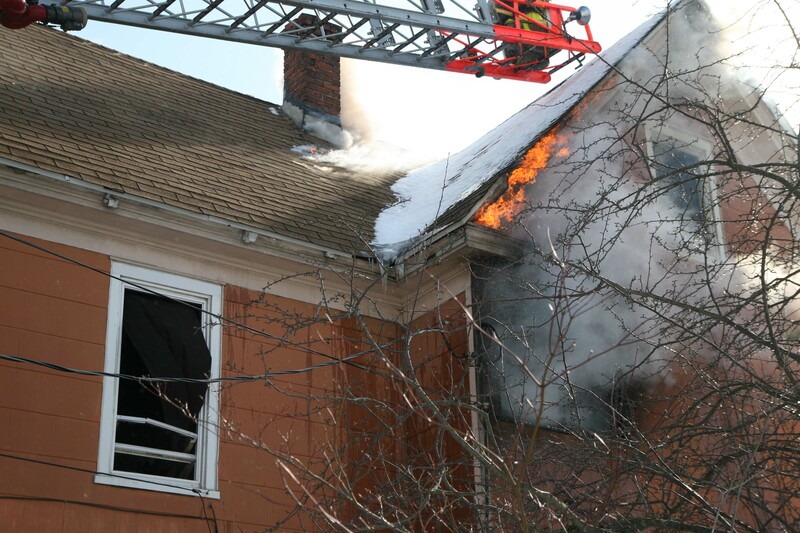 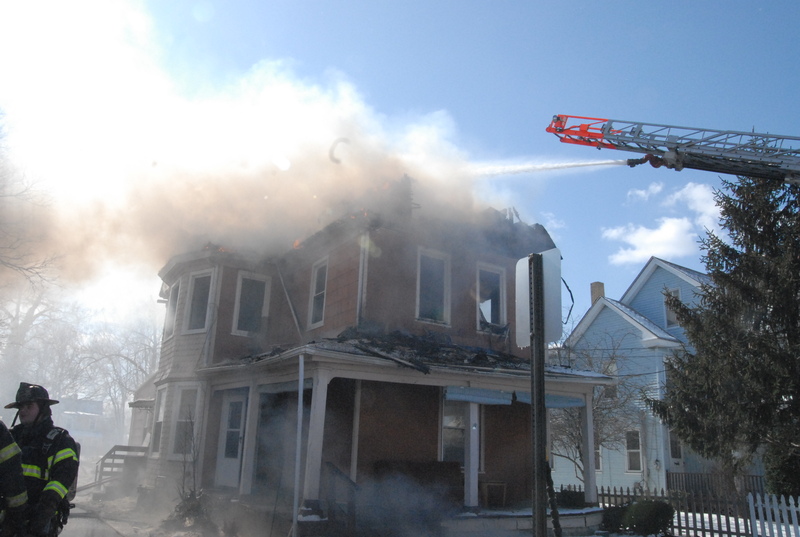 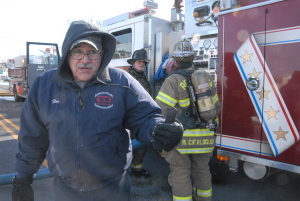 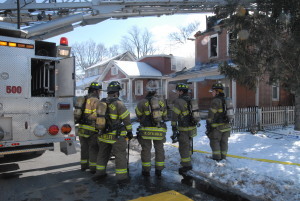 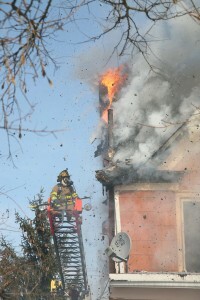 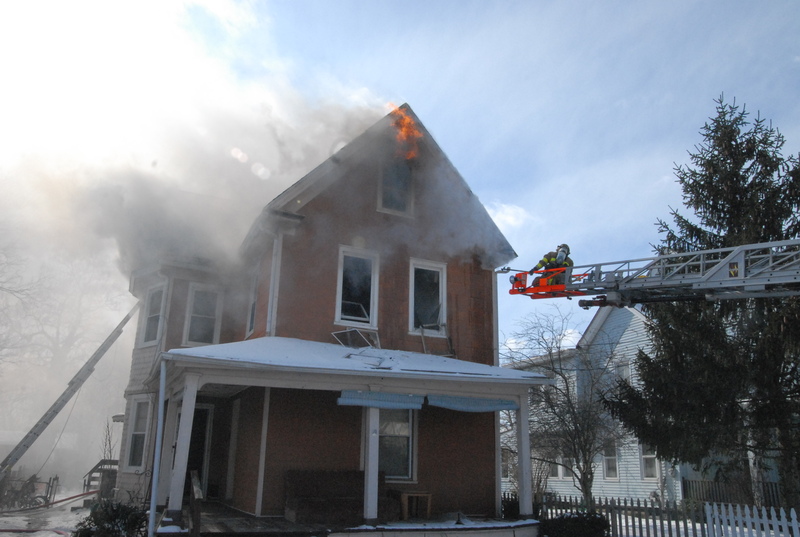 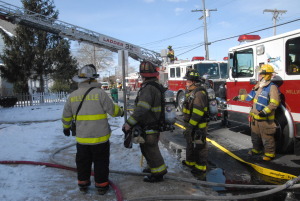 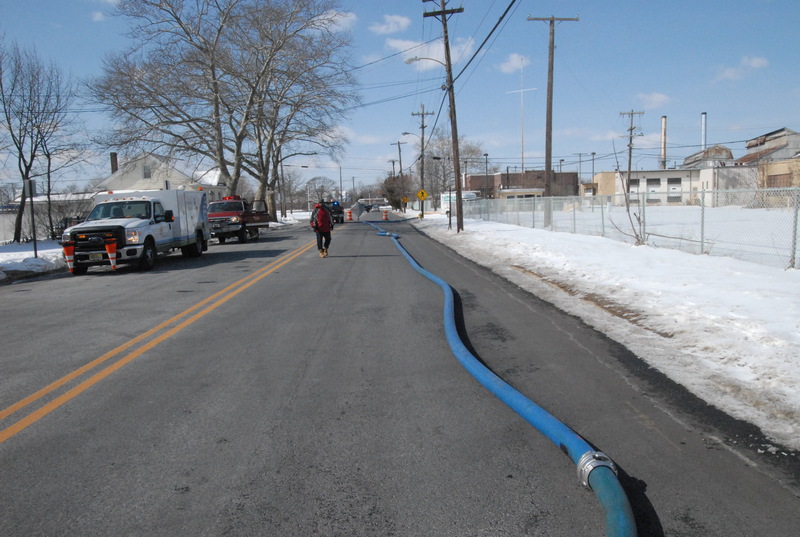 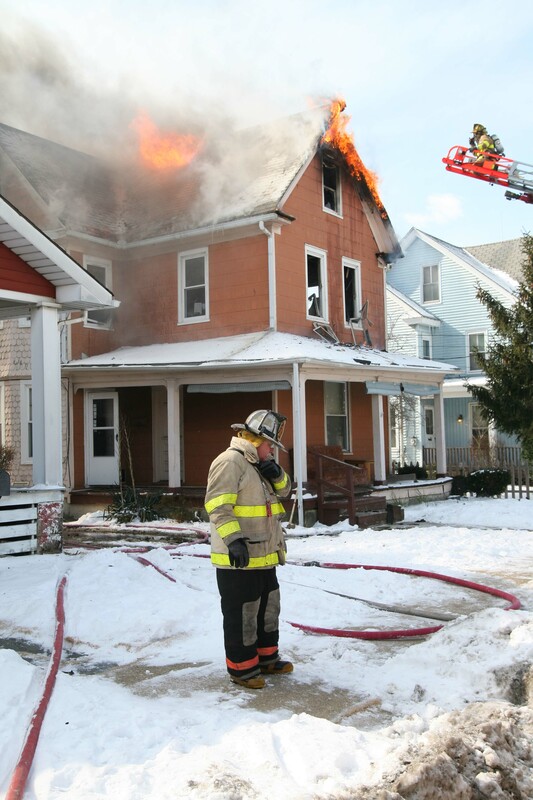 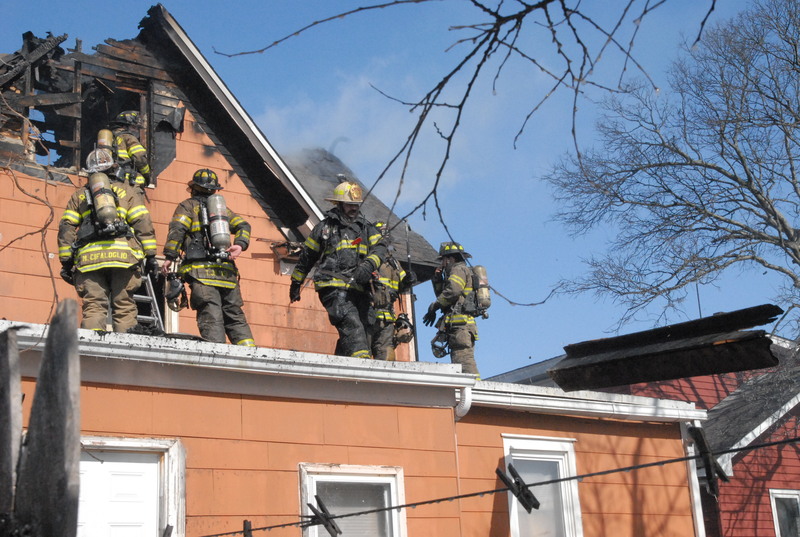 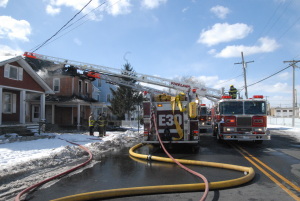 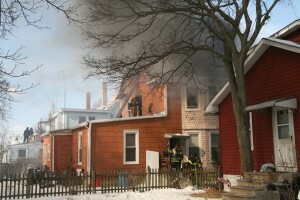 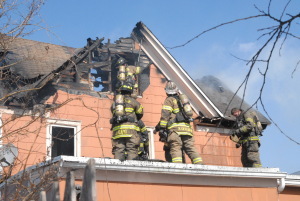 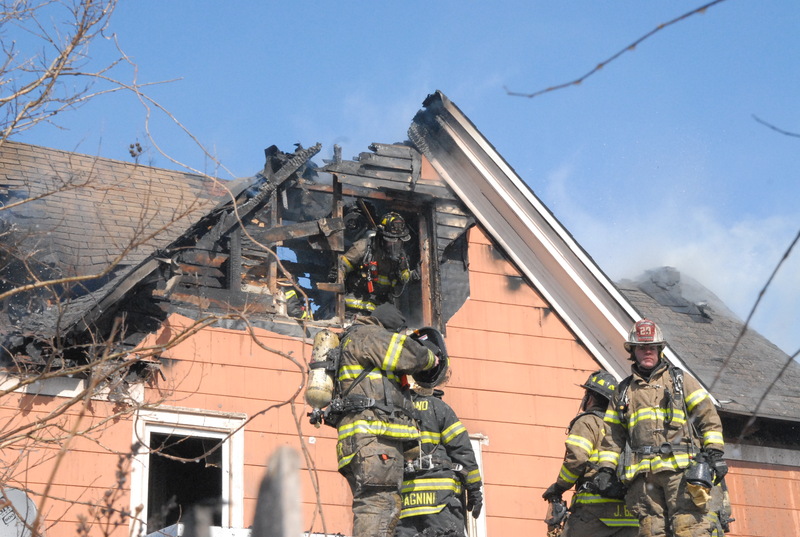 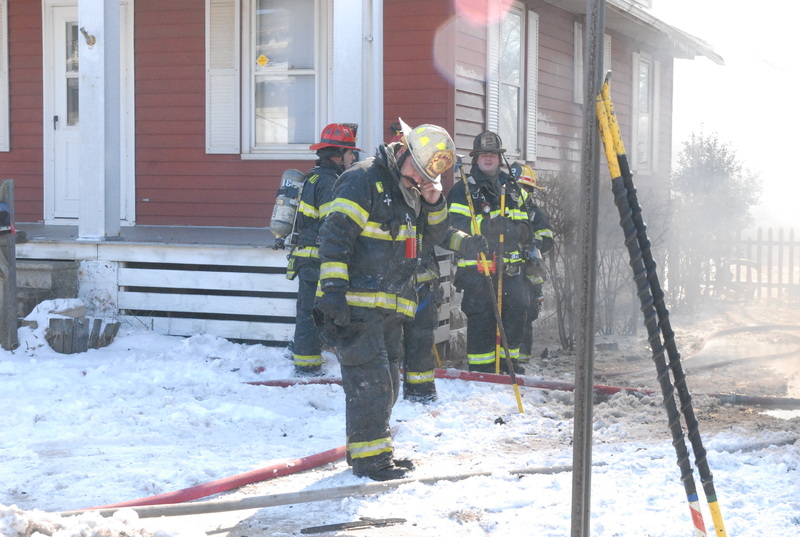 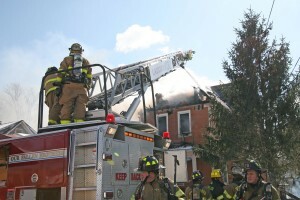 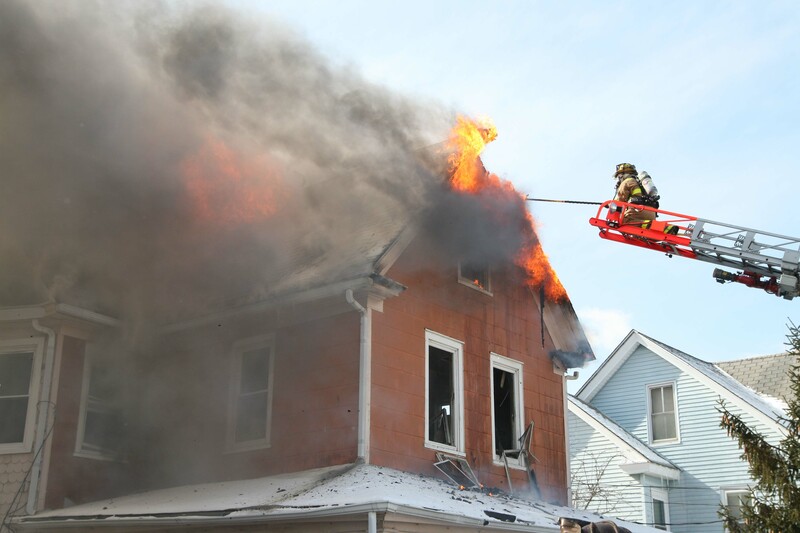 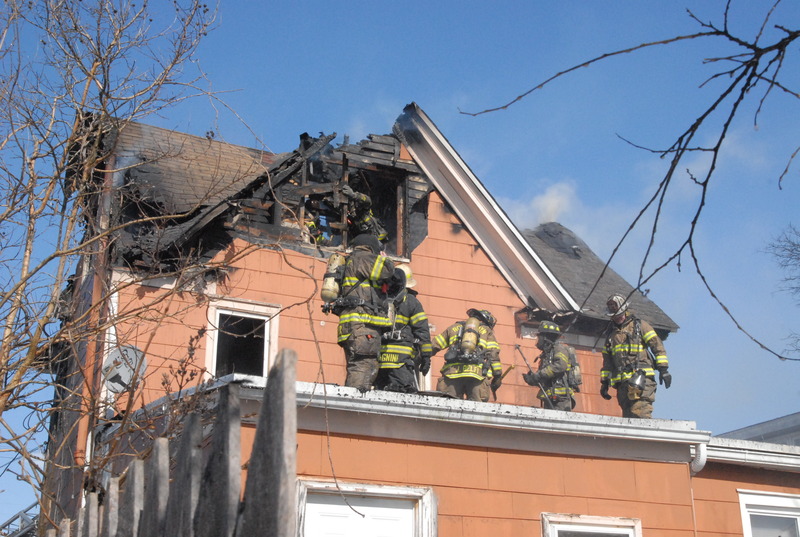 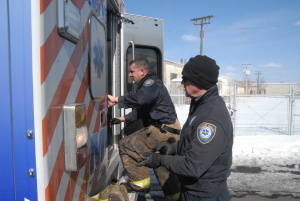 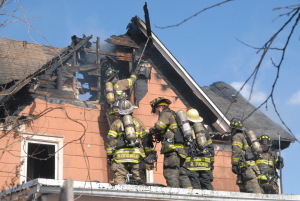 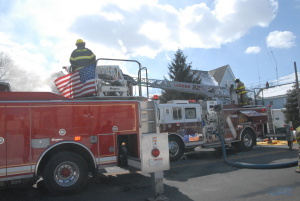 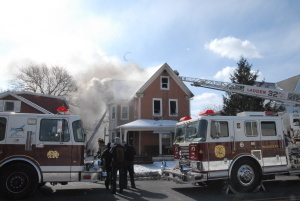 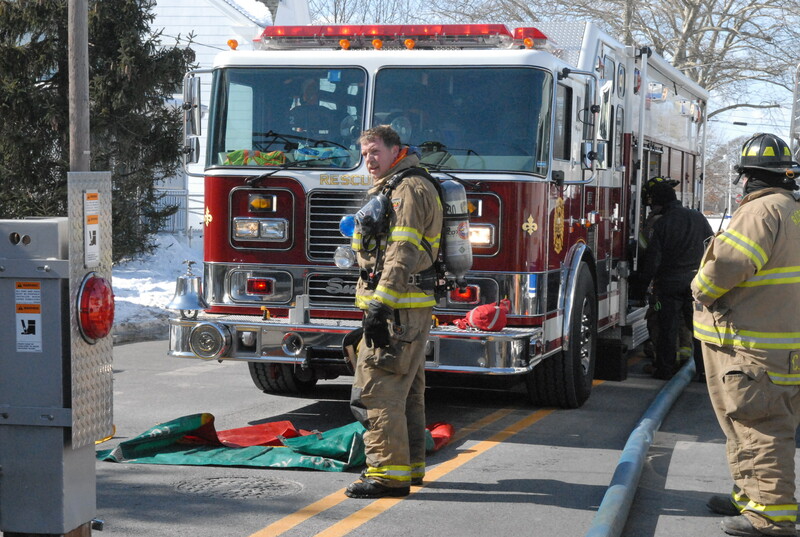 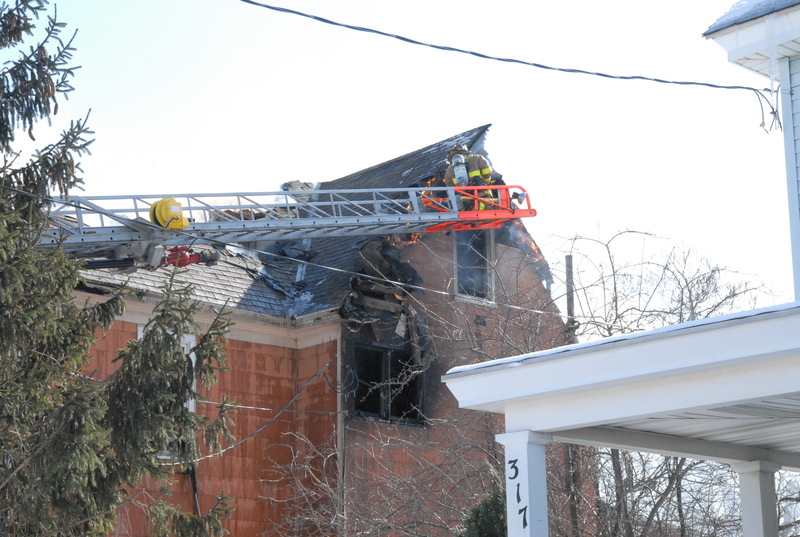 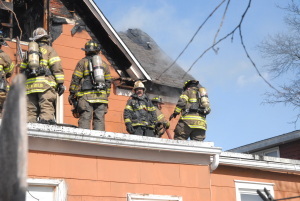 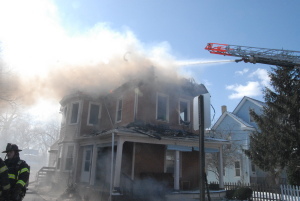 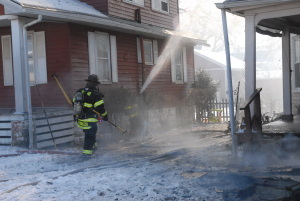 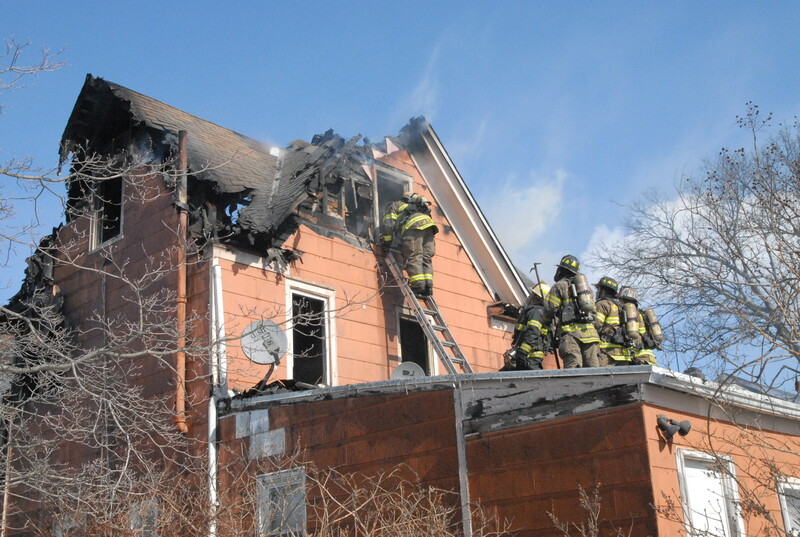 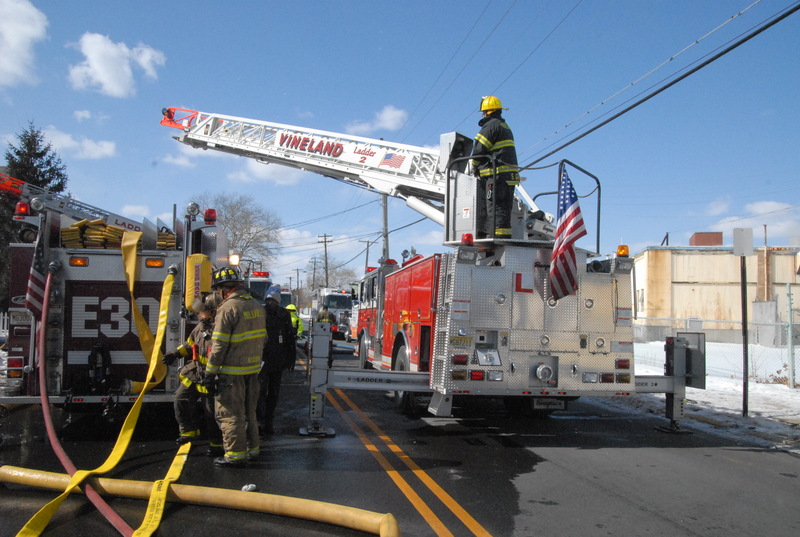 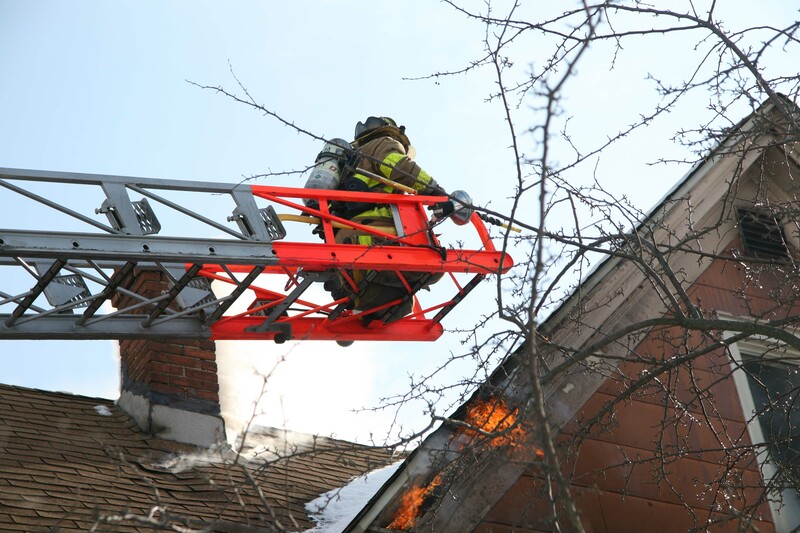 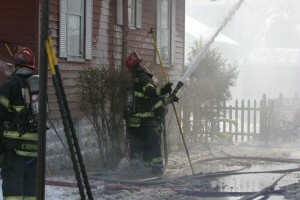 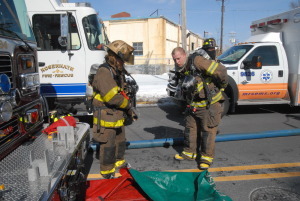 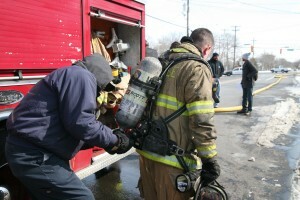 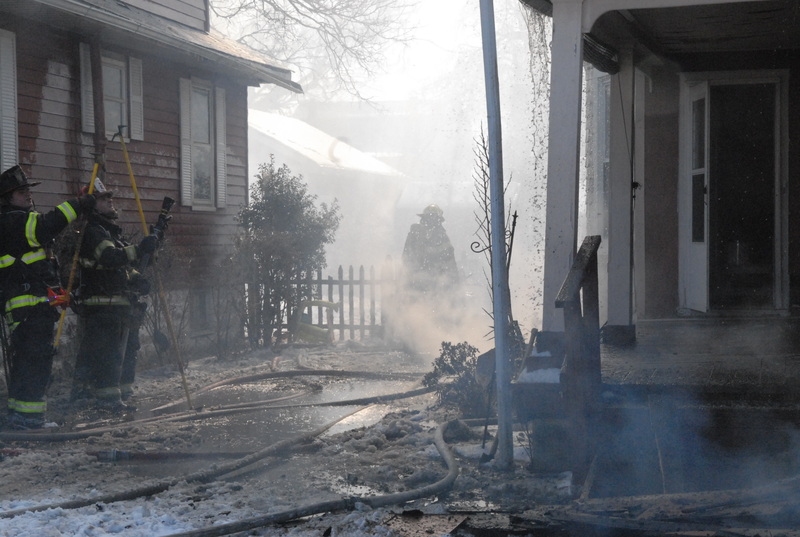 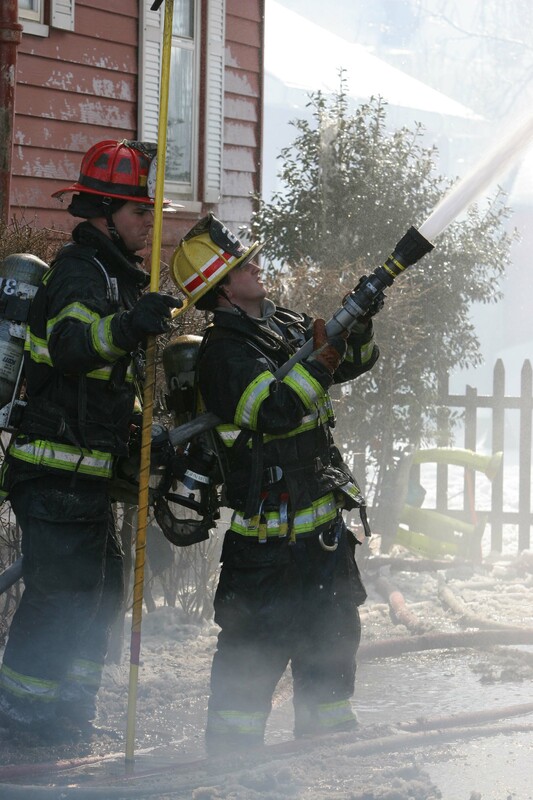 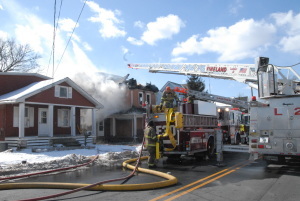 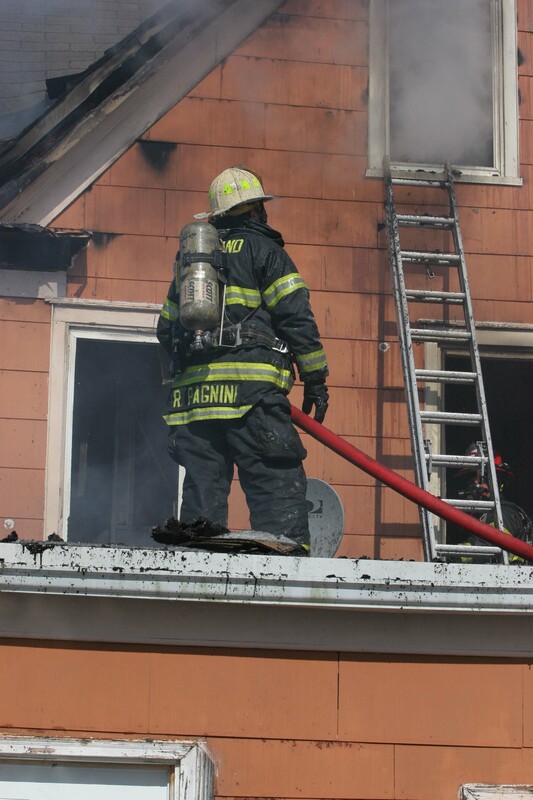 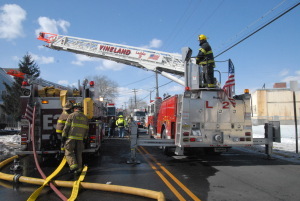 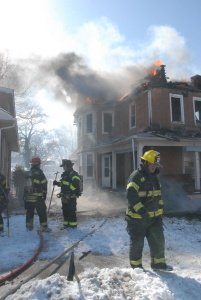 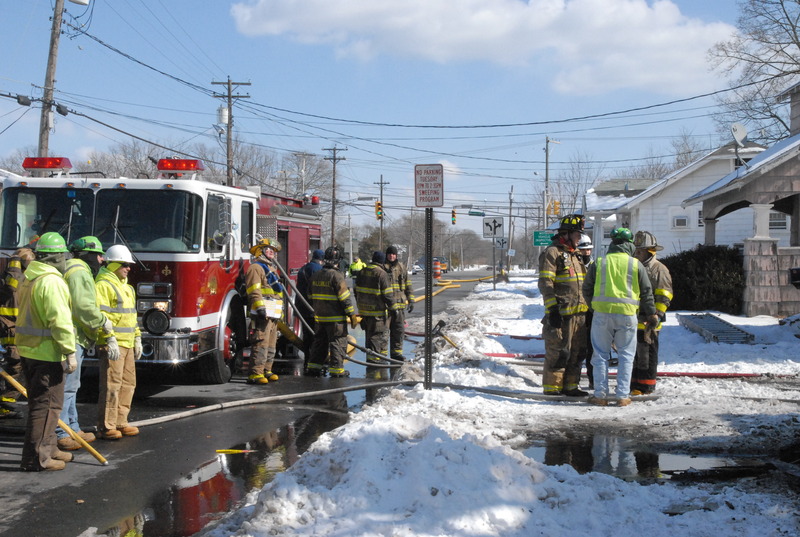 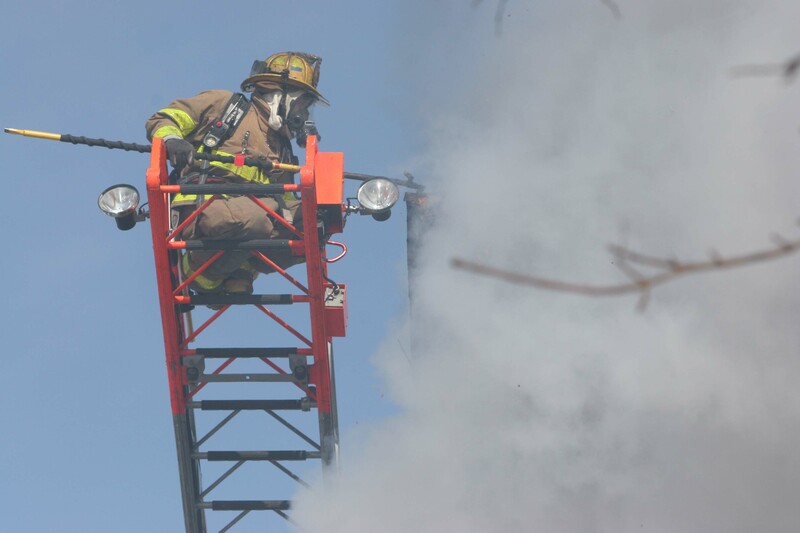 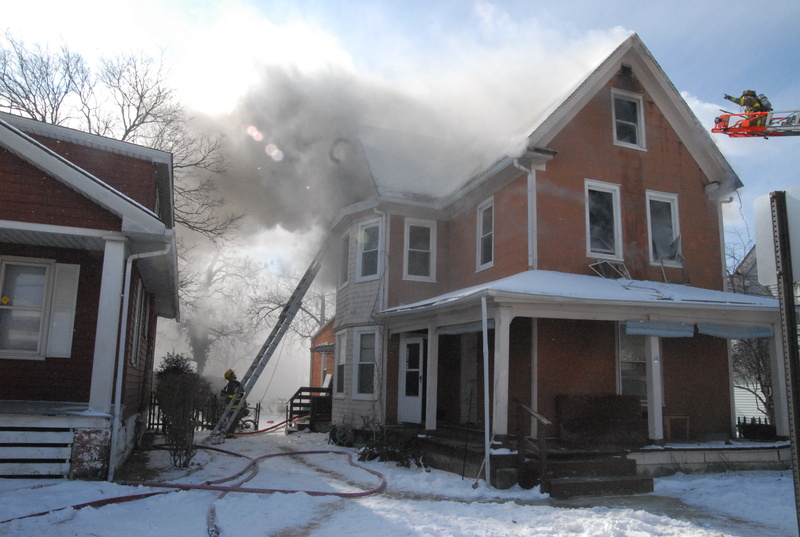 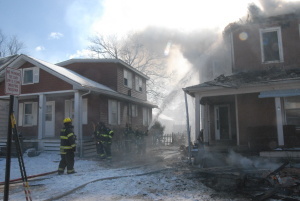 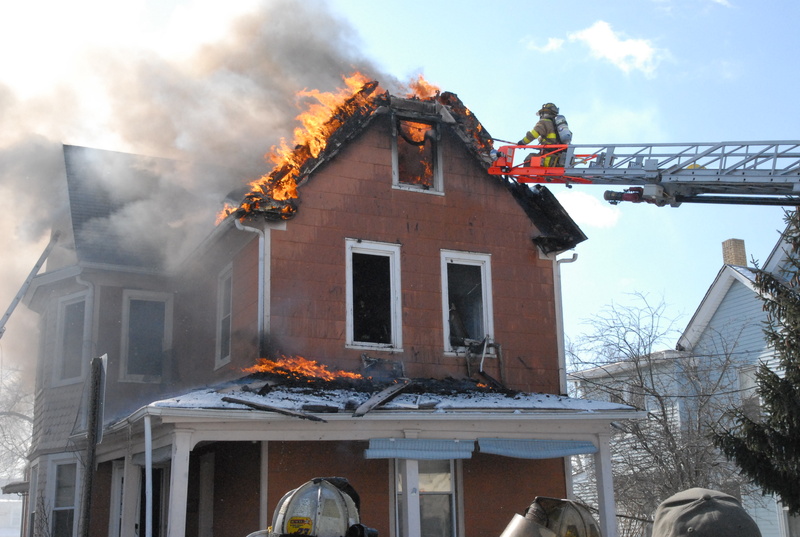 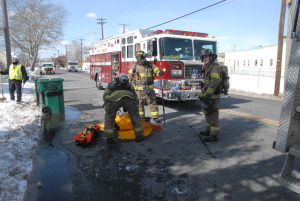 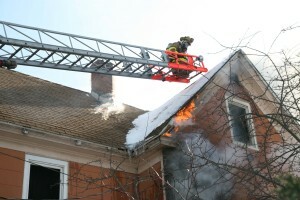 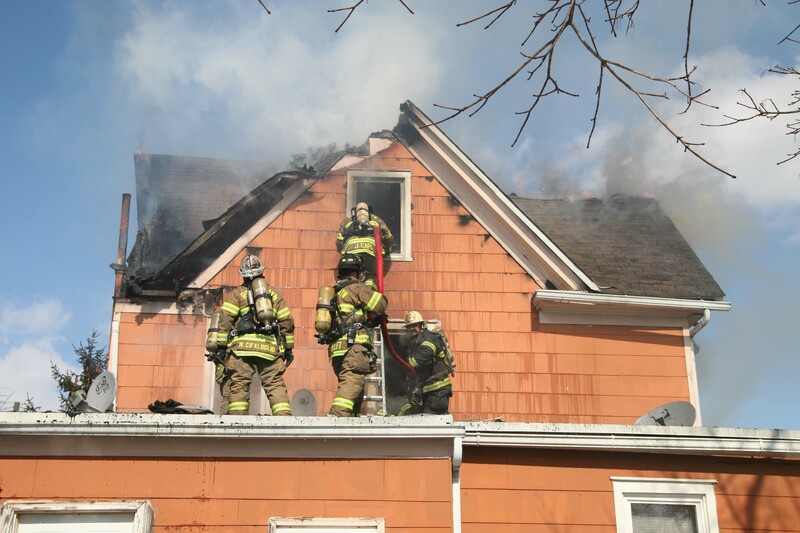 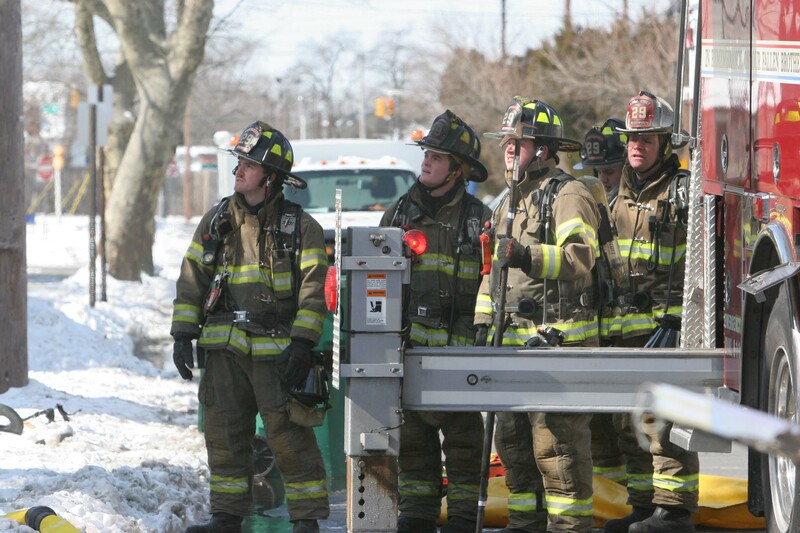 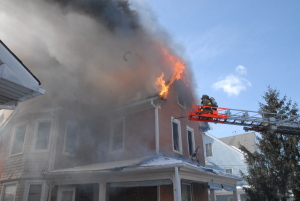 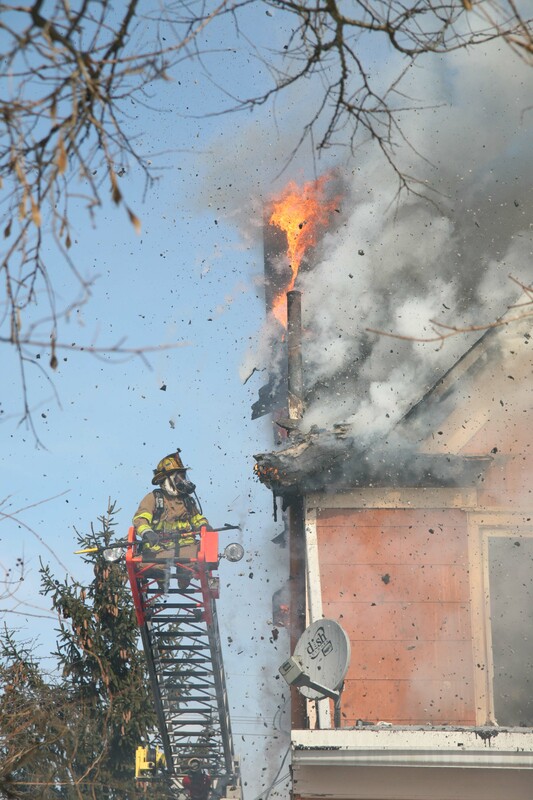 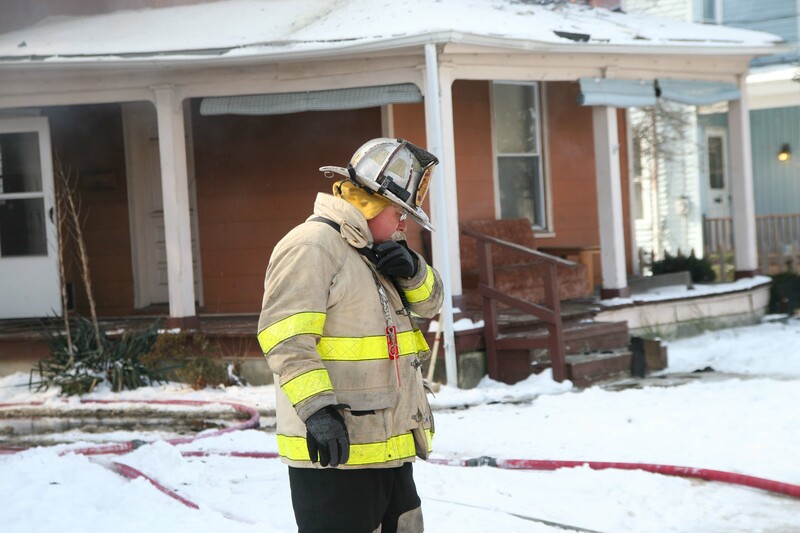 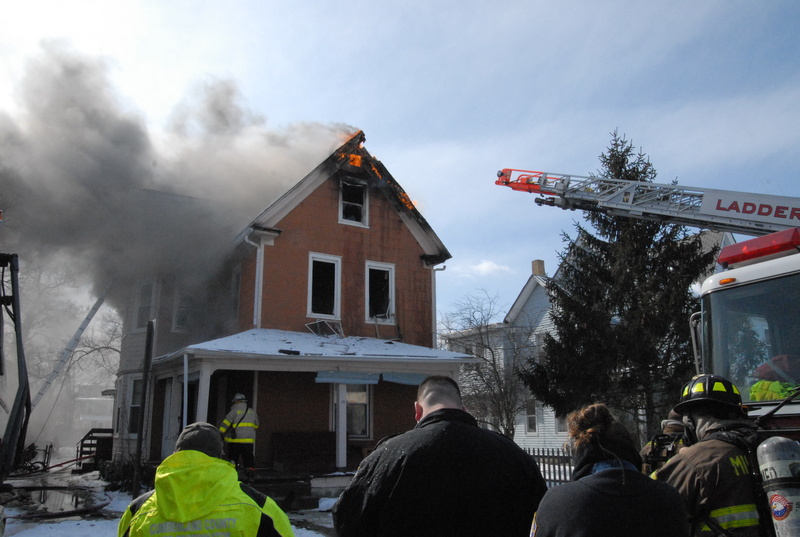 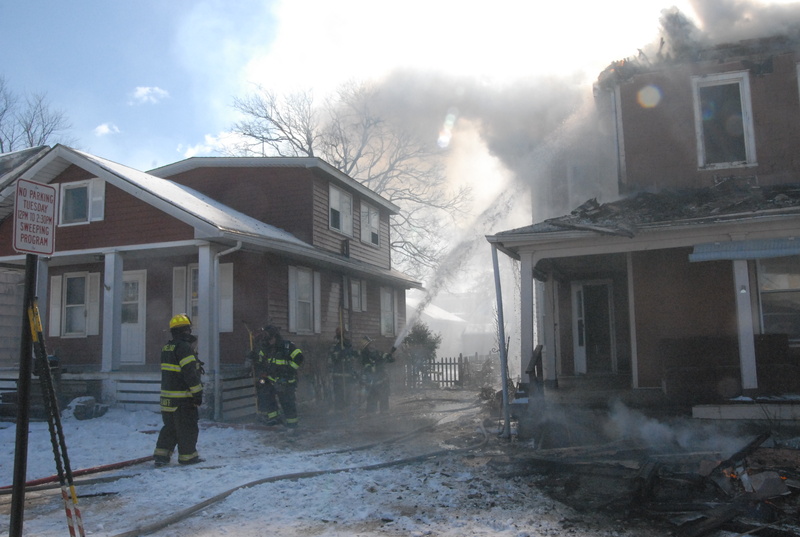 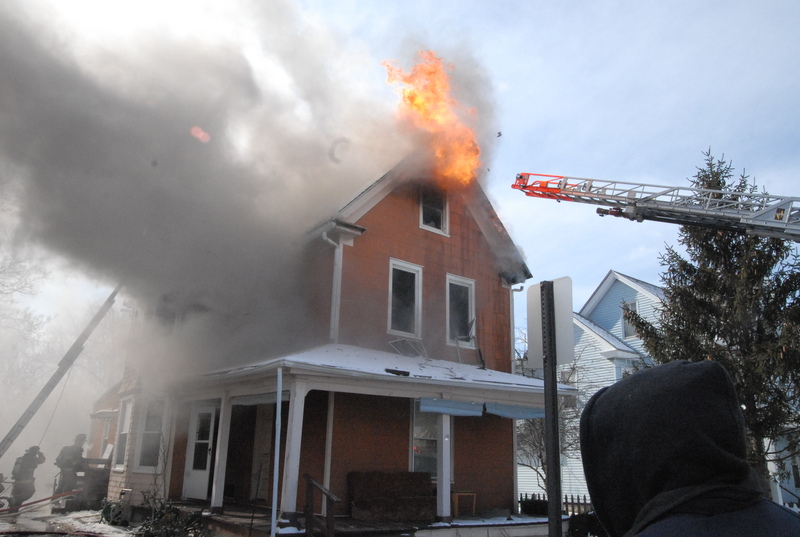 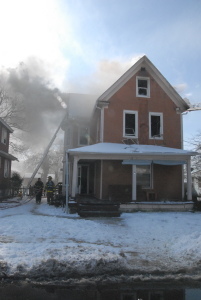 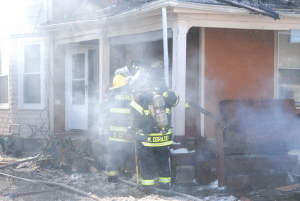 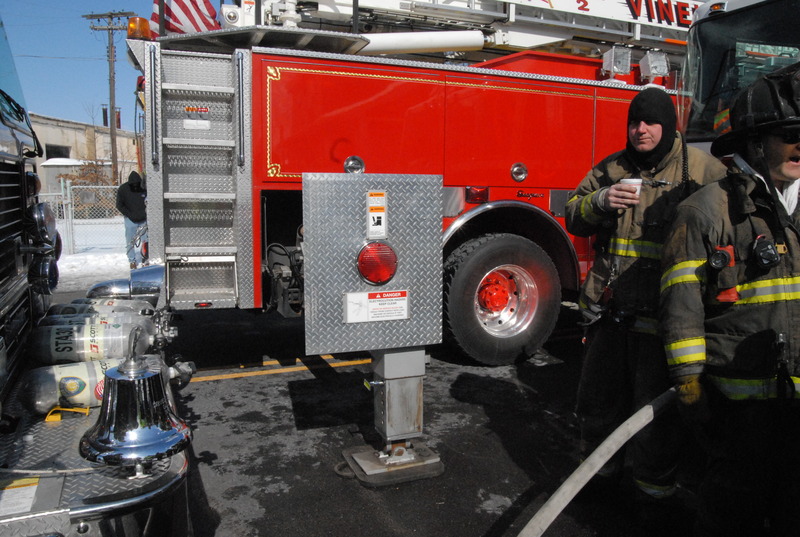 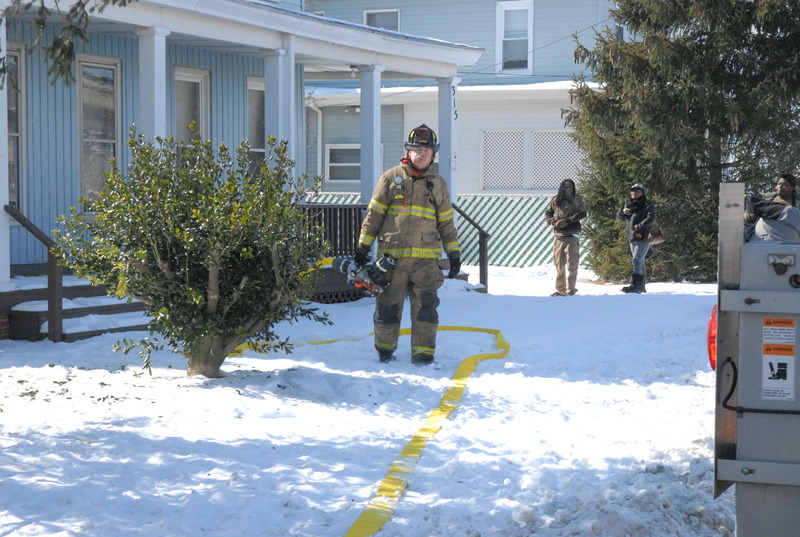 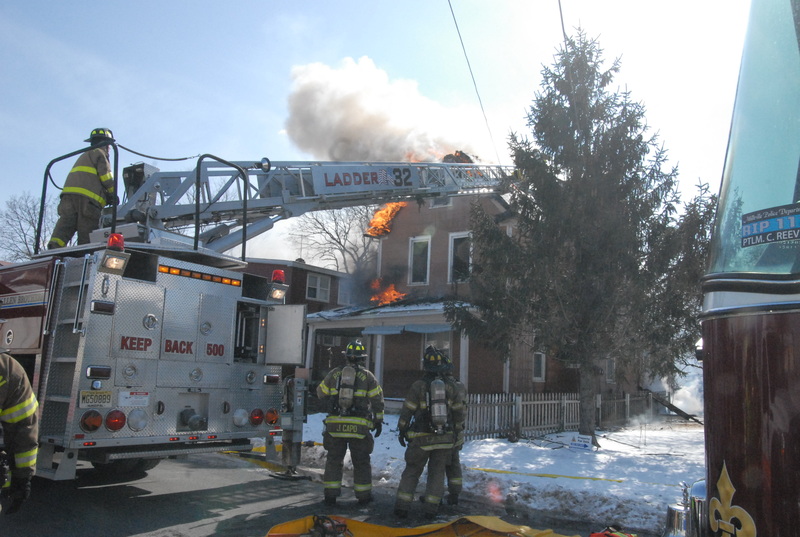 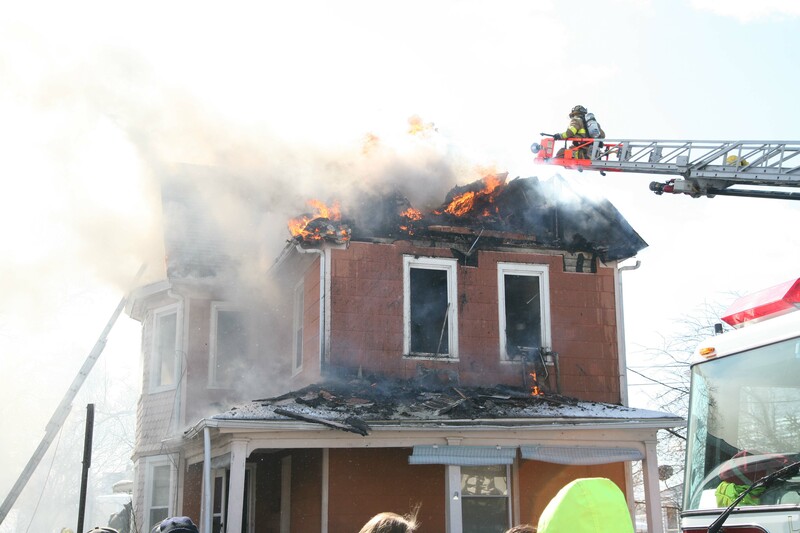 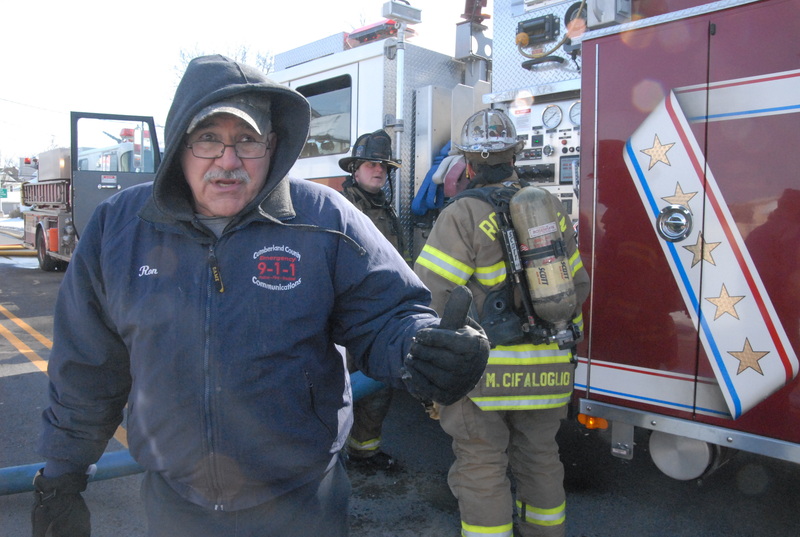 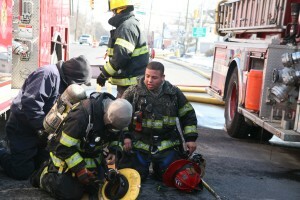 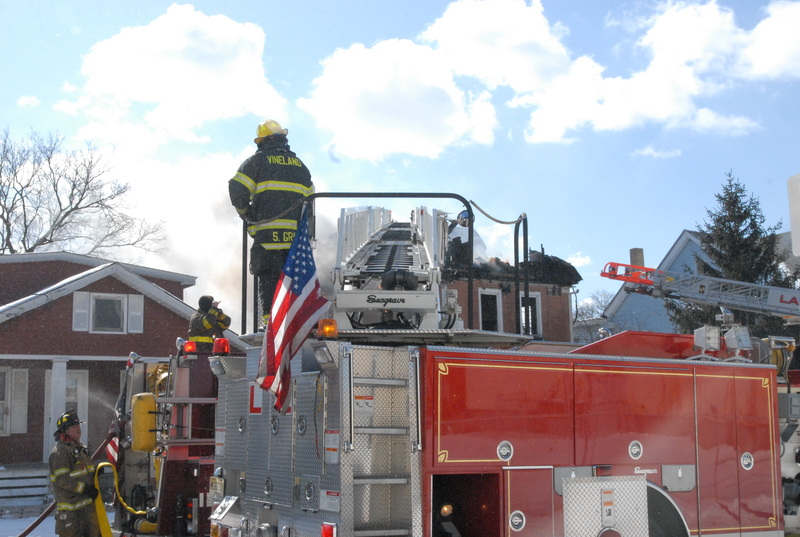 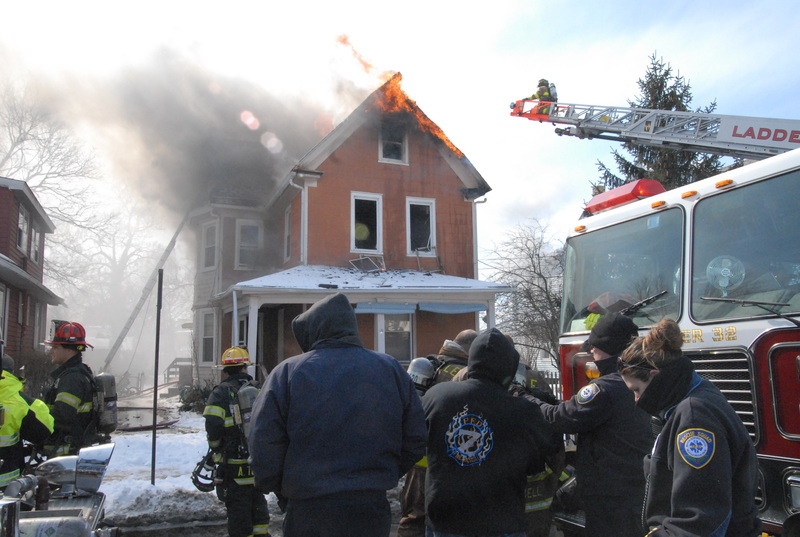 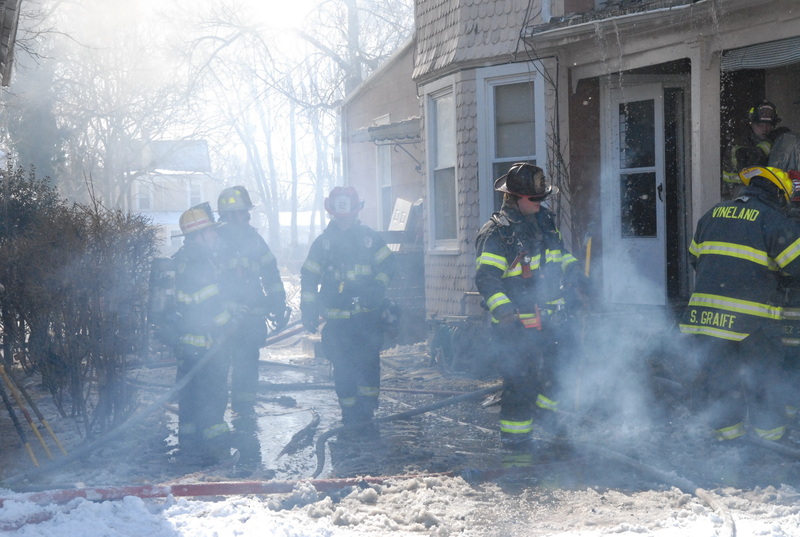 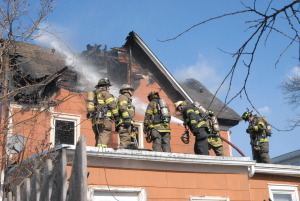 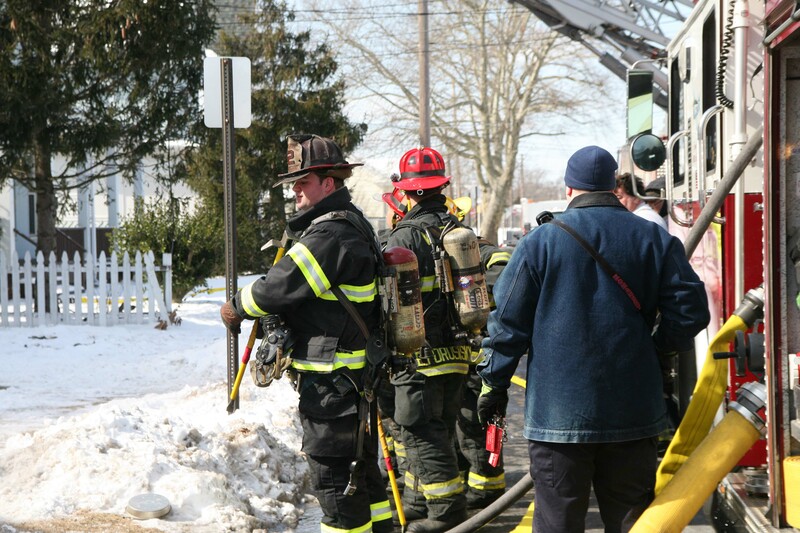 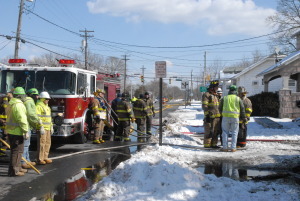 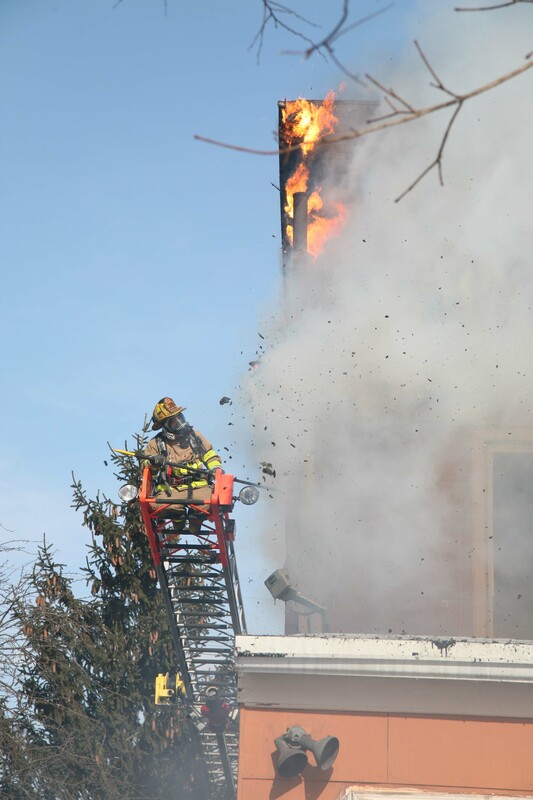 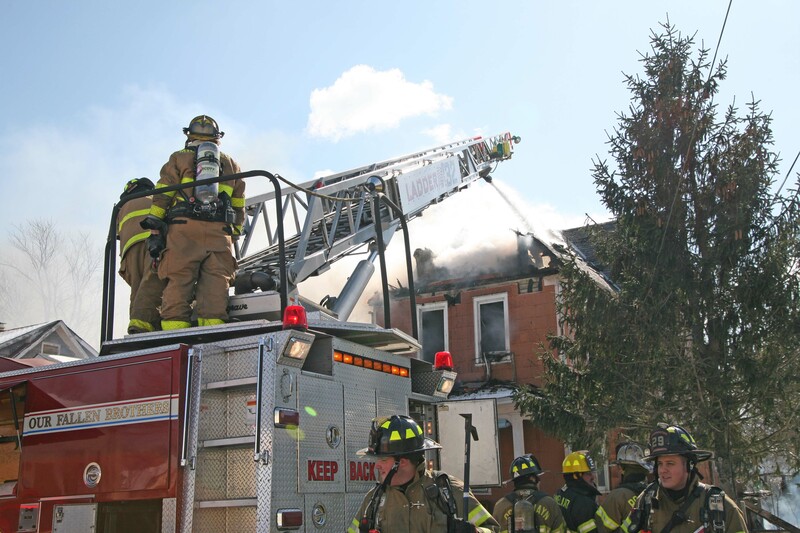 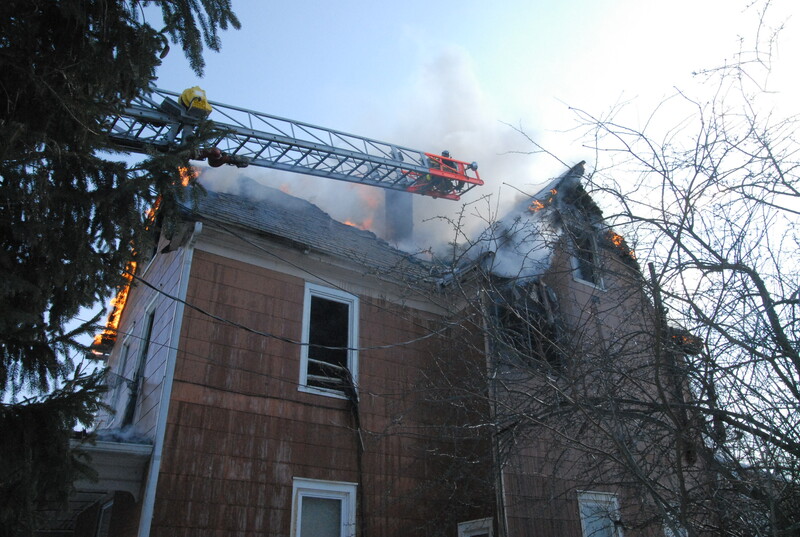 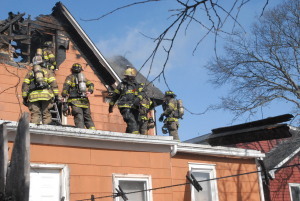 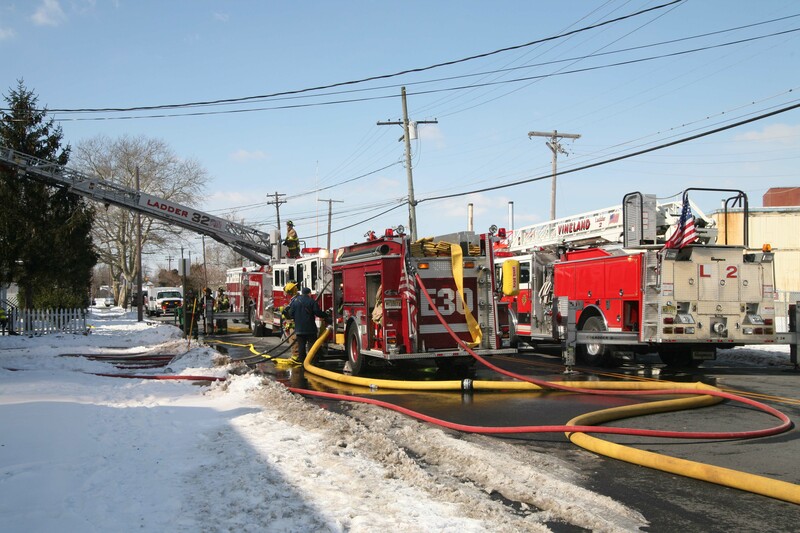 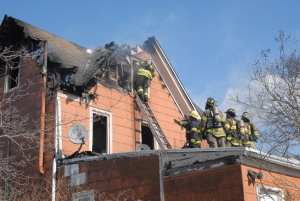 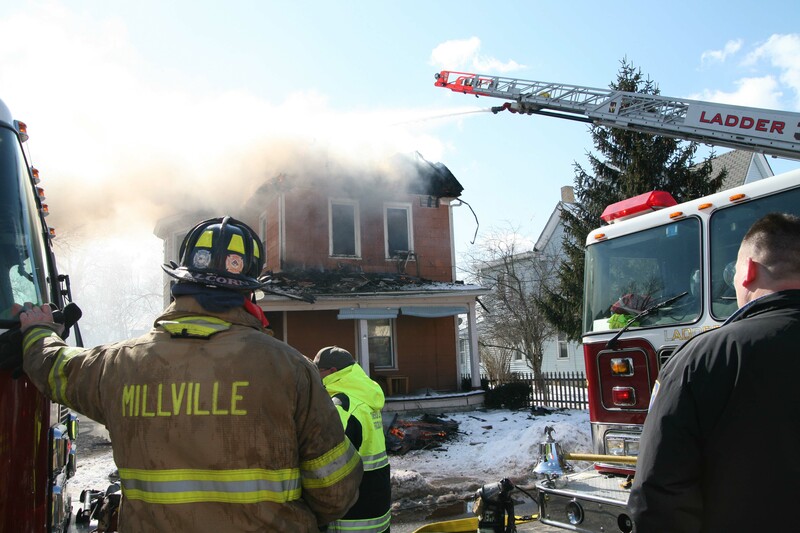 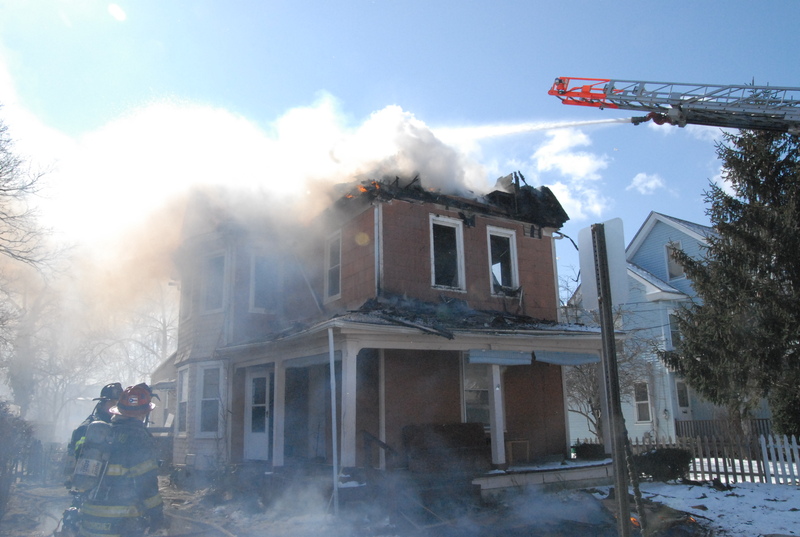 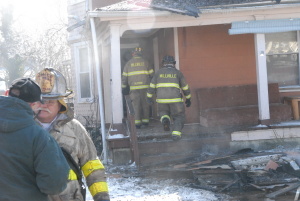 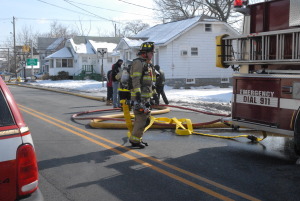 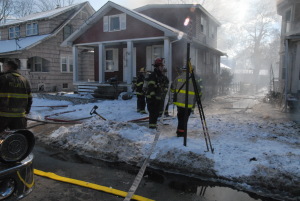 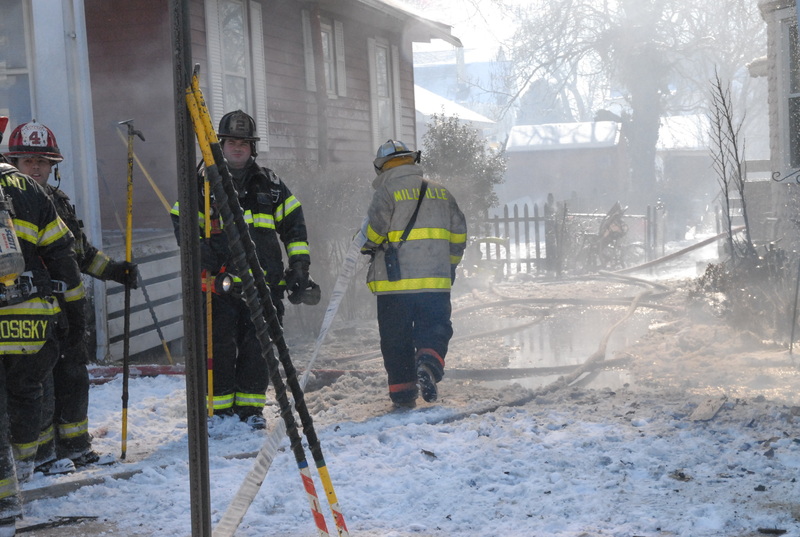 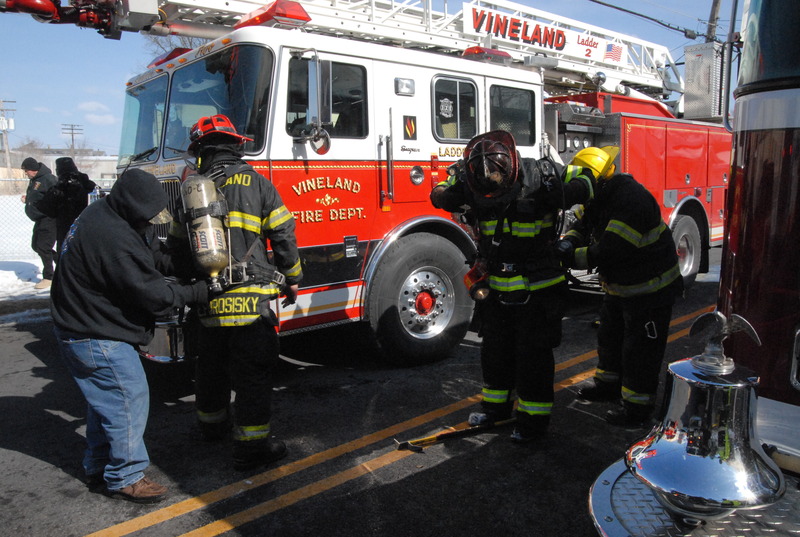 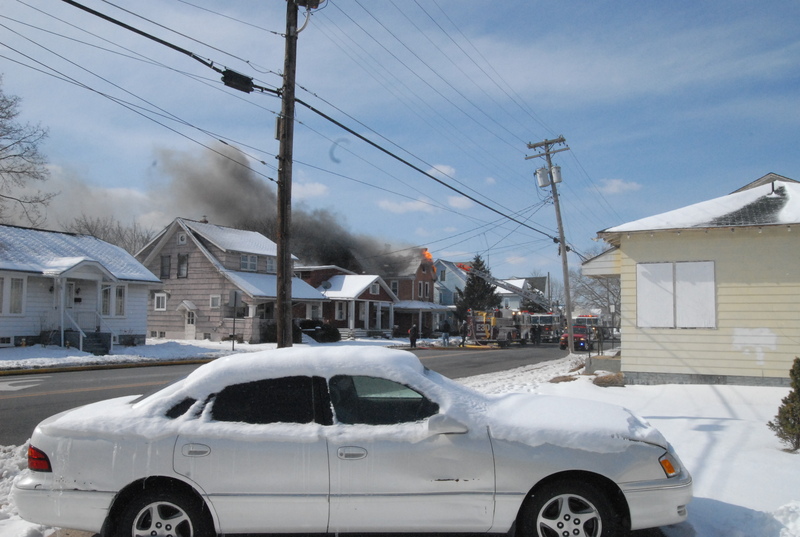 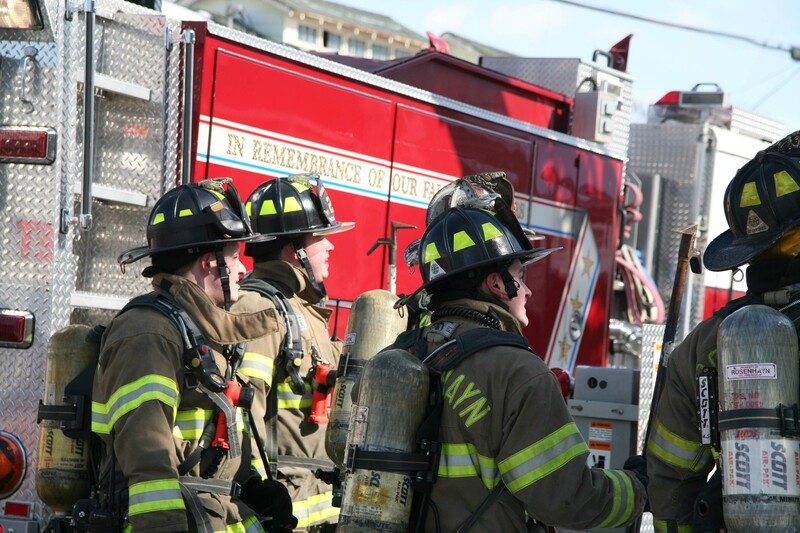 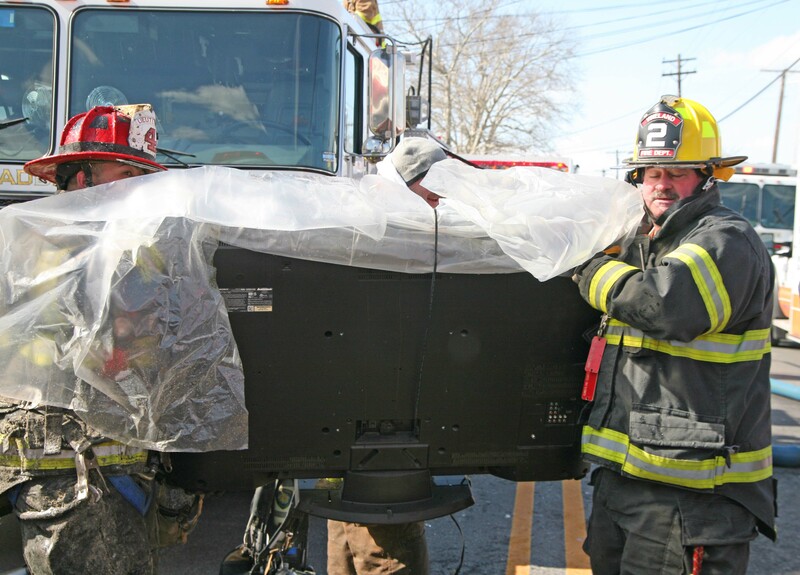 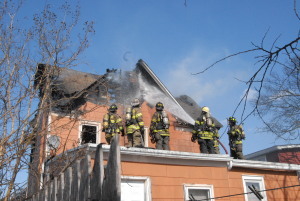 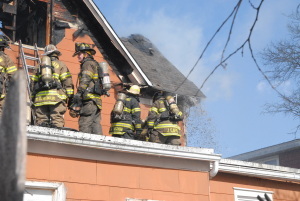 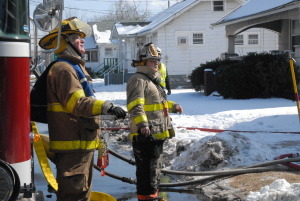 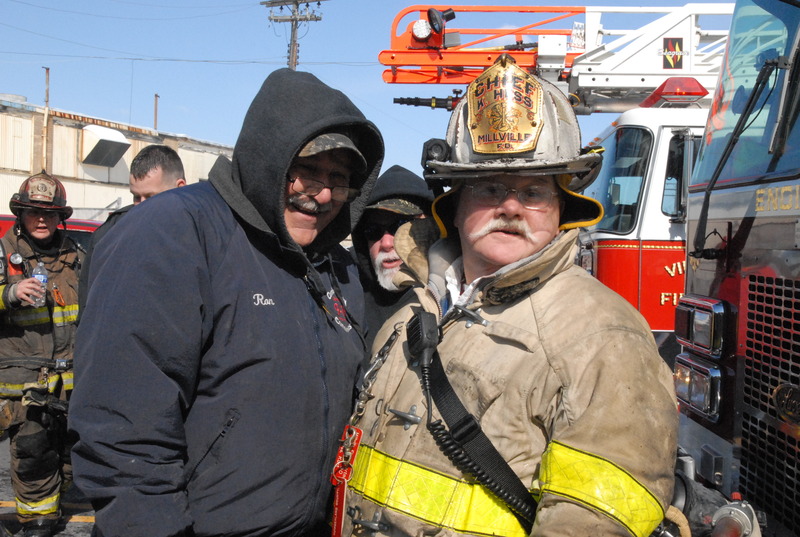 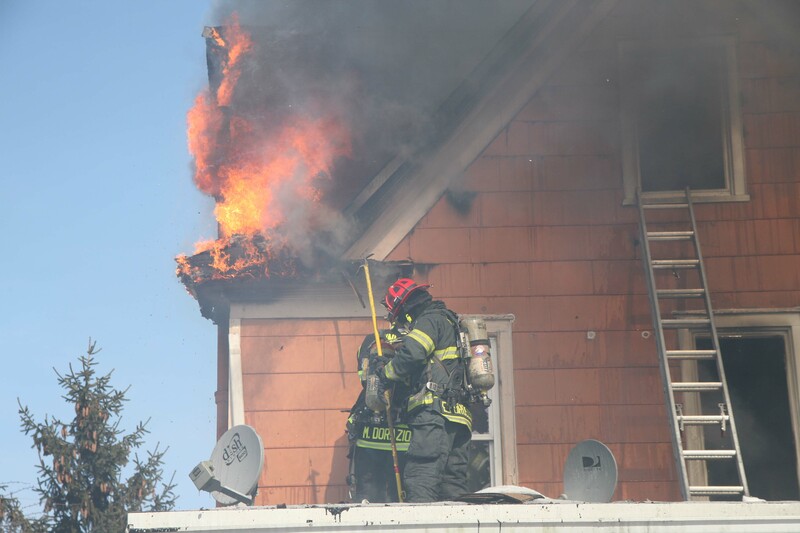 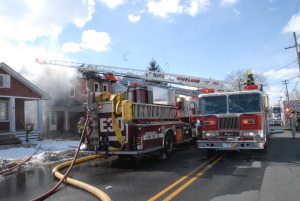 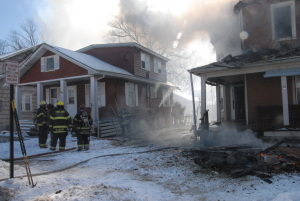 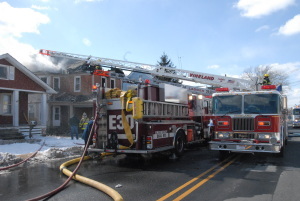 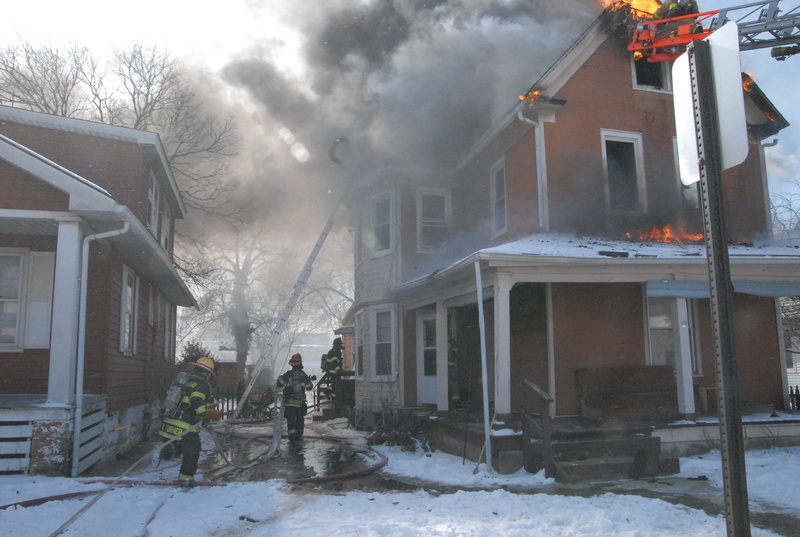 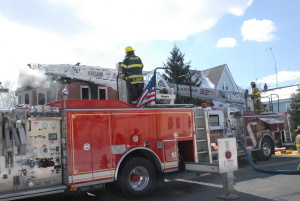 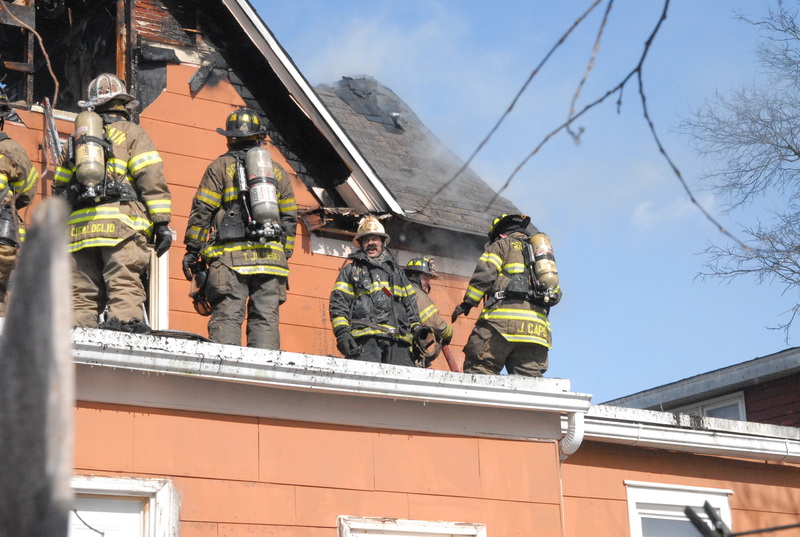 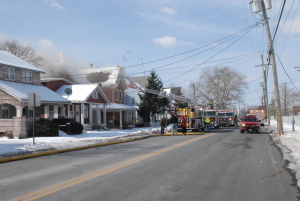 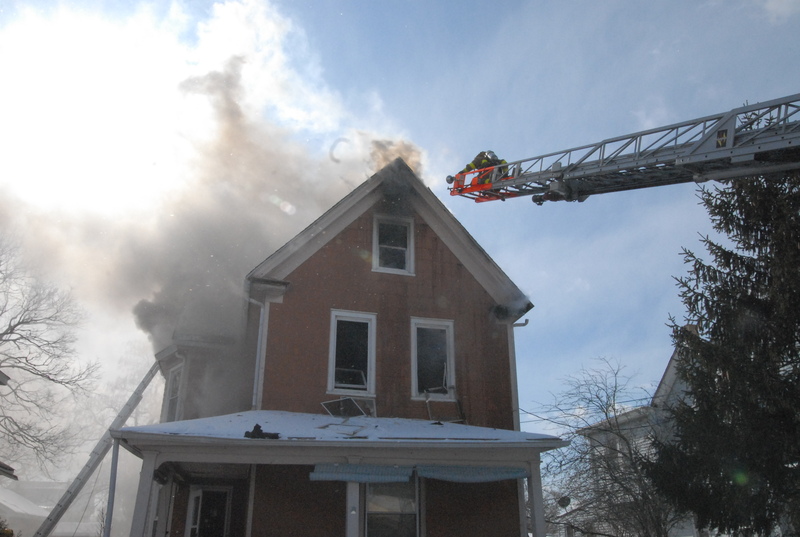 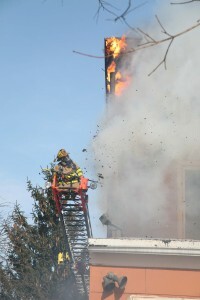 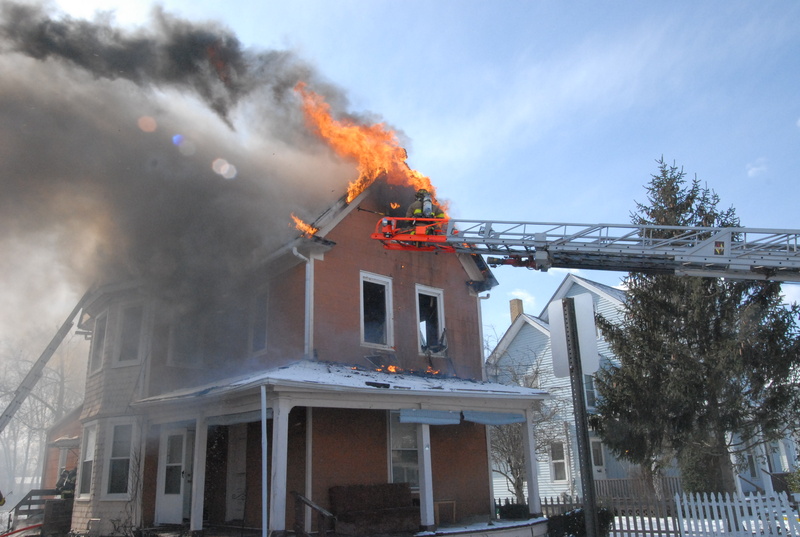 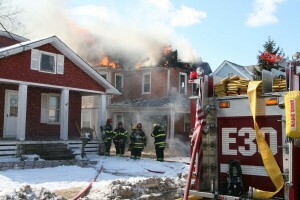 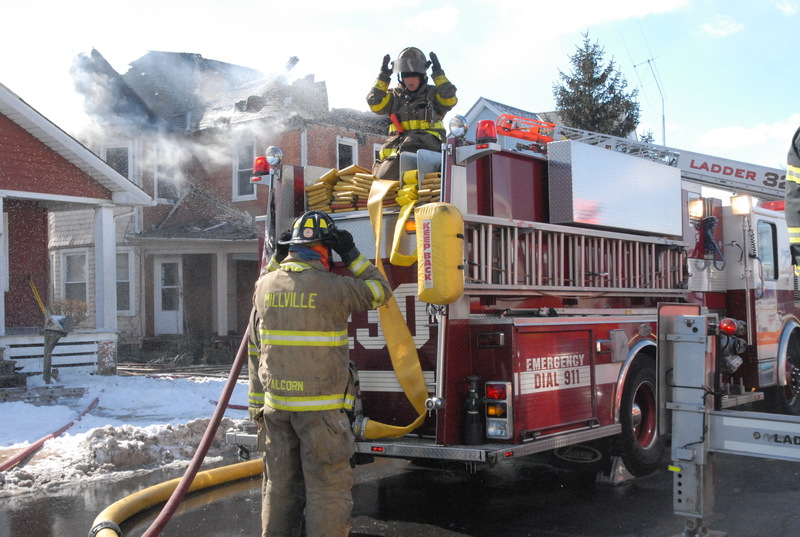 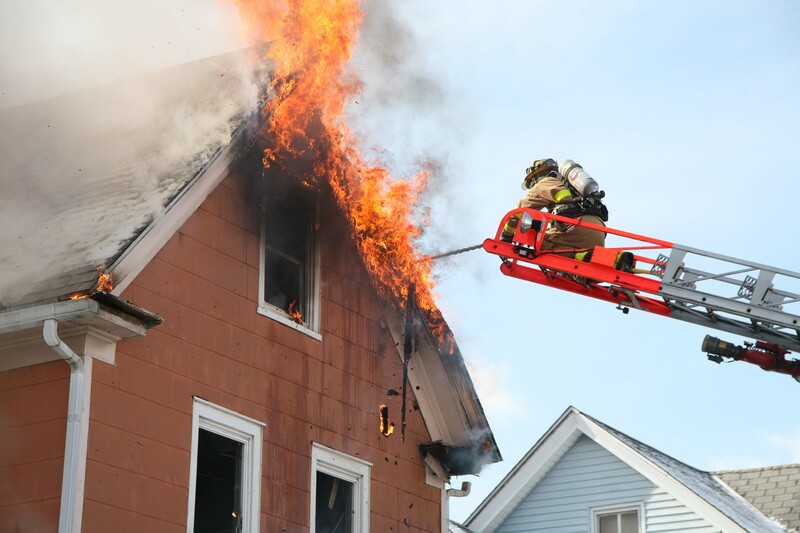 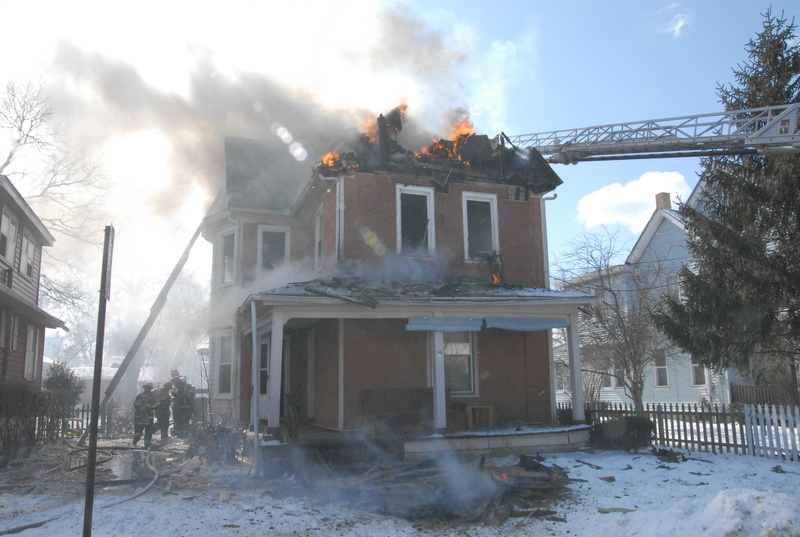 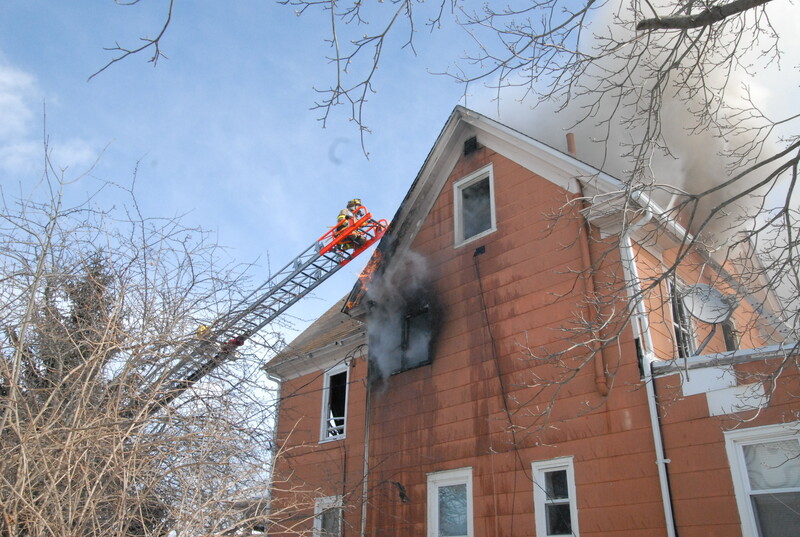 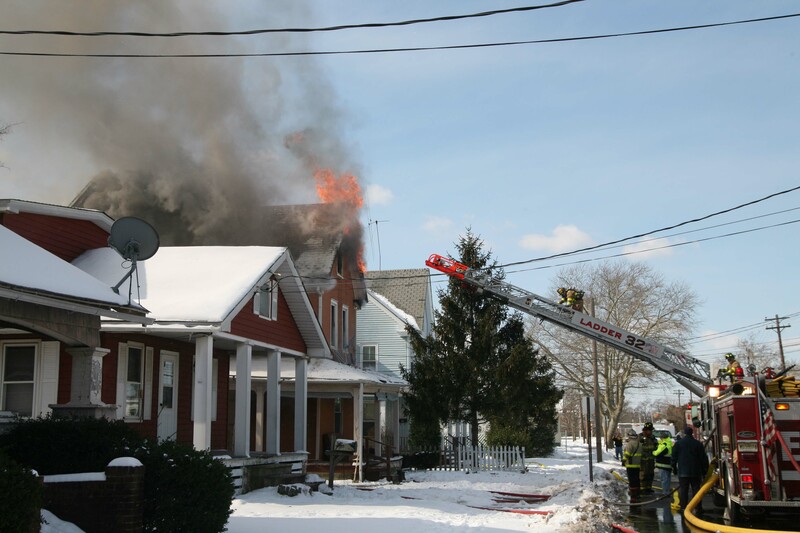 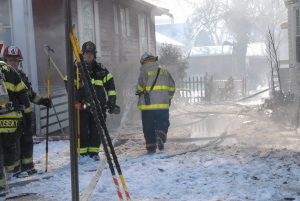 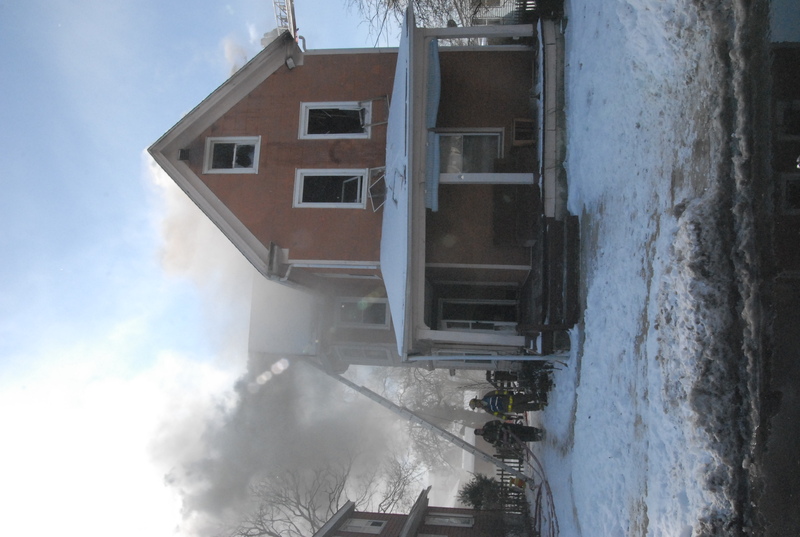 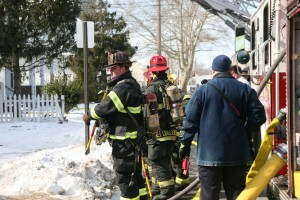 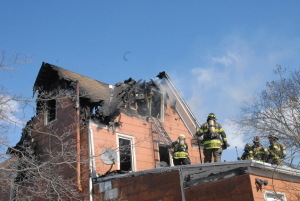 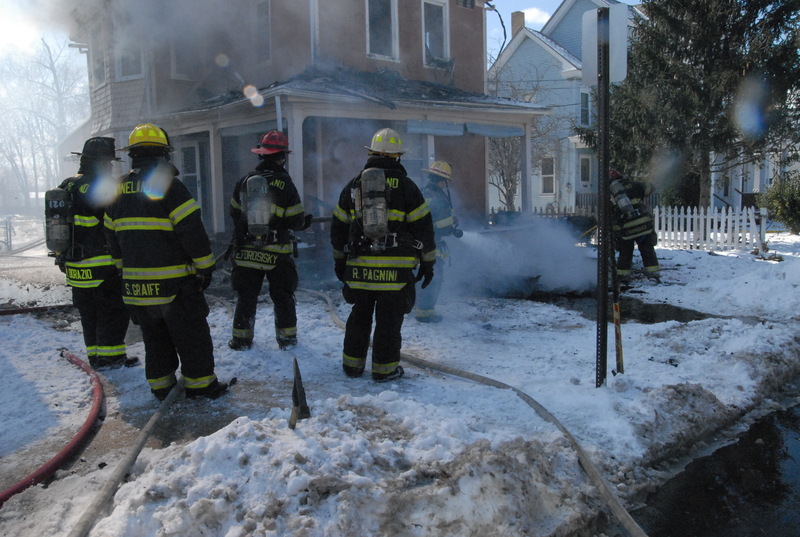 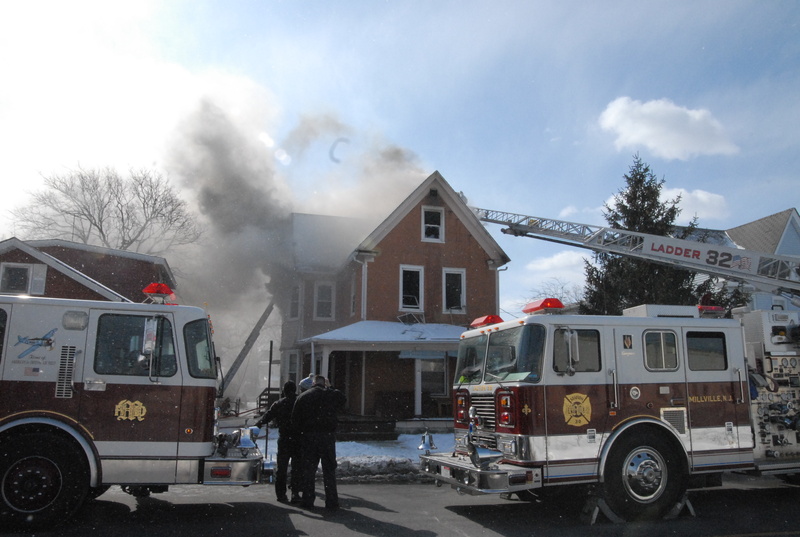 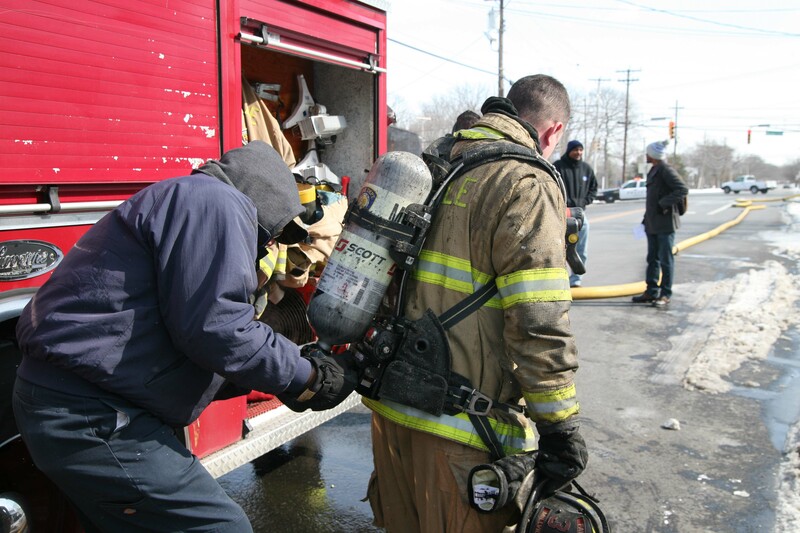 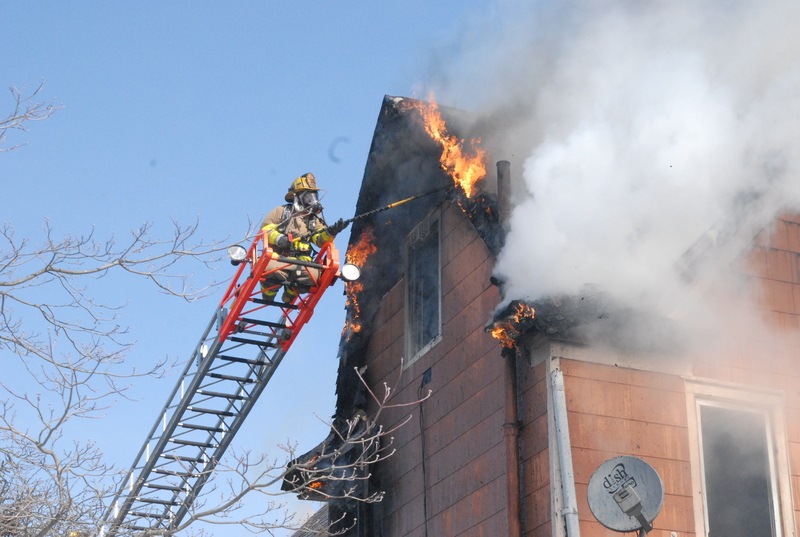 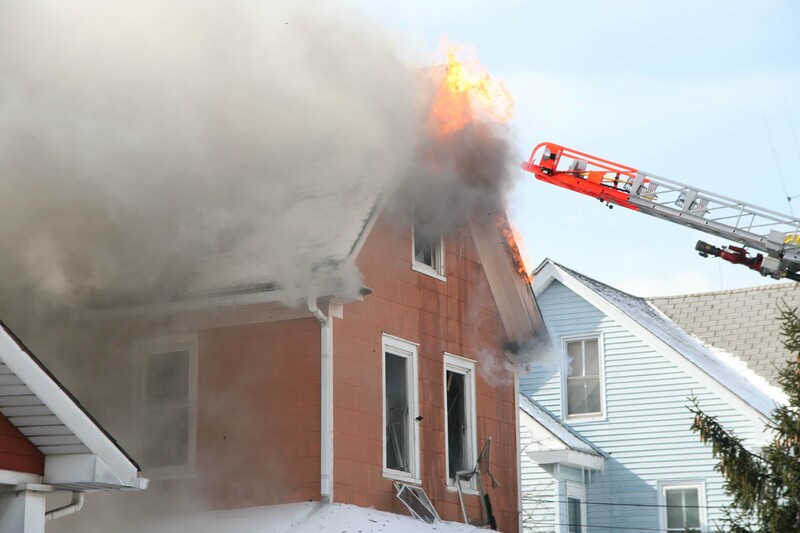 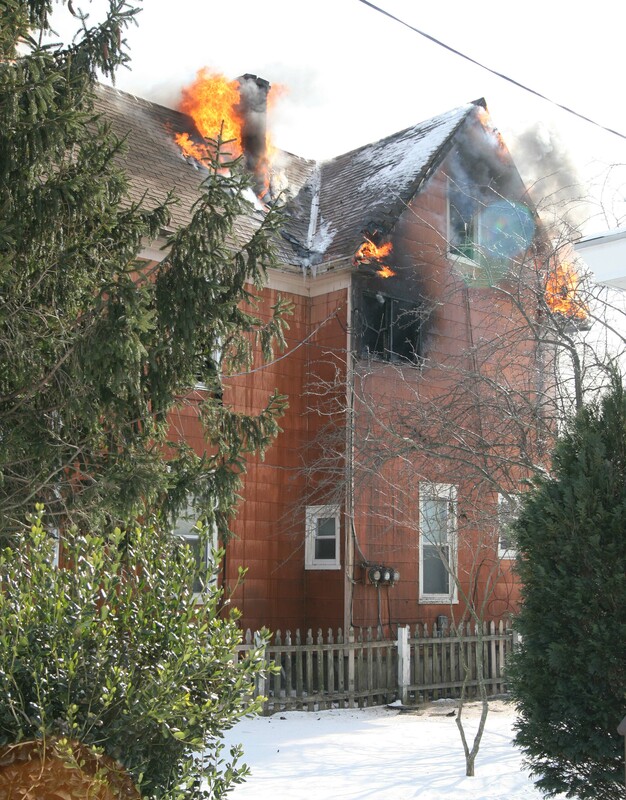 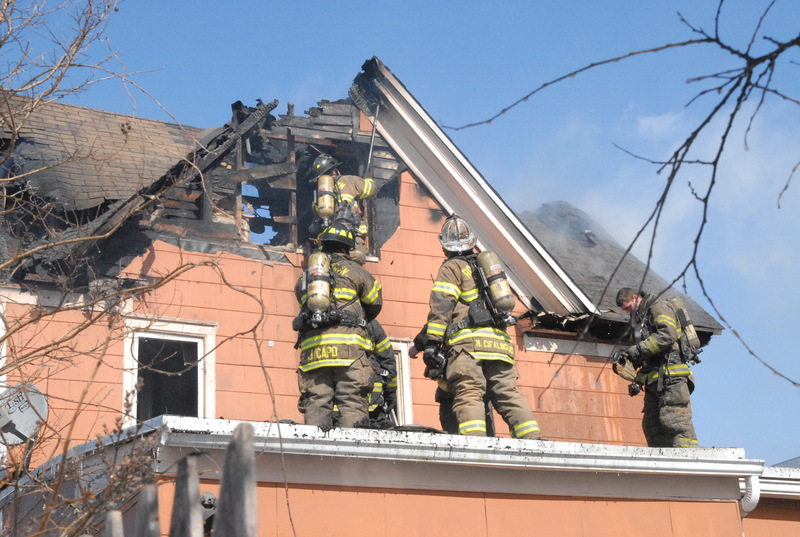 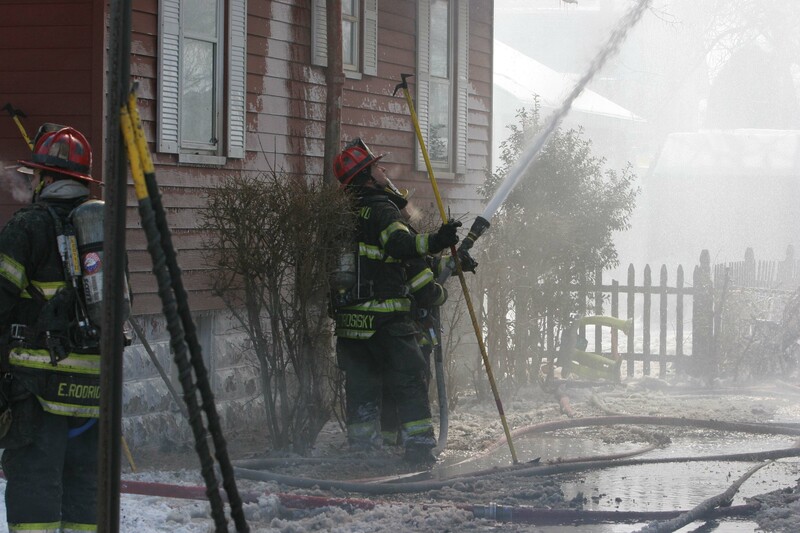 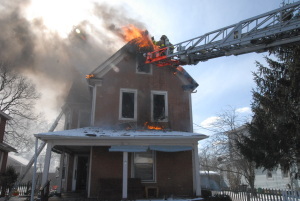 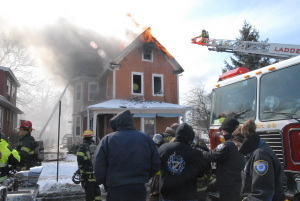 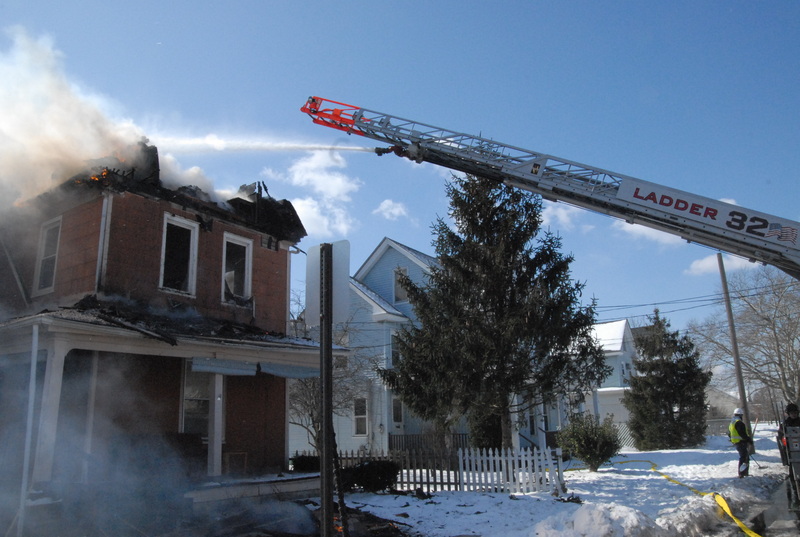 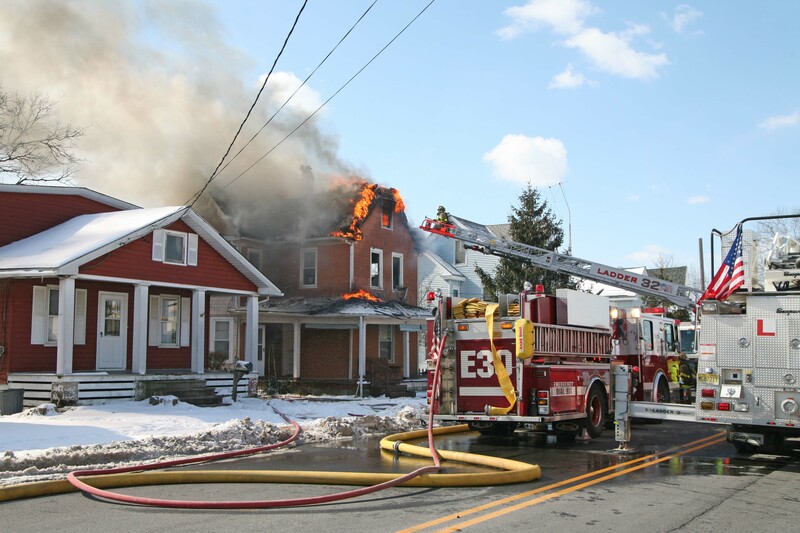 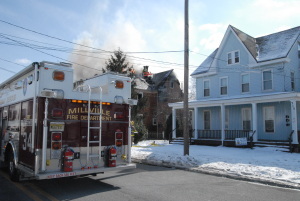 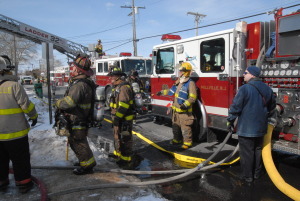 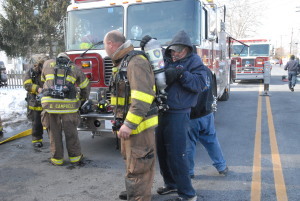 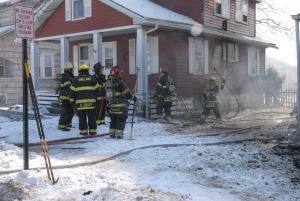 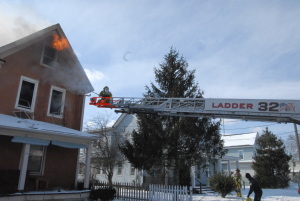 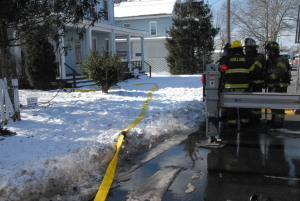 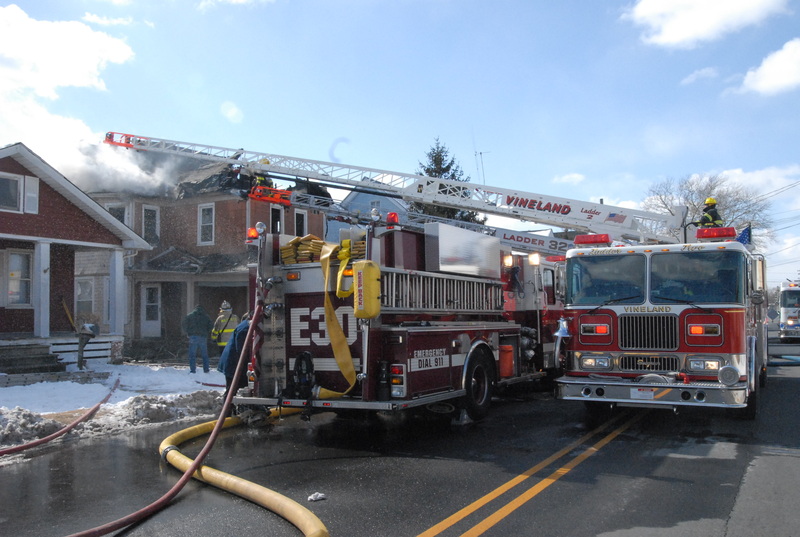 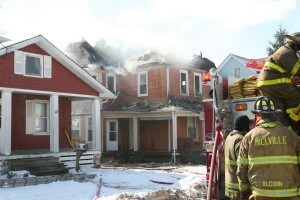 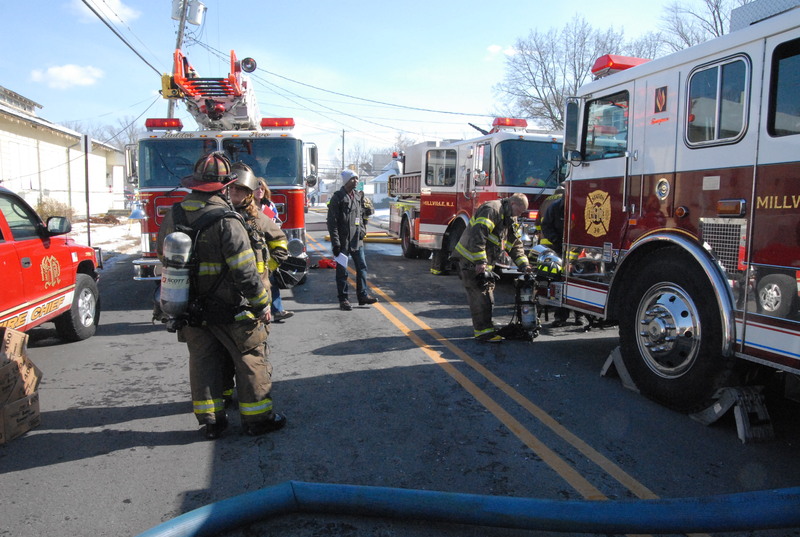 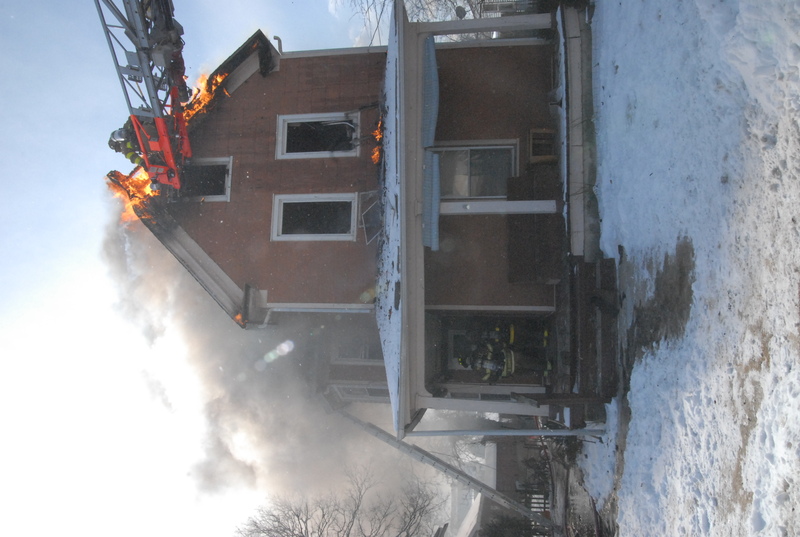 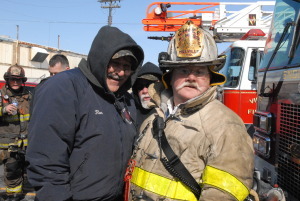 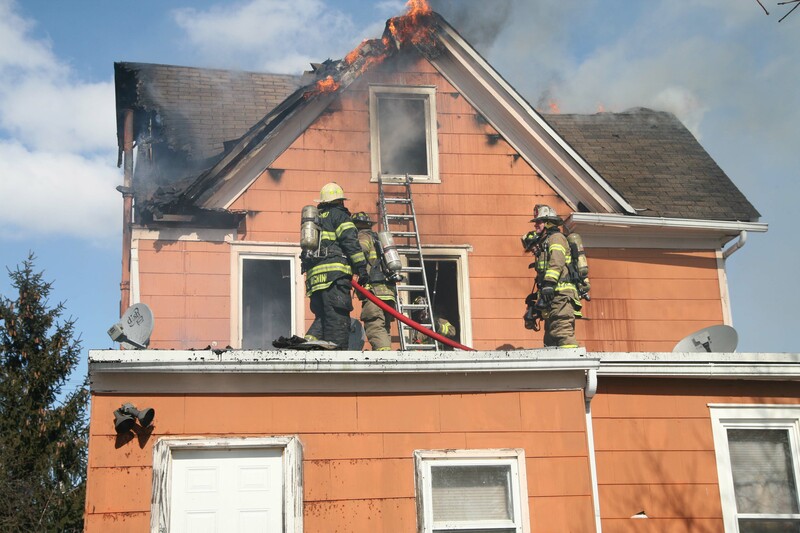 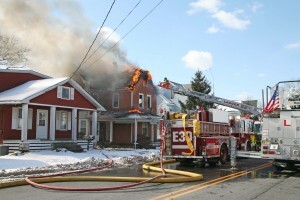 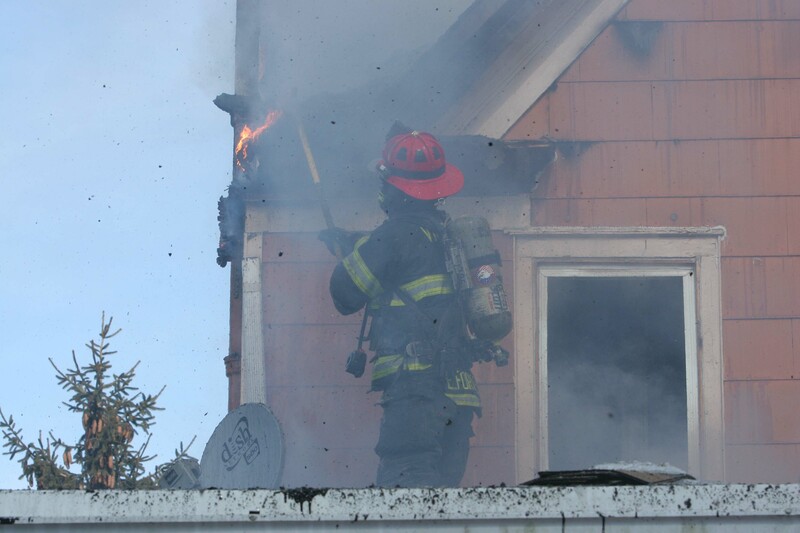 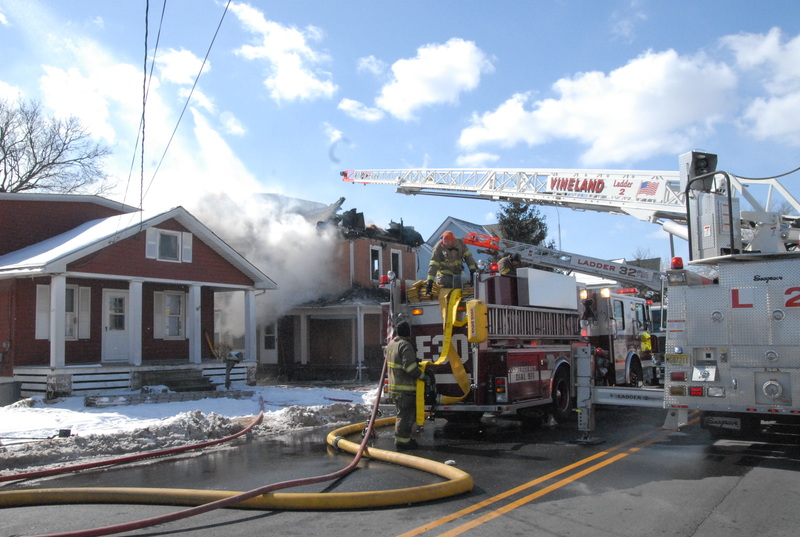 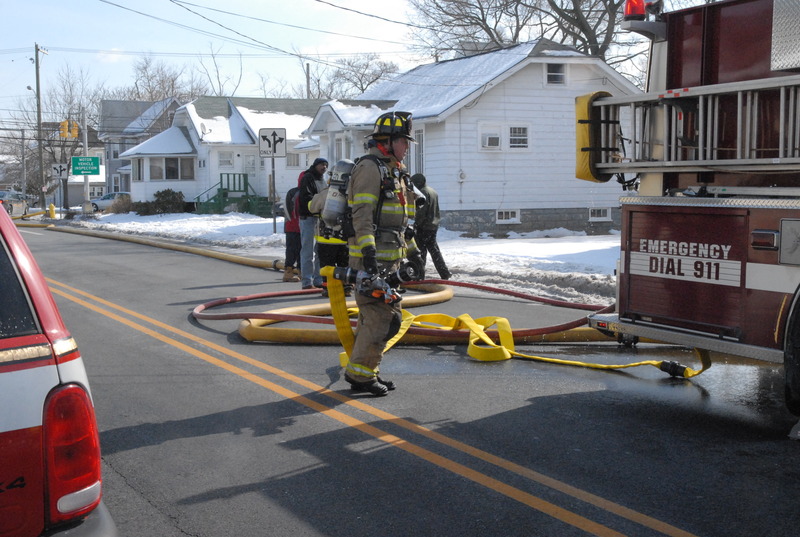 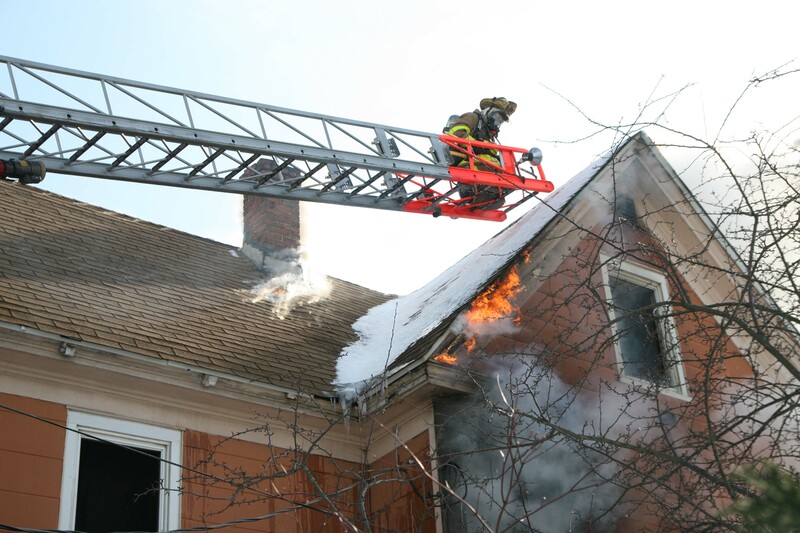 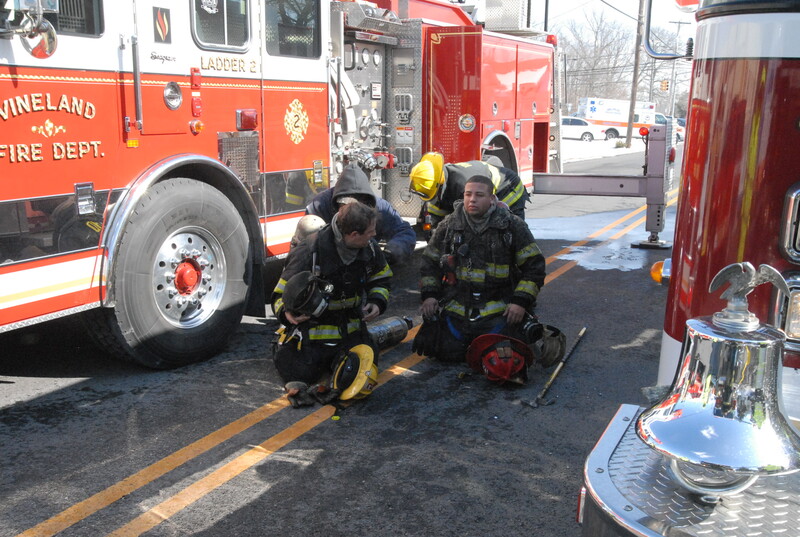 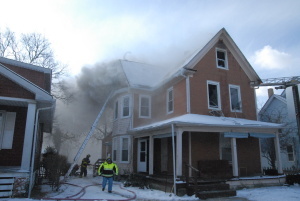 A third alarm was then struck for manpower due to heavy winds and frigid temperatures. The scene was cleared at 1411. 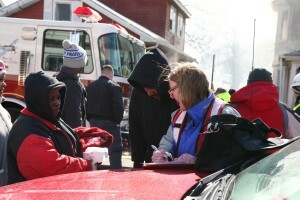 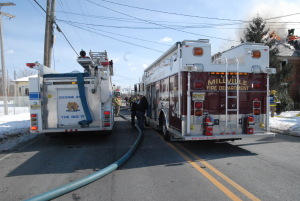 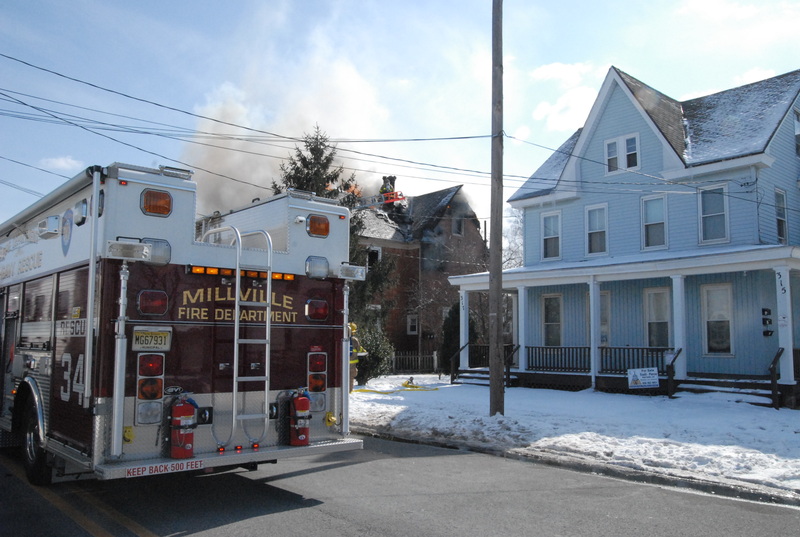 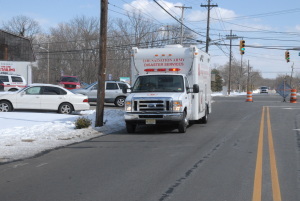 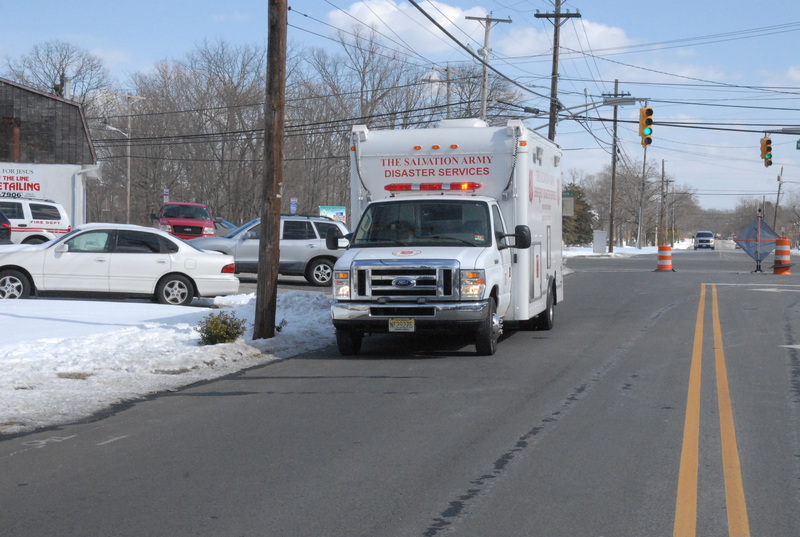 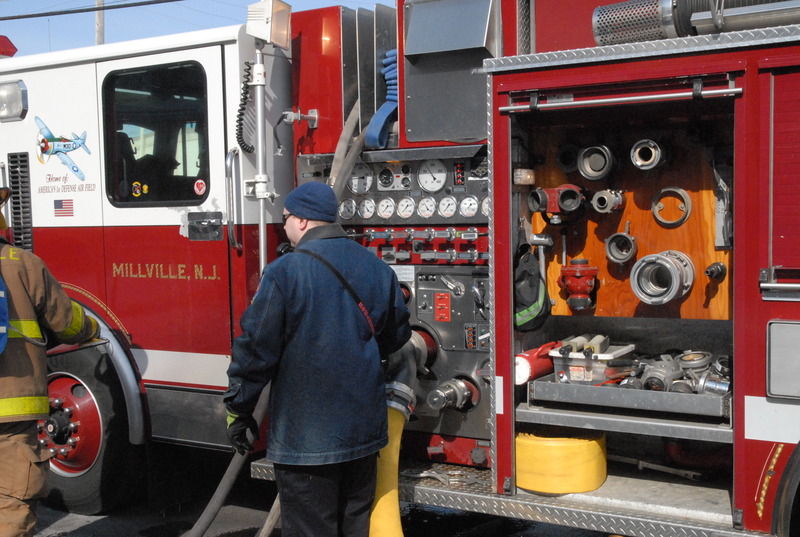 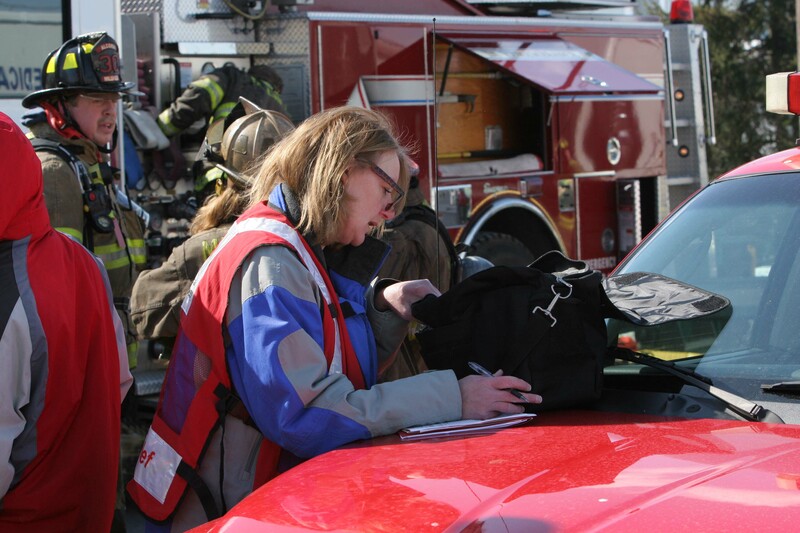 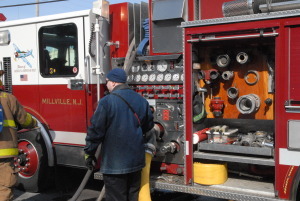 Thank you to all who came out and assisted – Station 29, Station 2, Station 13, Station 15, Squad 98, Millville Police, Station 87, and American Red Cross.